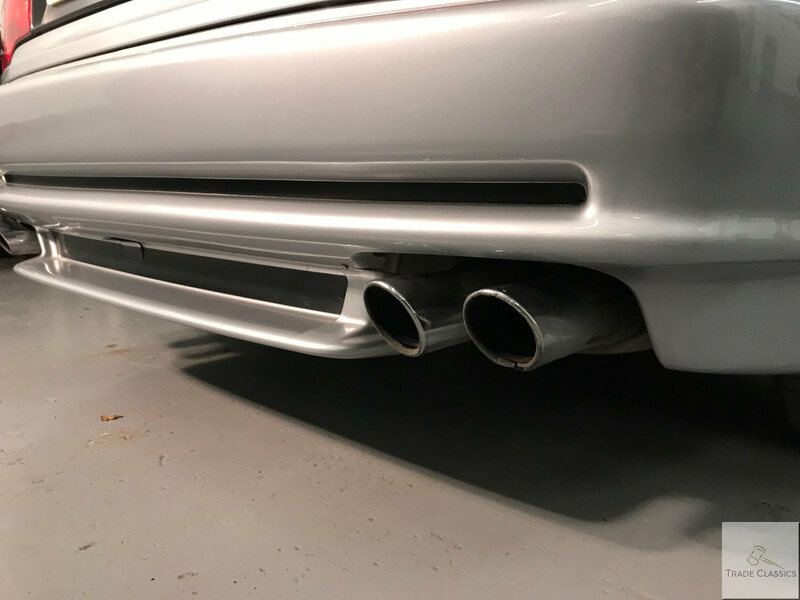 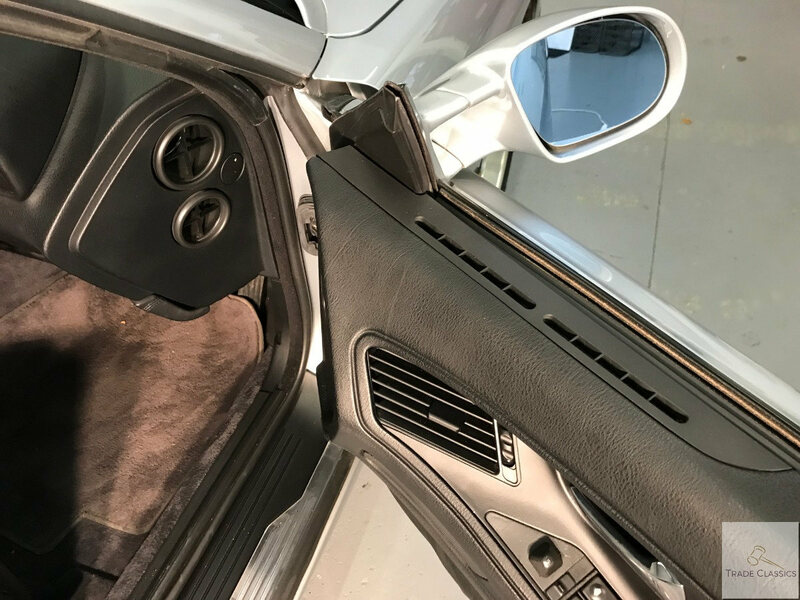 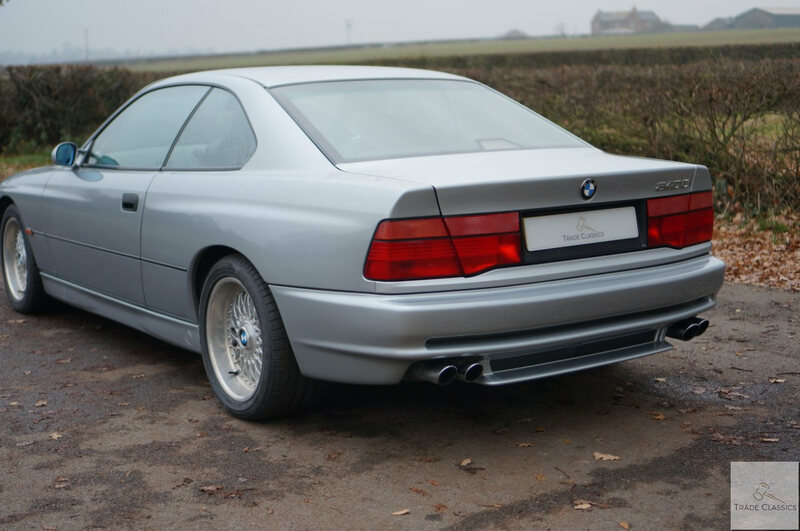 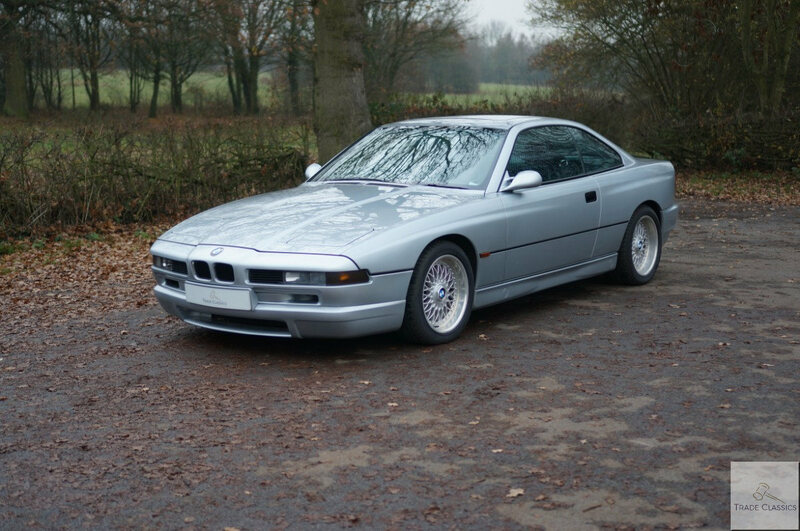 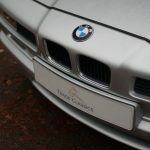 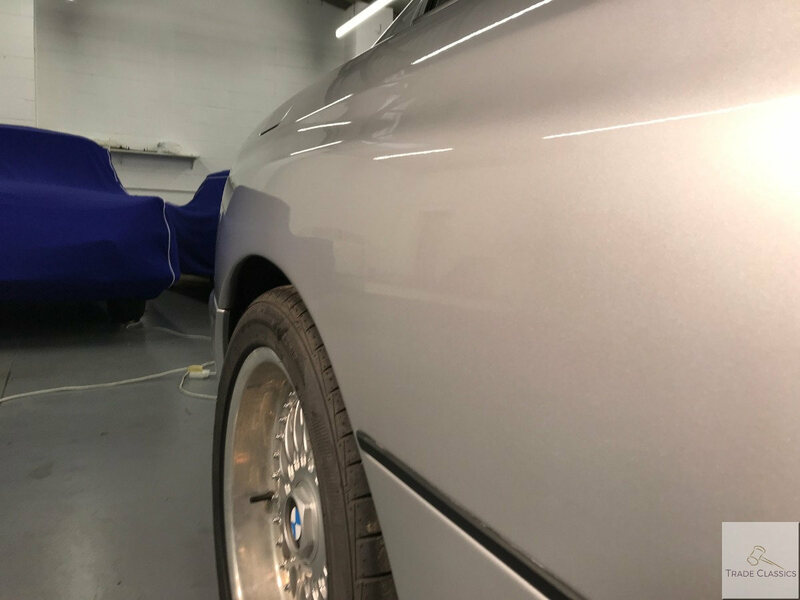 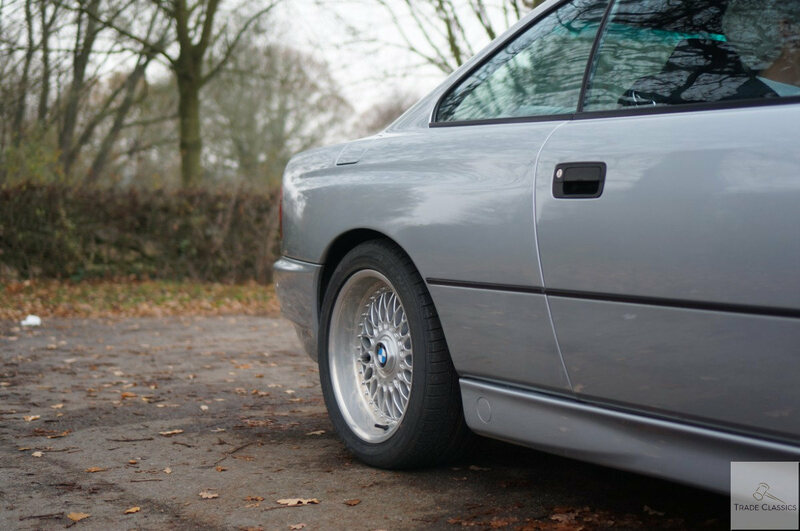 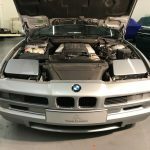 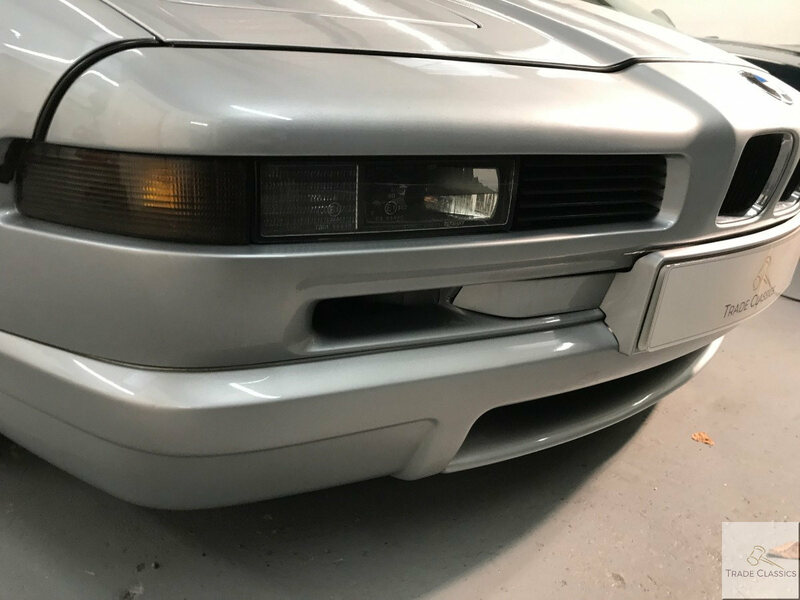 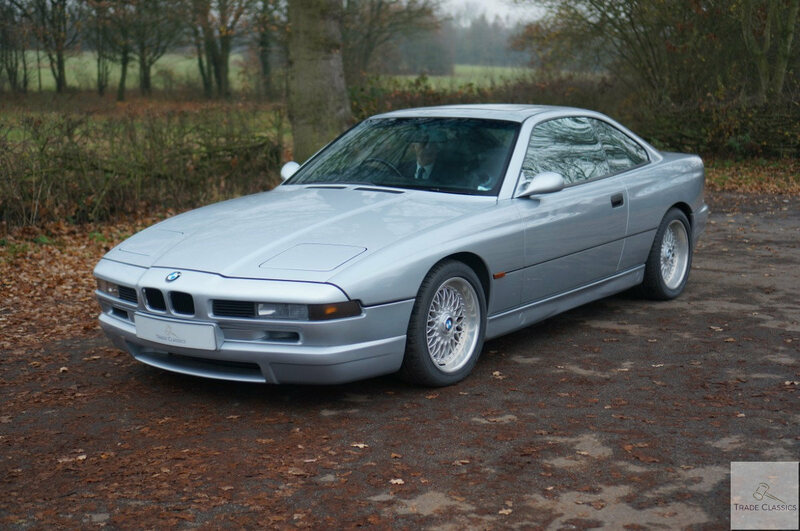 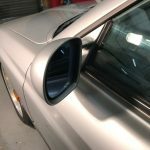 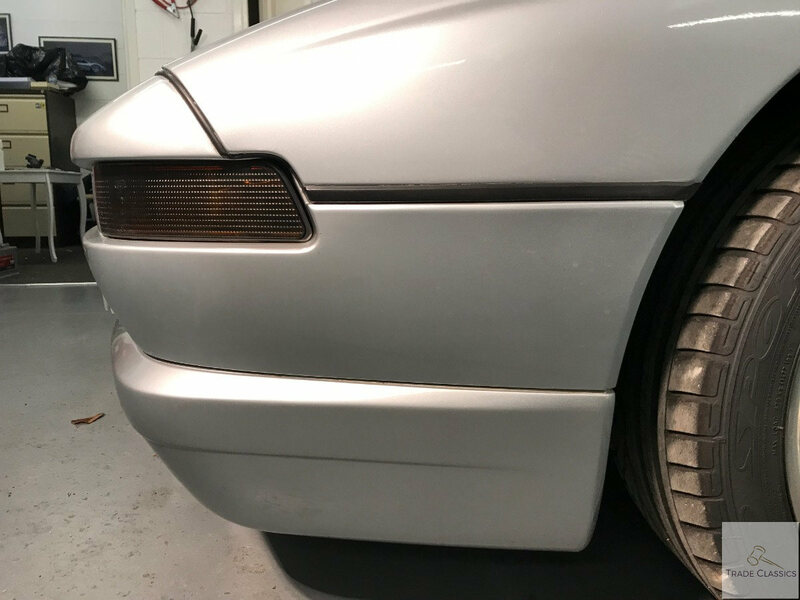 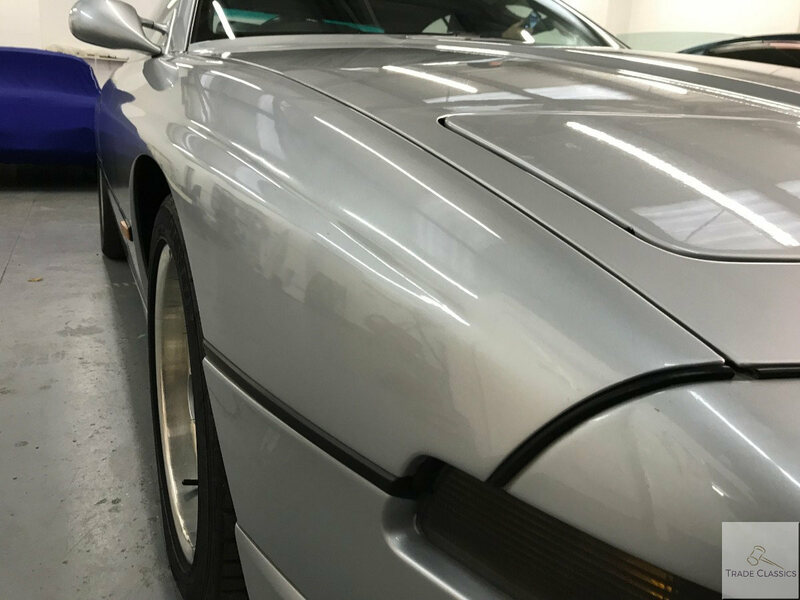 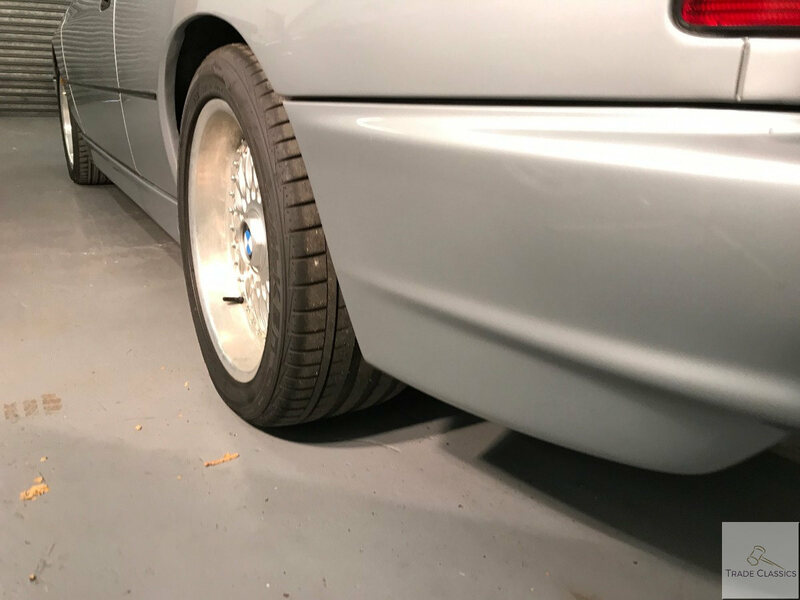 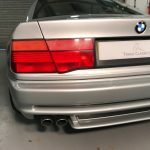 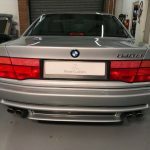 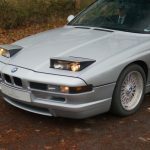 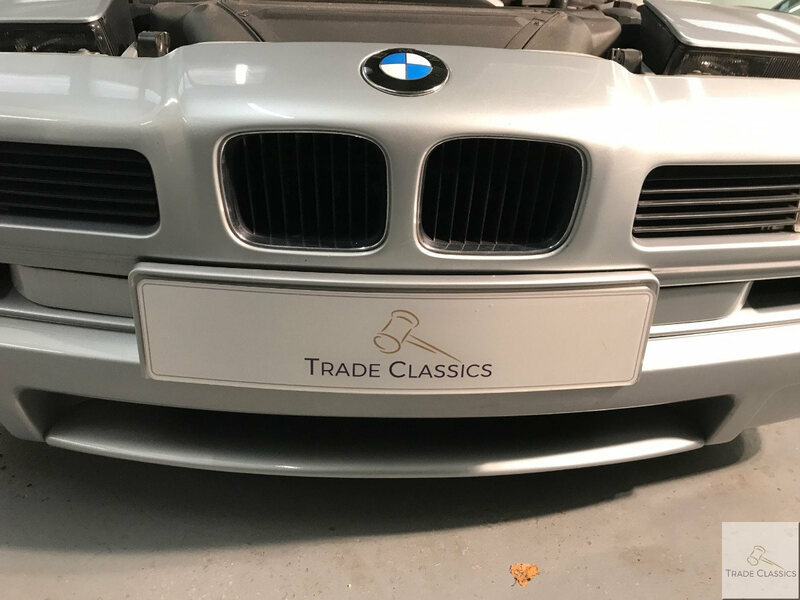 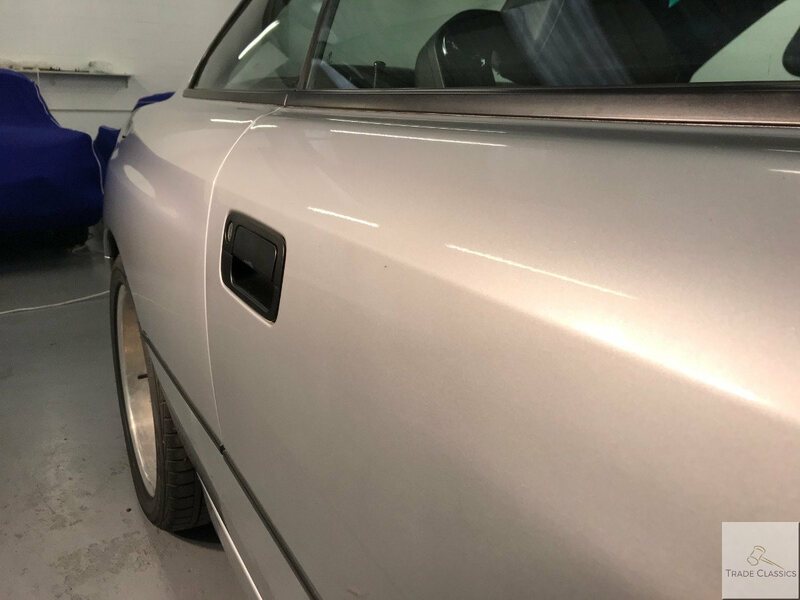 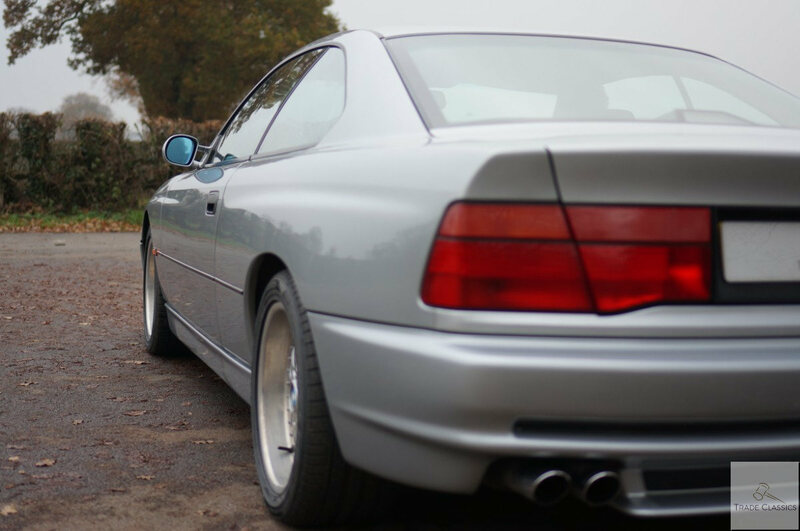 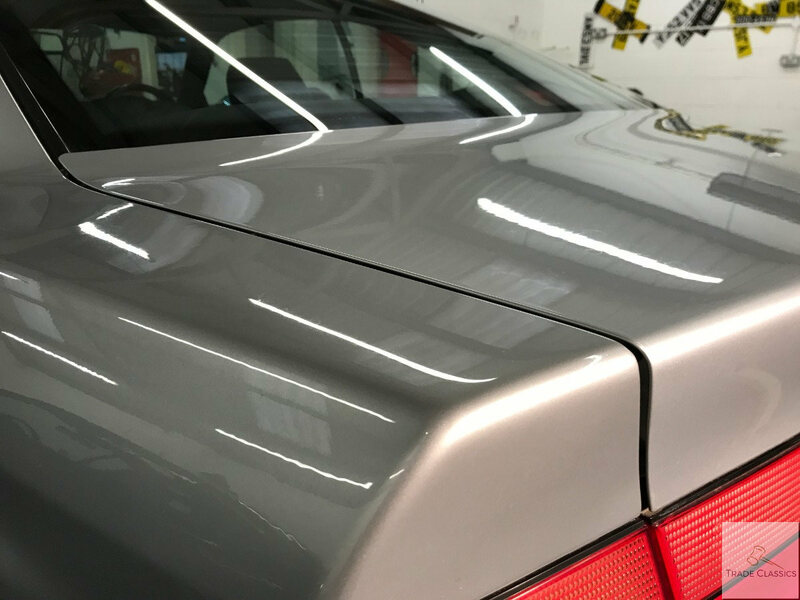 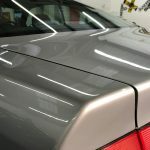 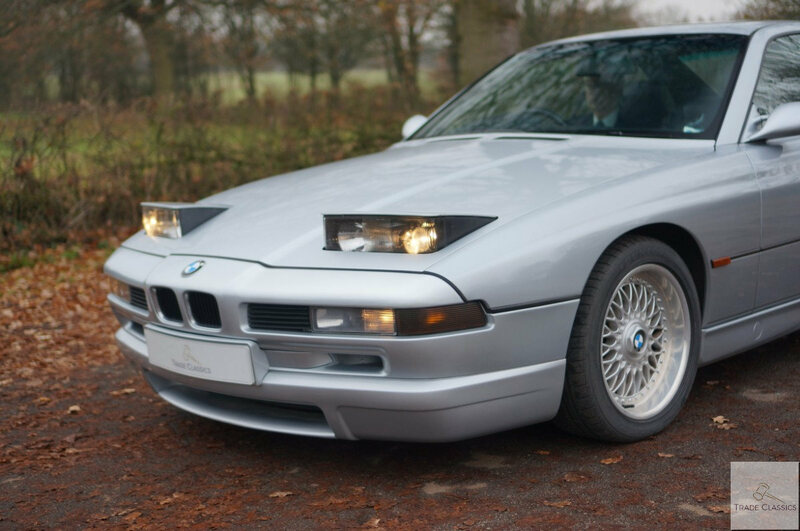 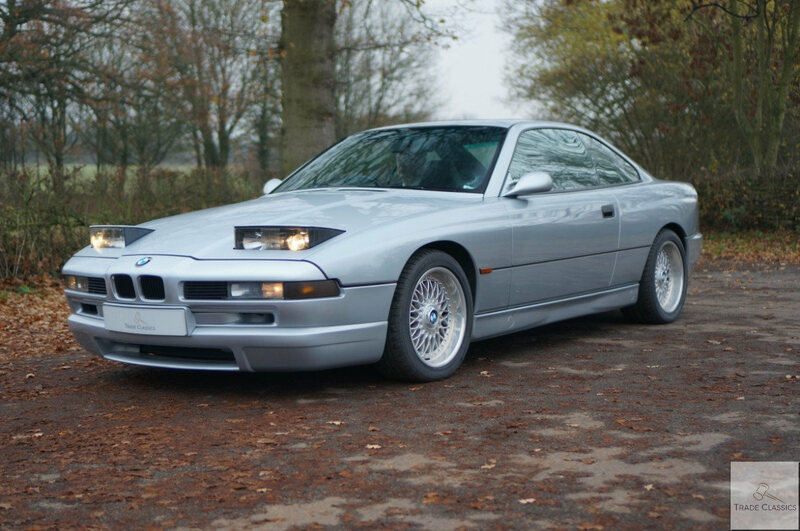 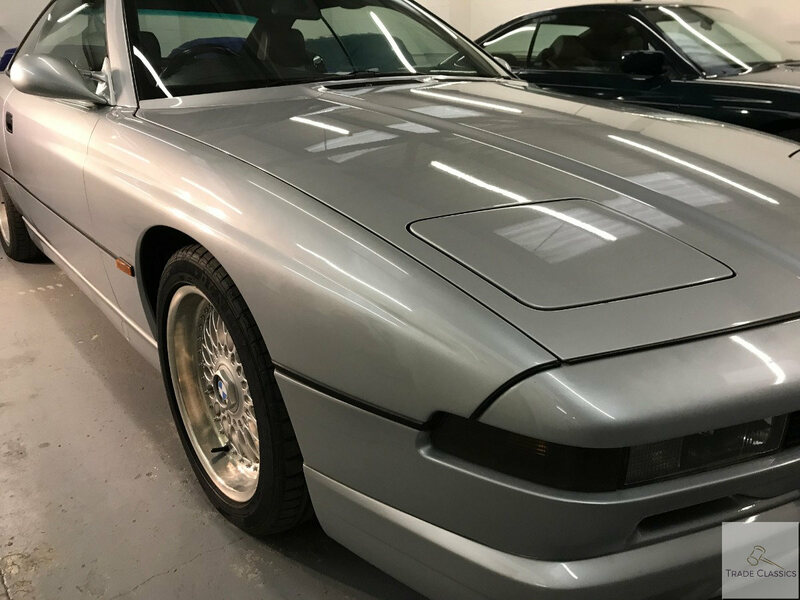 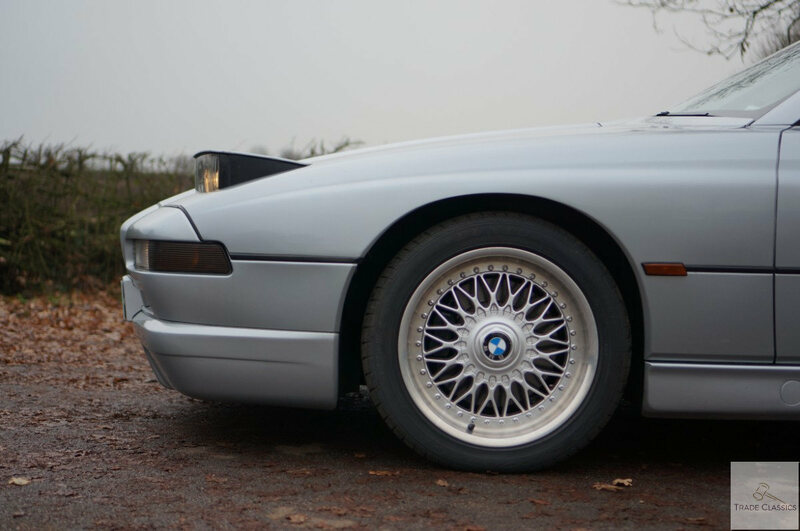 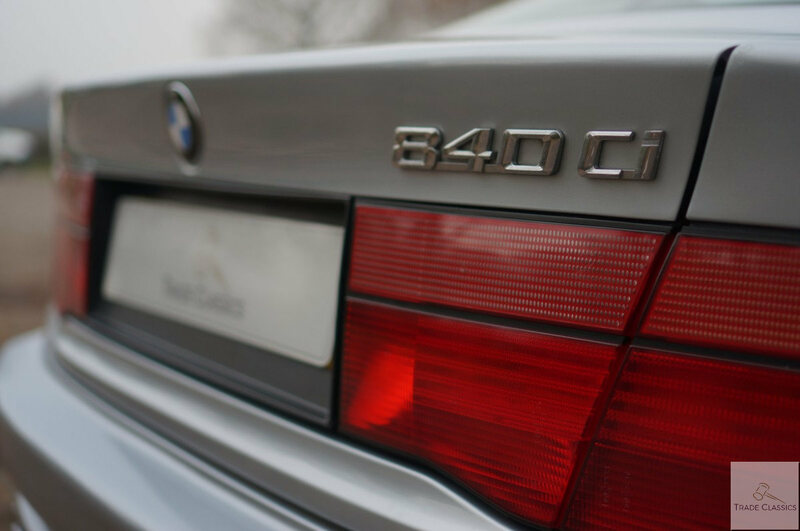 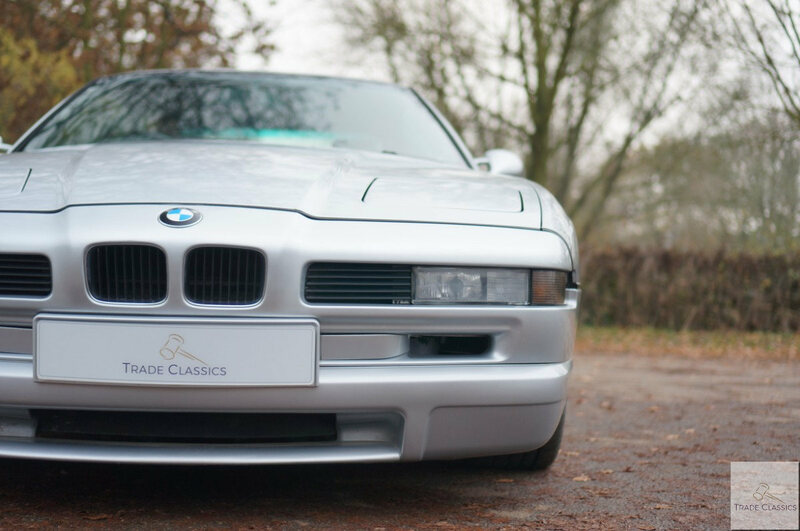 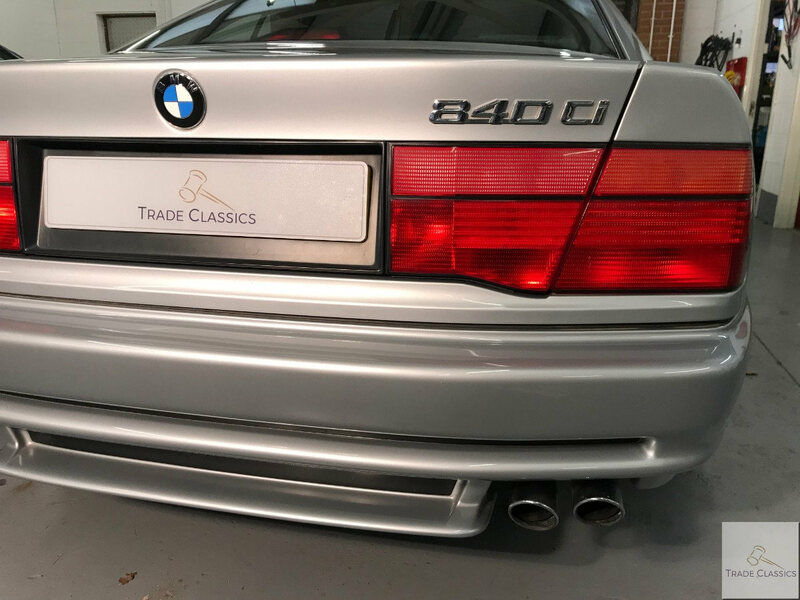 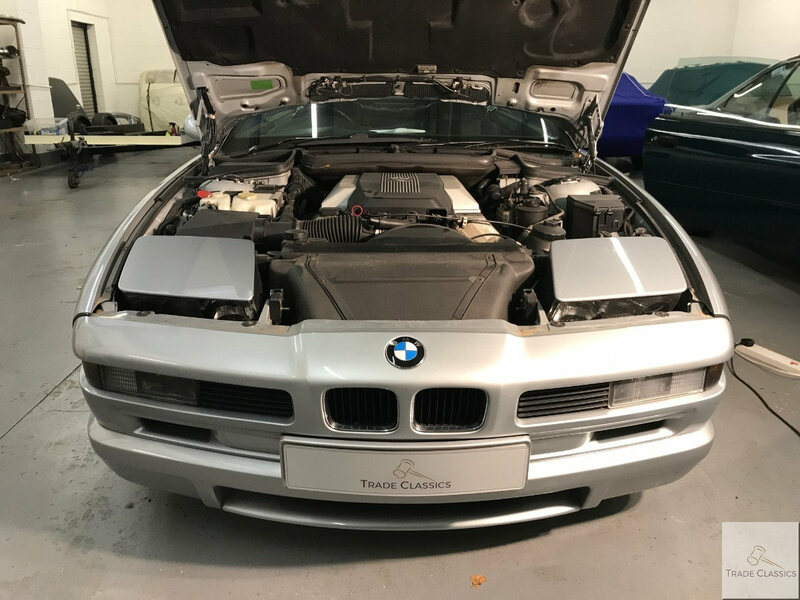 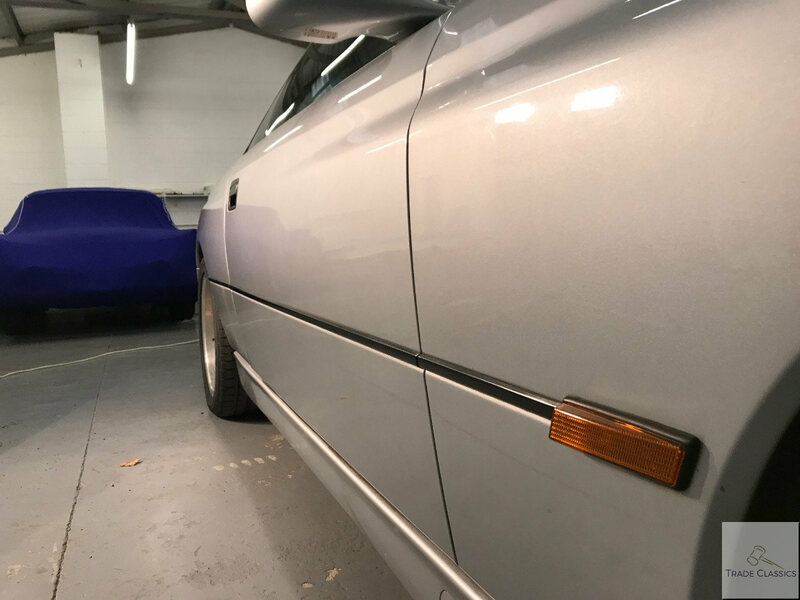 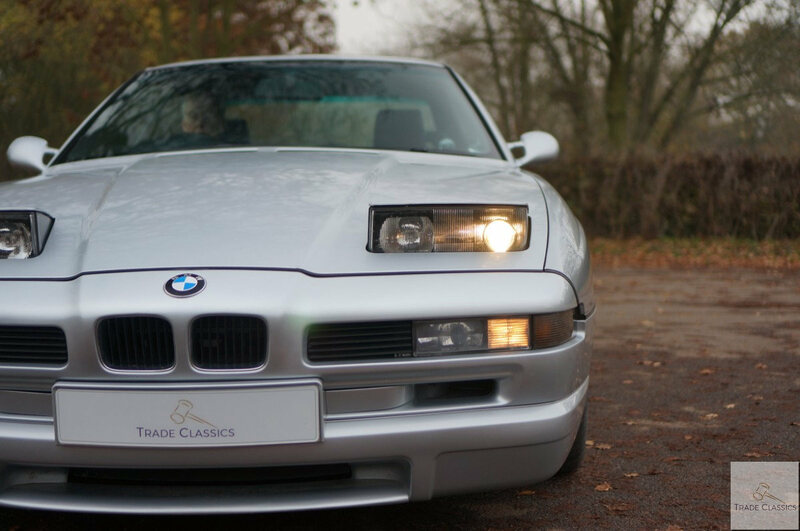 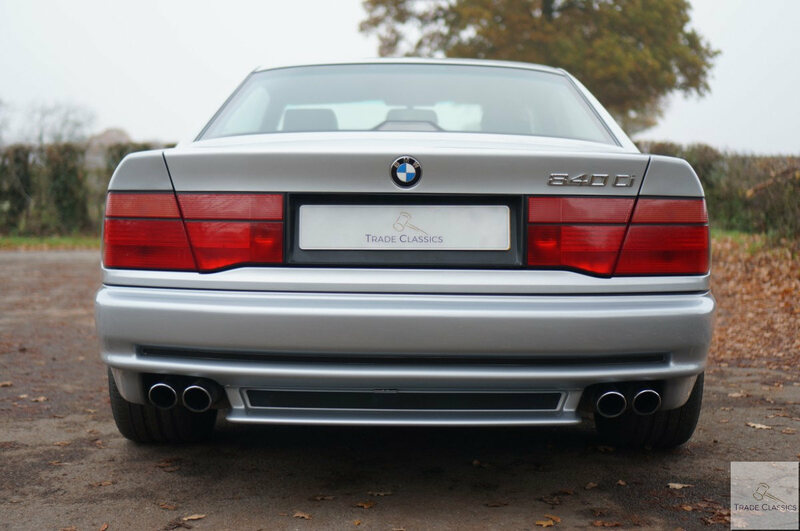 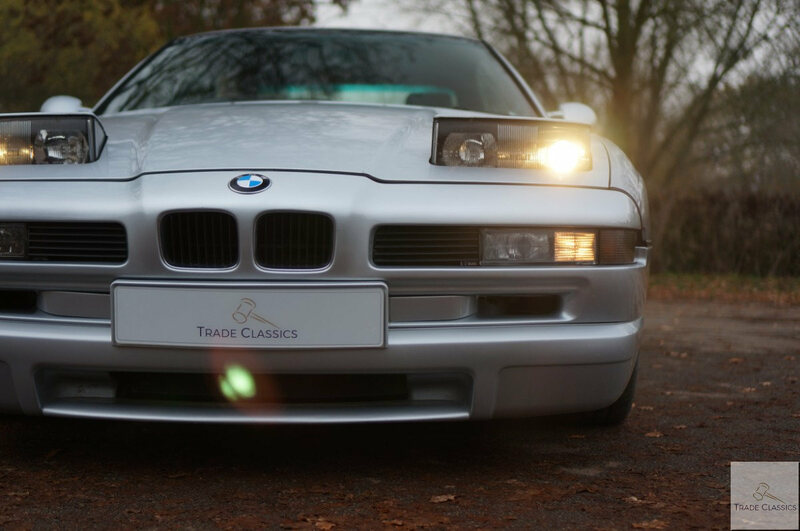 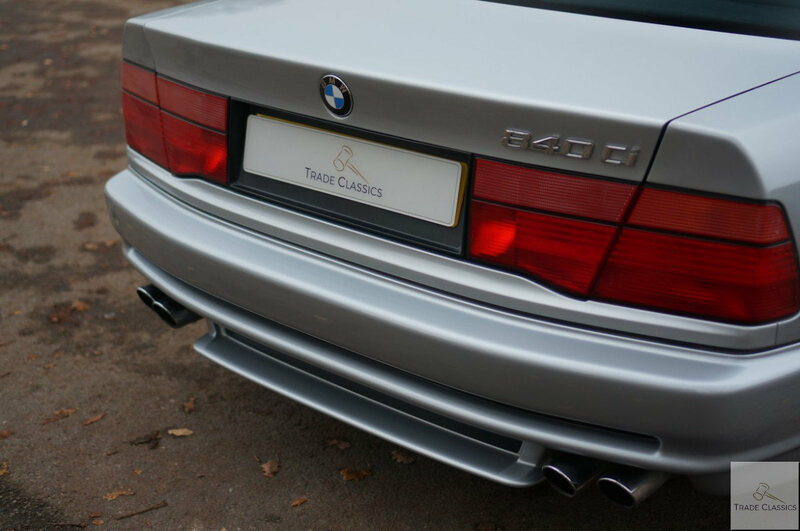 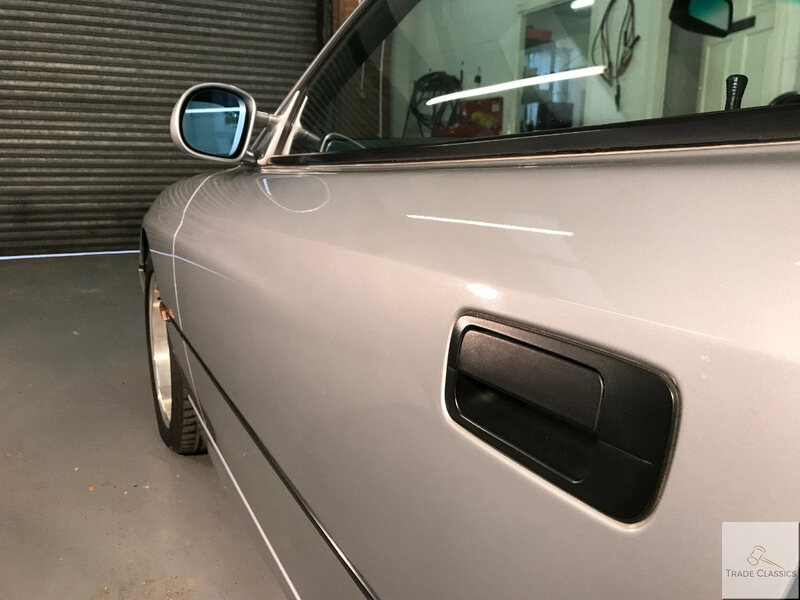 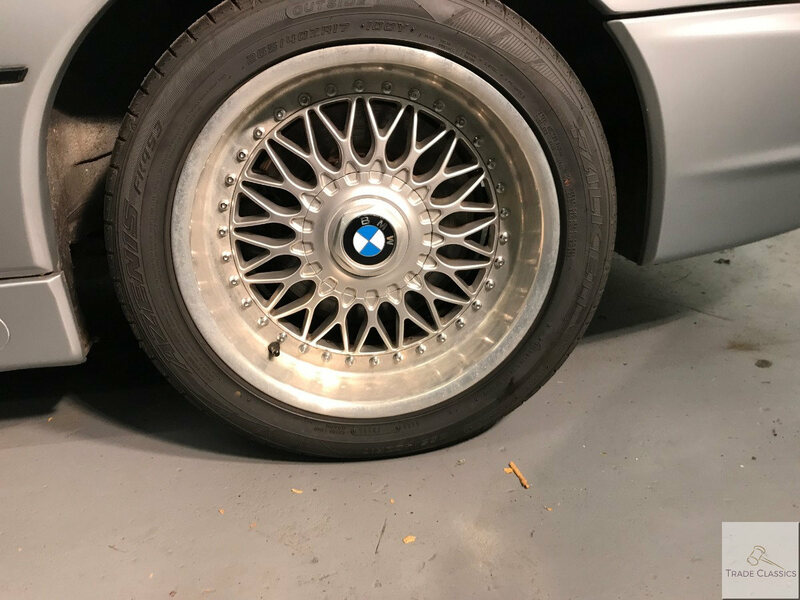 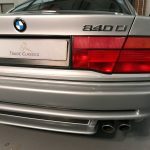 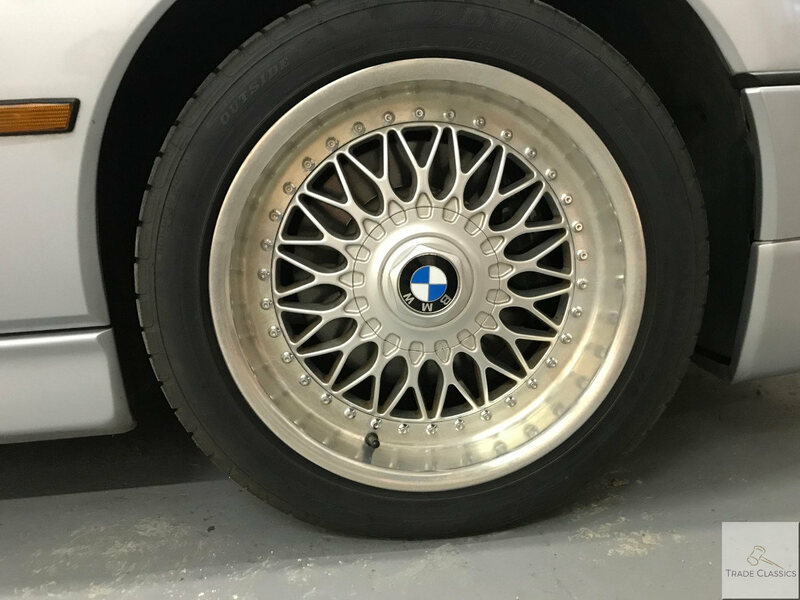 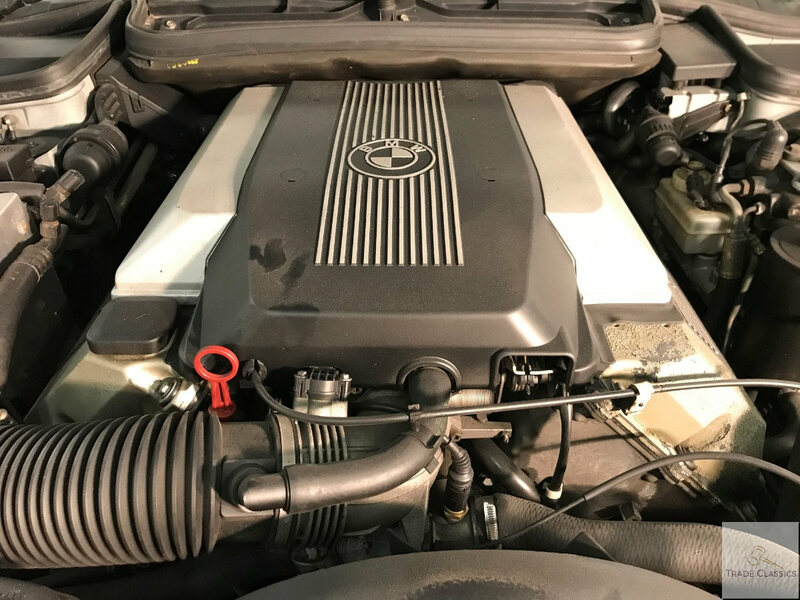 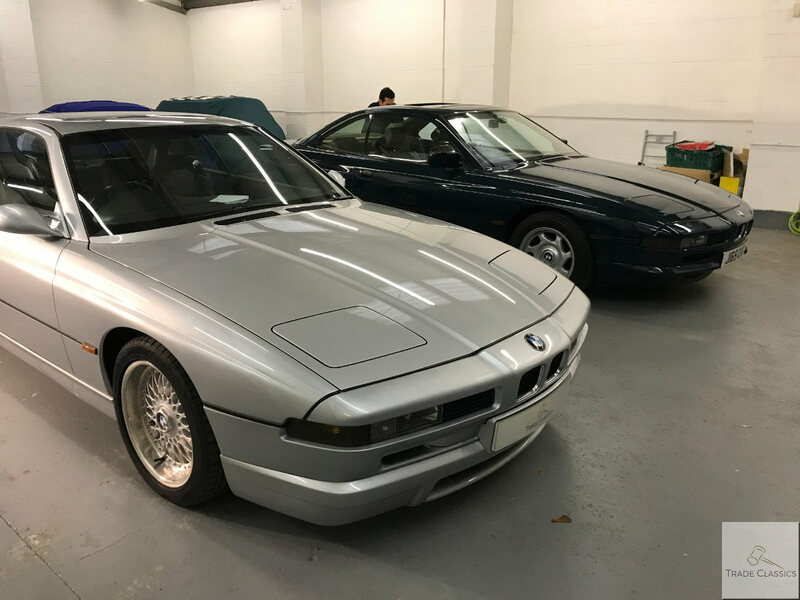 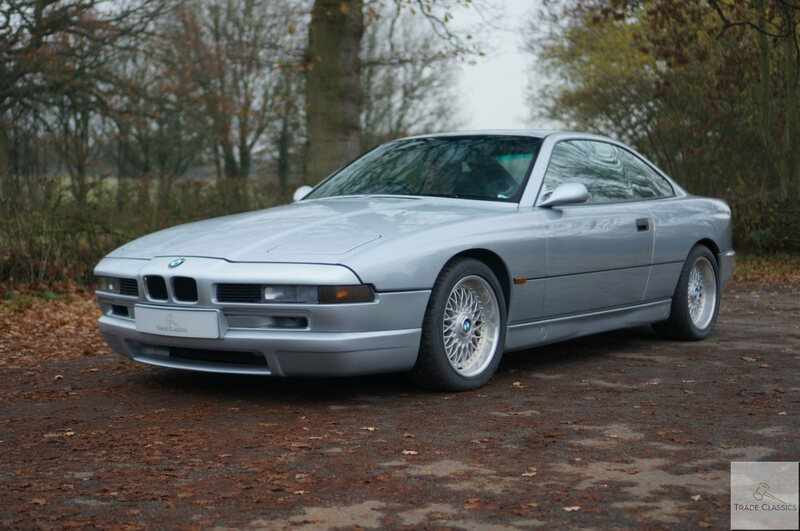 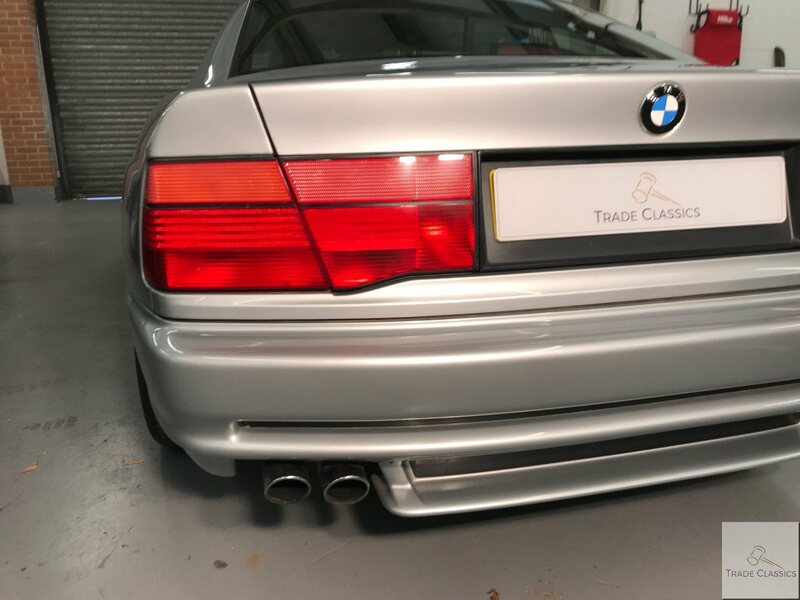 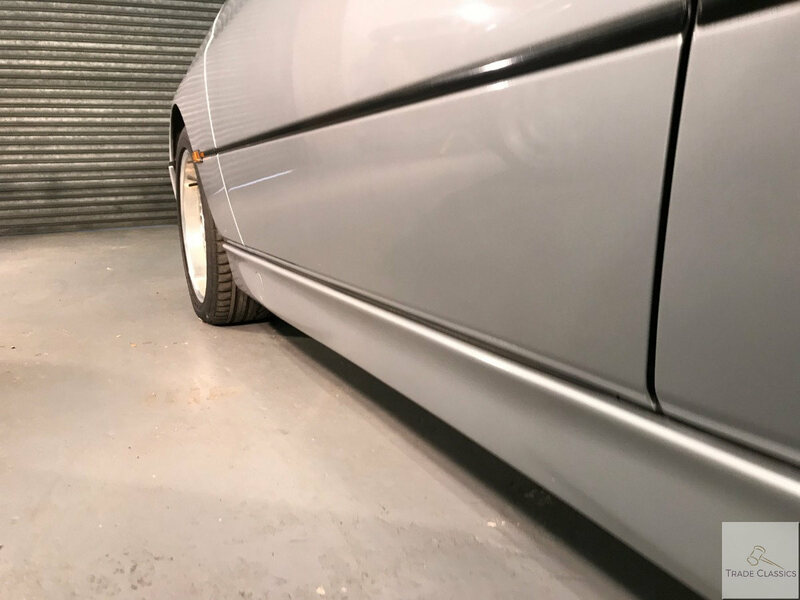 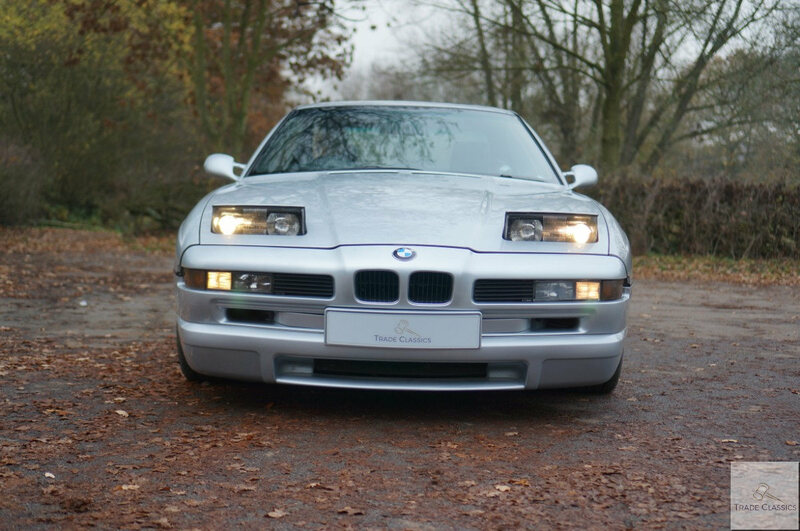 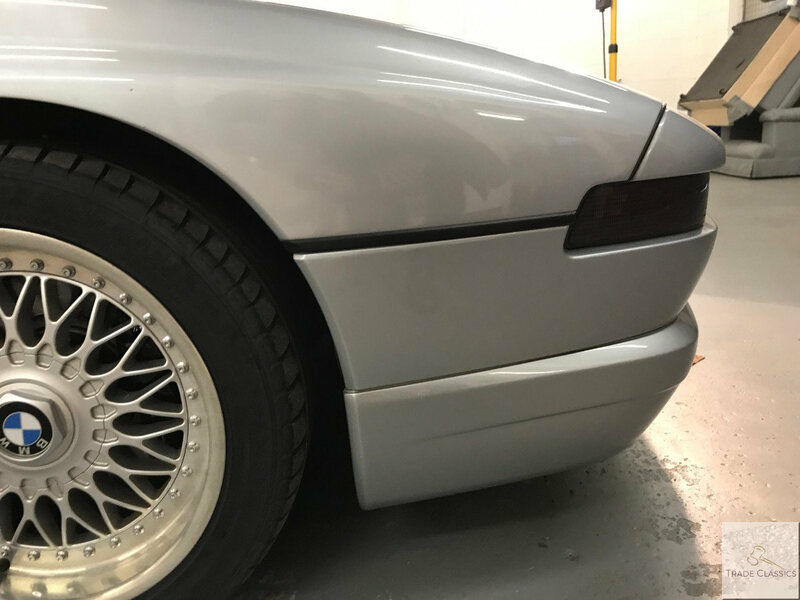 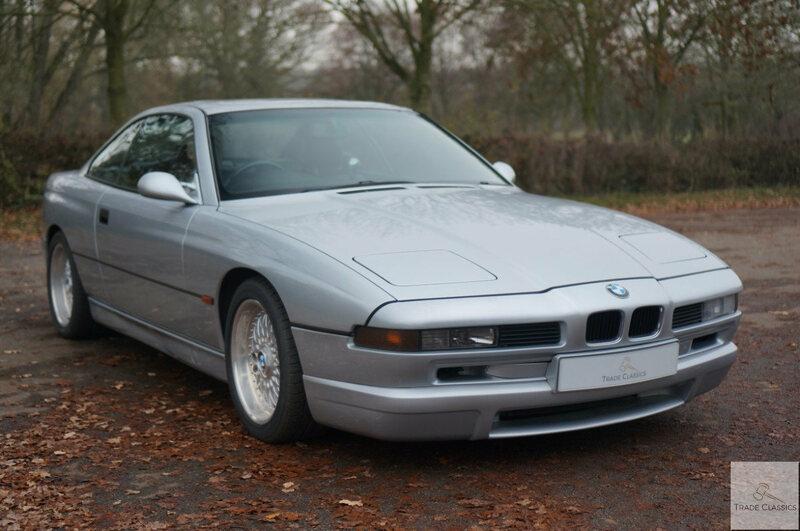 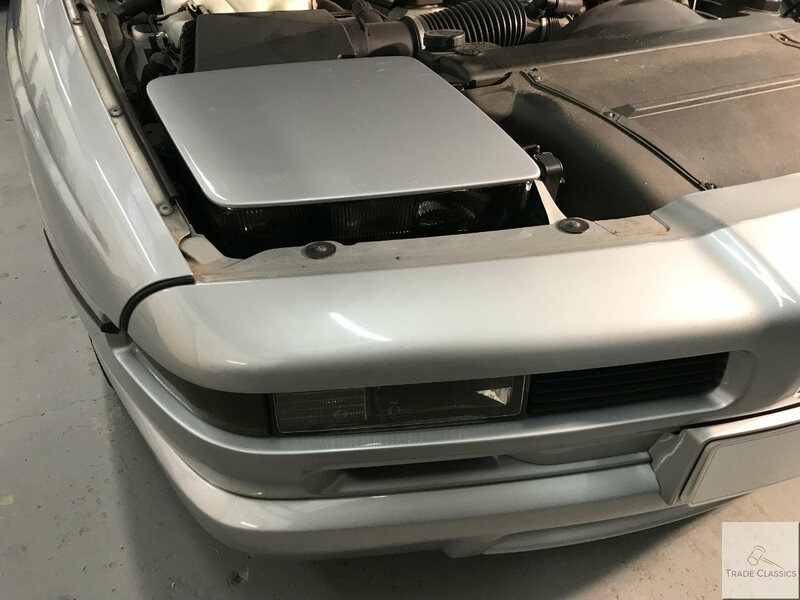 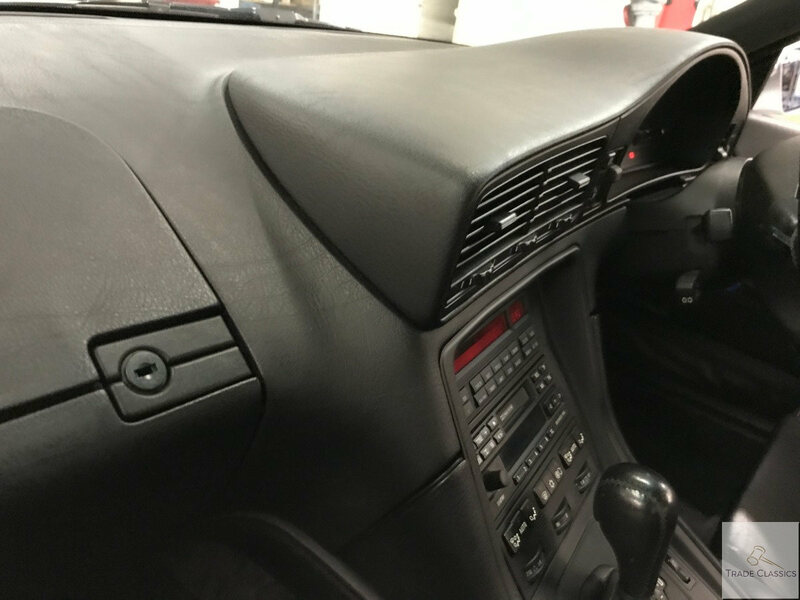 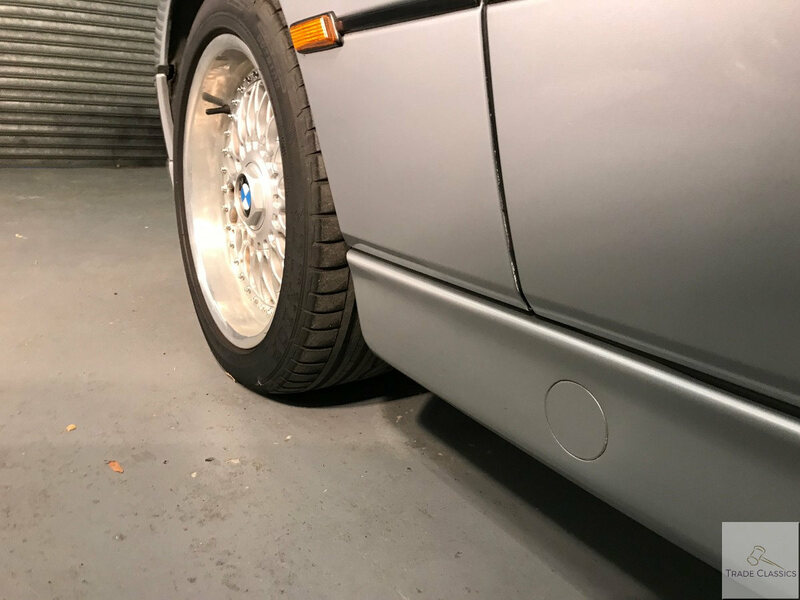 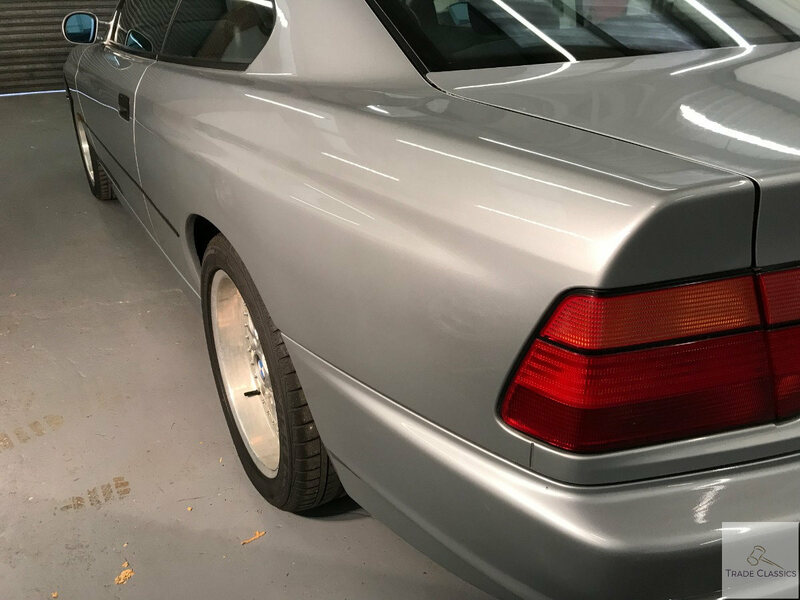 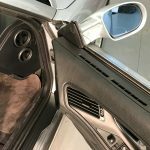 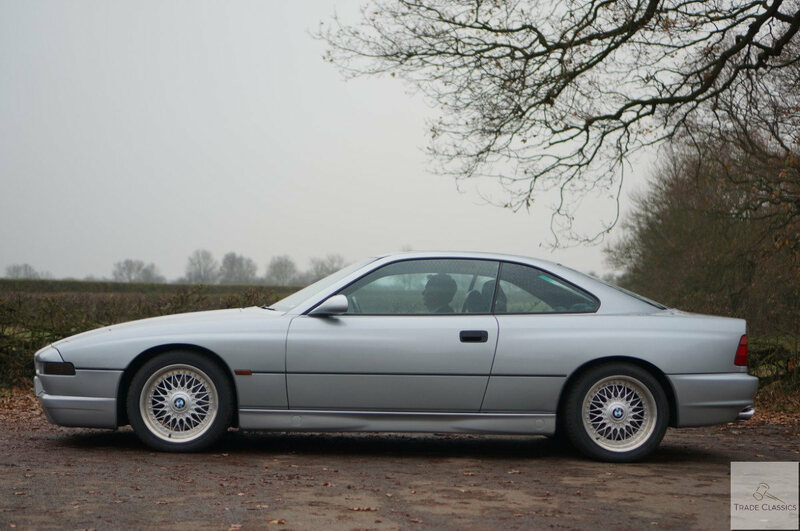 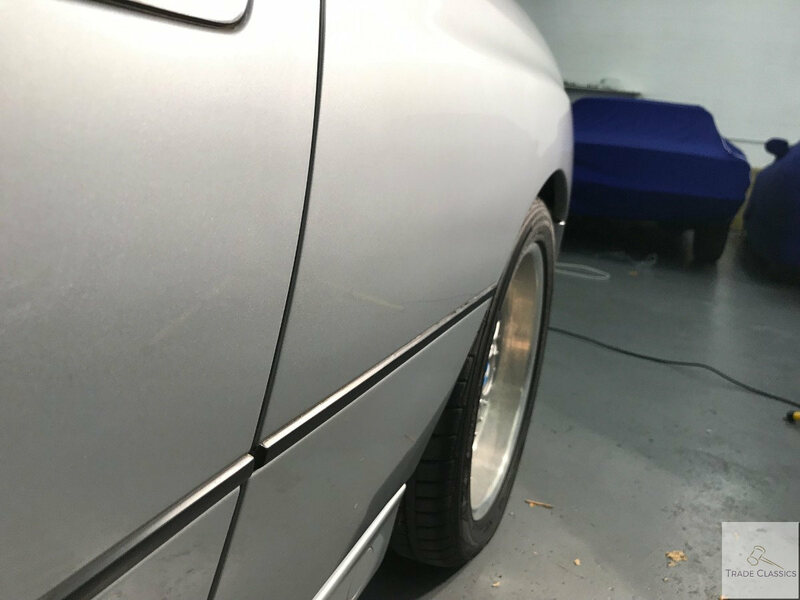 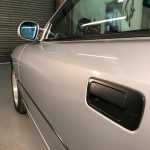 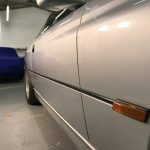 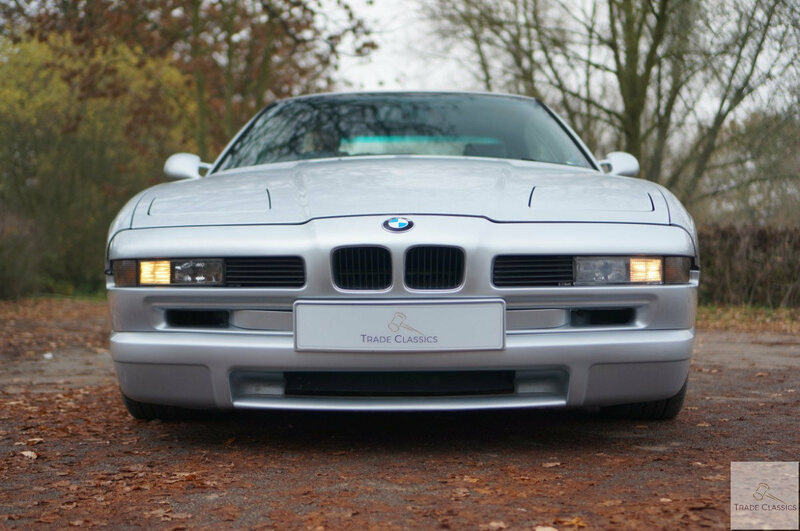 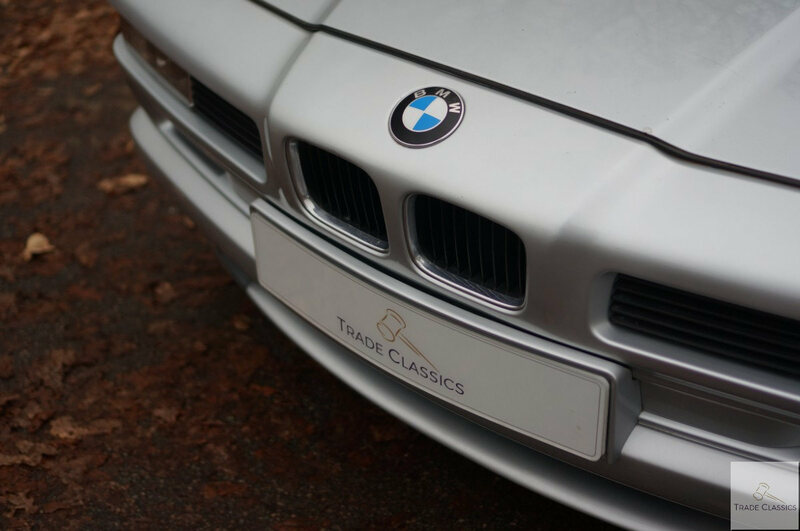 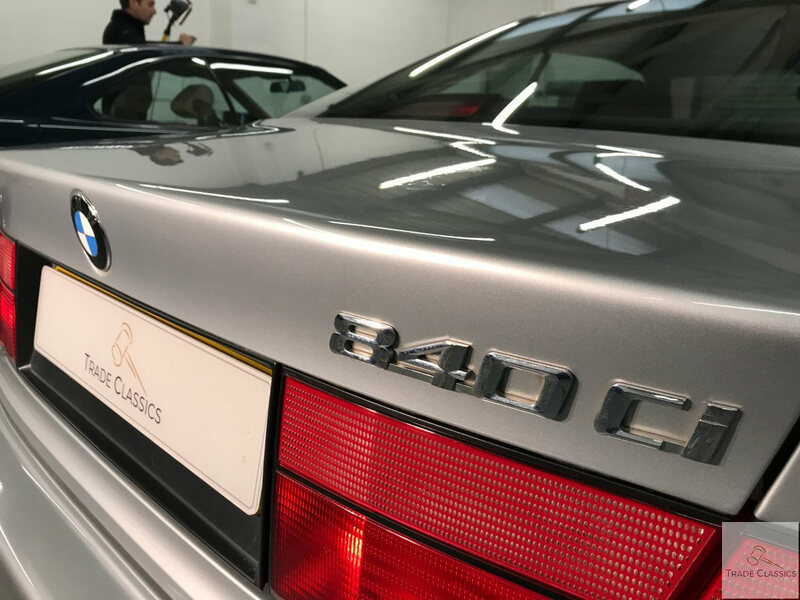 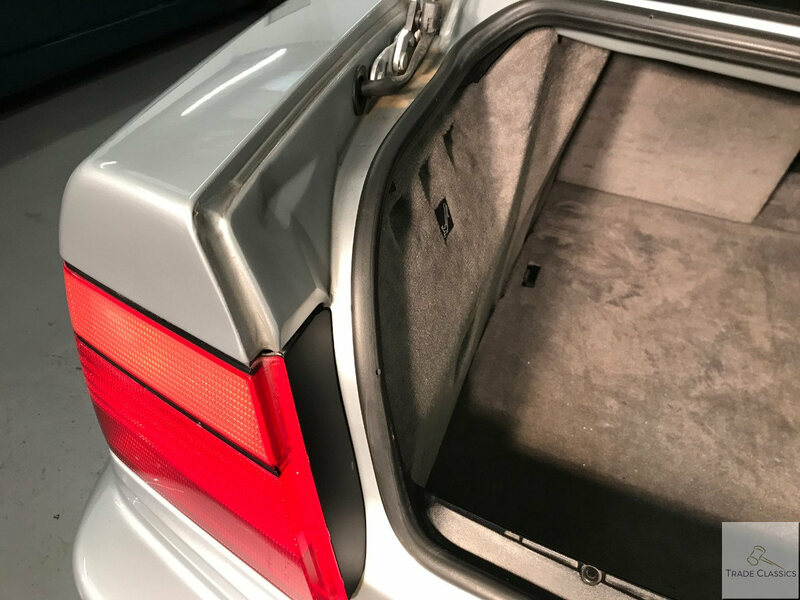 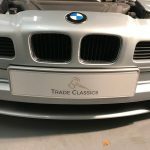 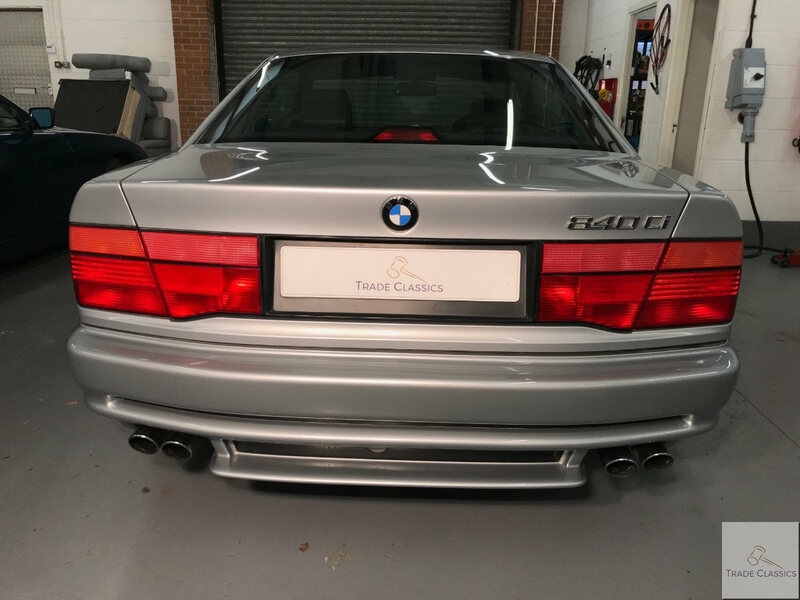 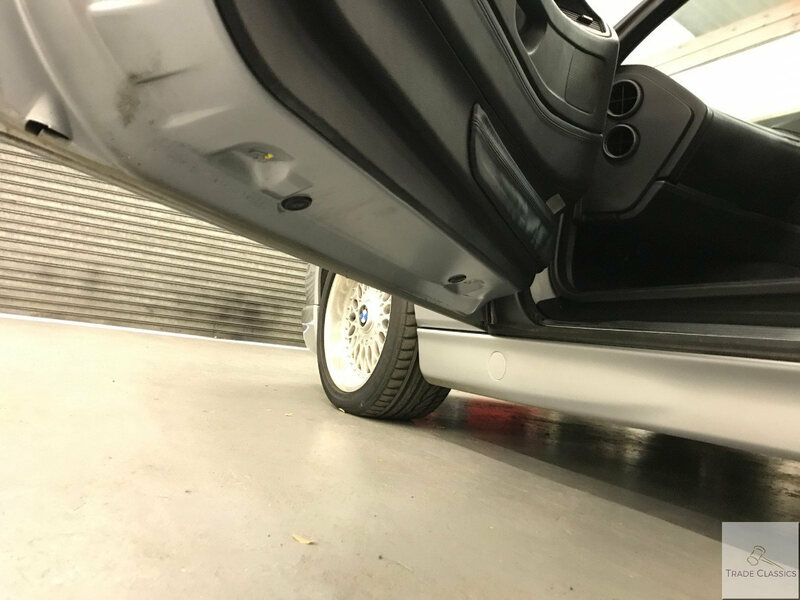 This 840i is finished in silver, and presents itself in good condition. 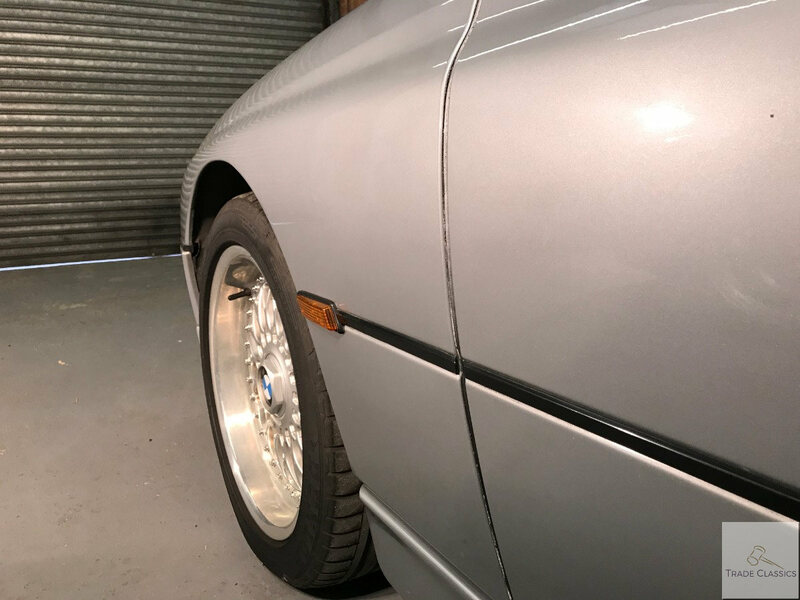 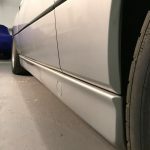 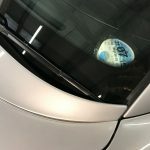 Unlike a lot of Mark’s cars, this one has done over 100,000 miles, and so the bodywork although solid, does have the odd stone chip here and there. 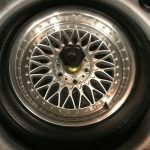 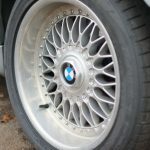 Original factory wheels are fitted, i.e. 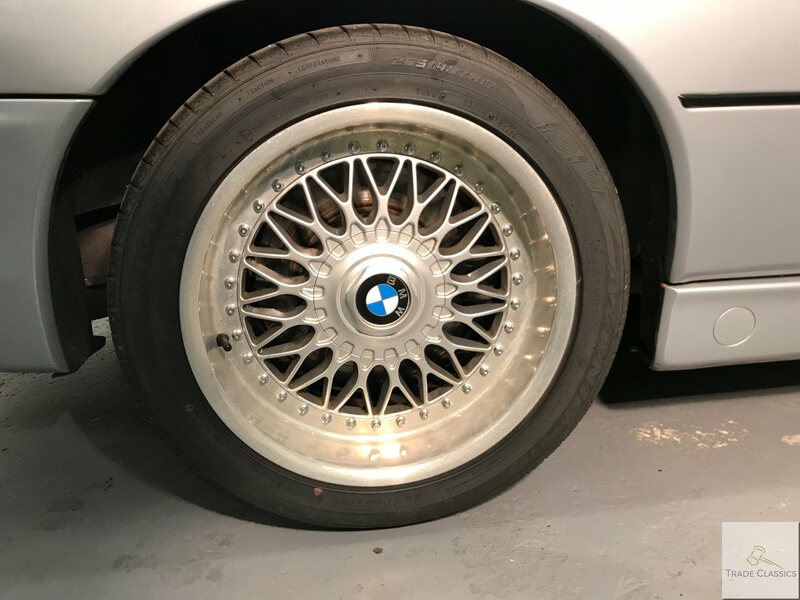 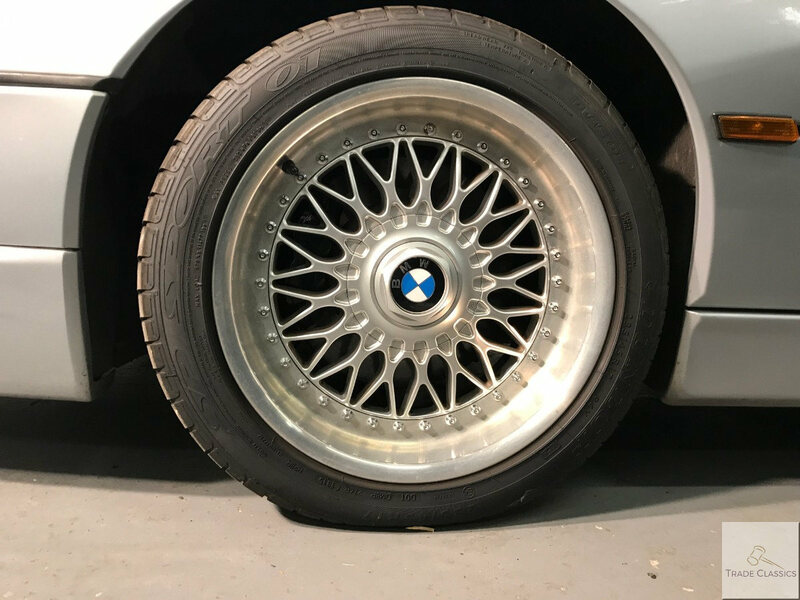 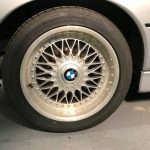 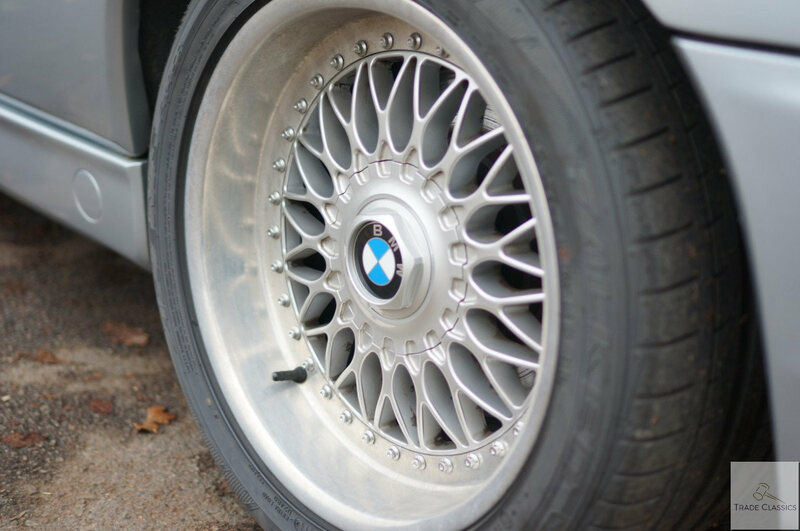 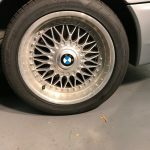 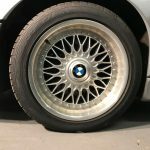 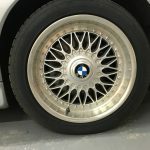 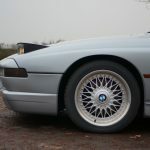 BMW’s two-piece light alloy wheels in cross-spoke styling with 235/45 R 17 on the front wrapped in Dunlops, and 265/40 R 17 at the rear wrapped in Falken Azenis tyres. 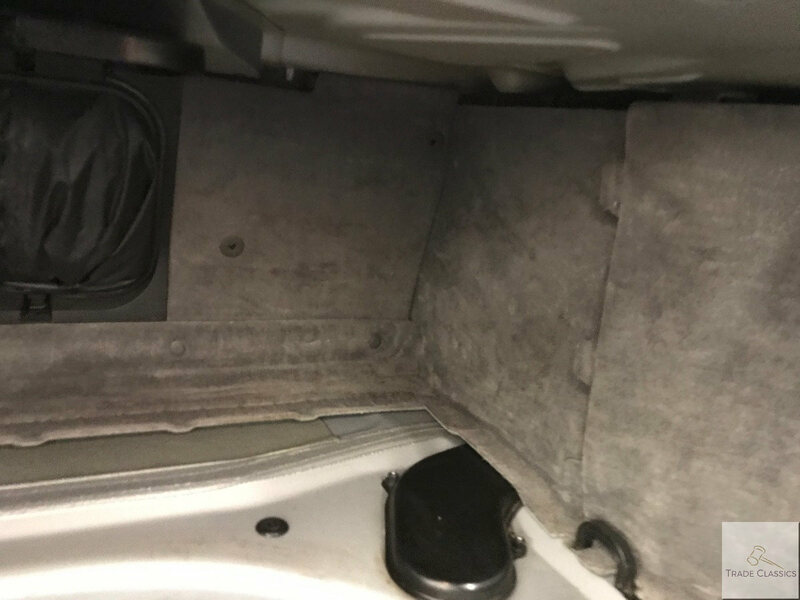 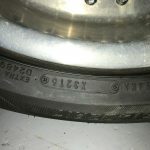 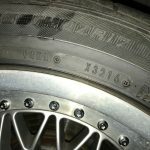 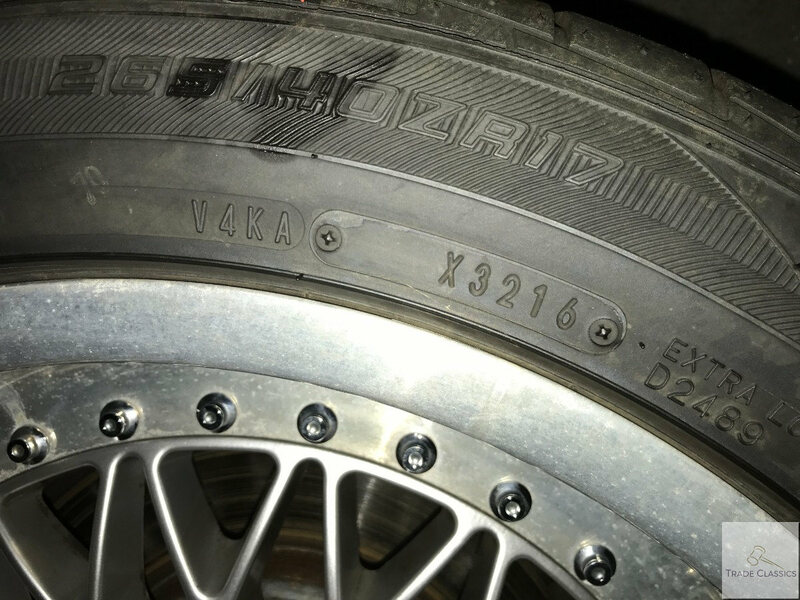 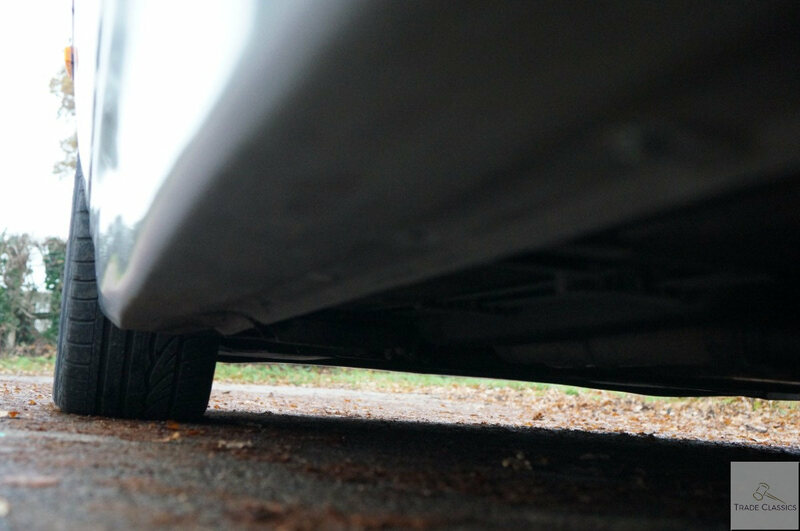 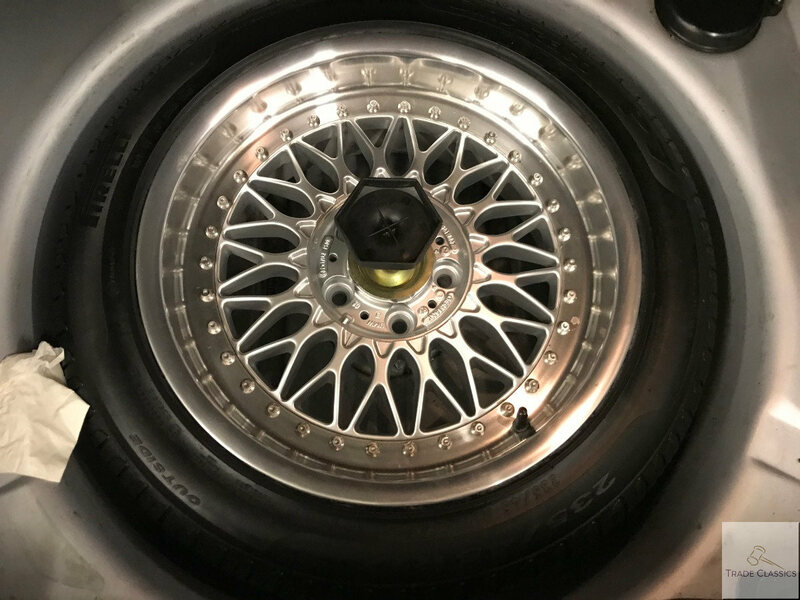 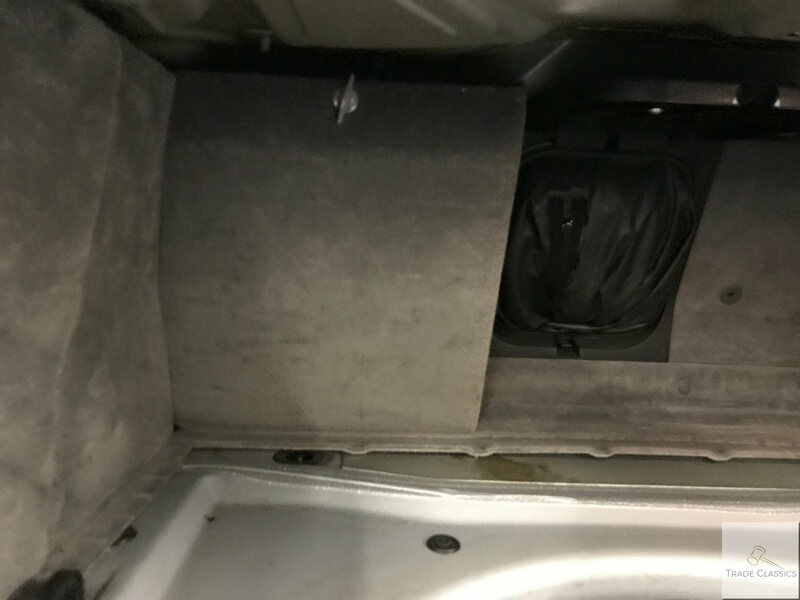 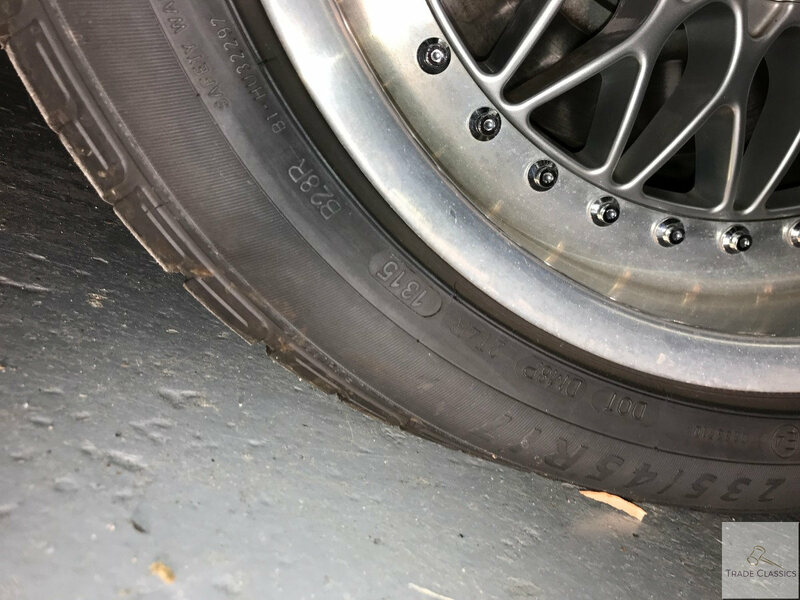 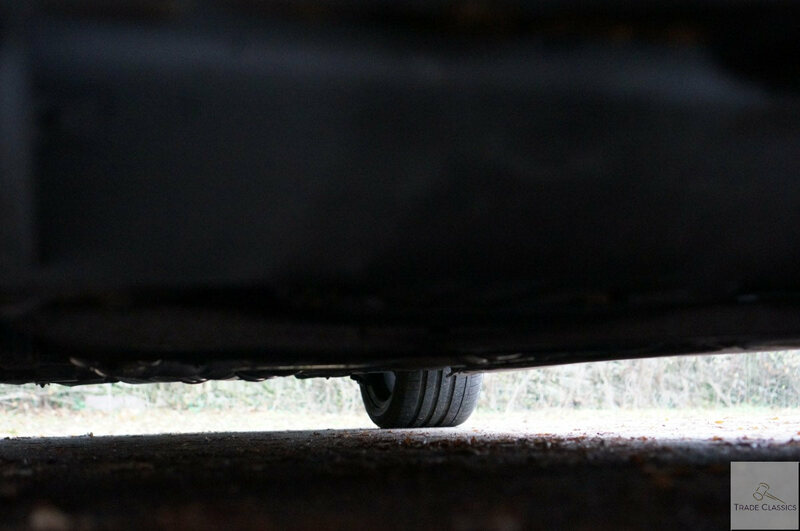 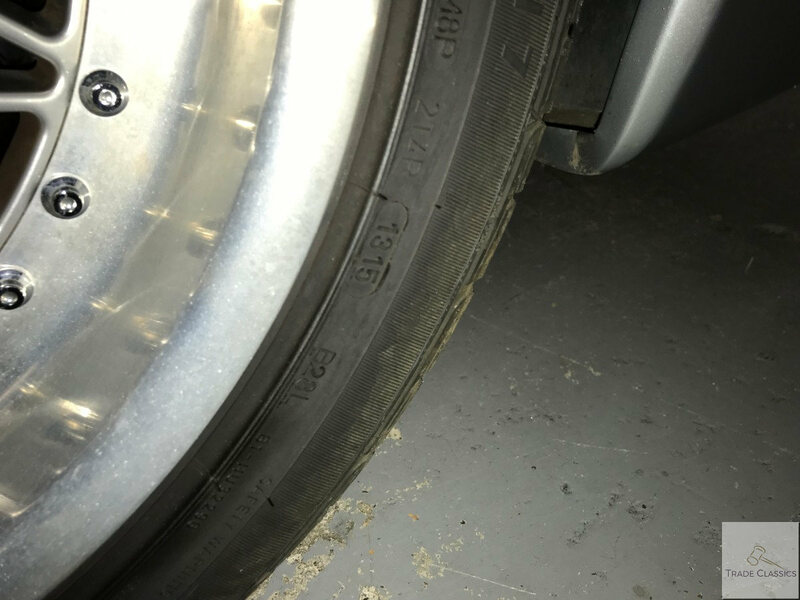 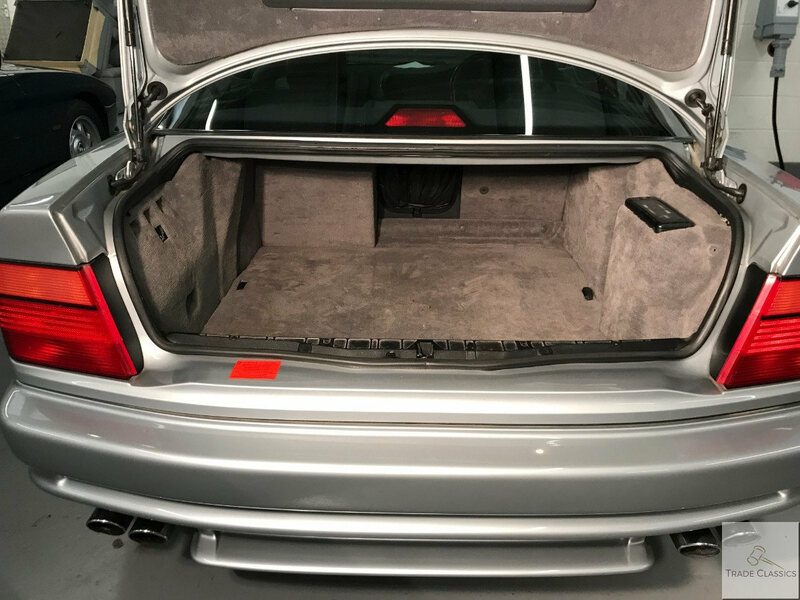 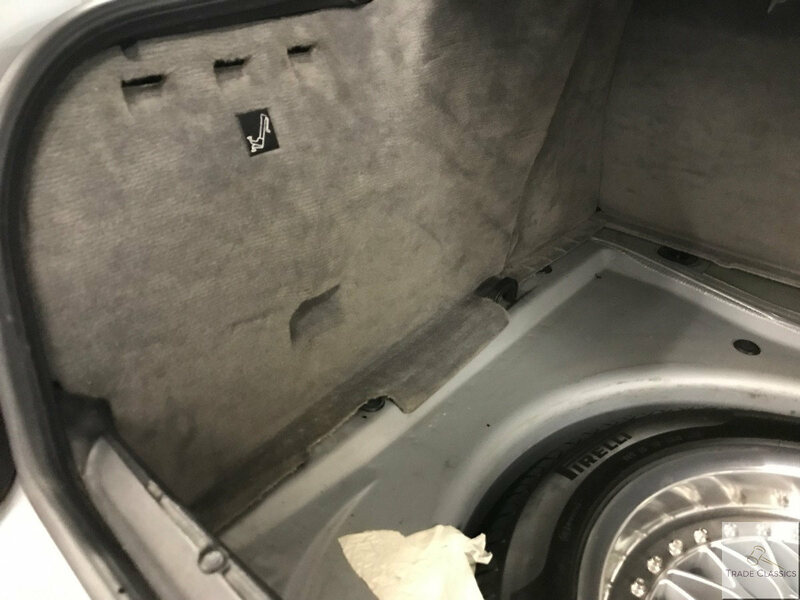 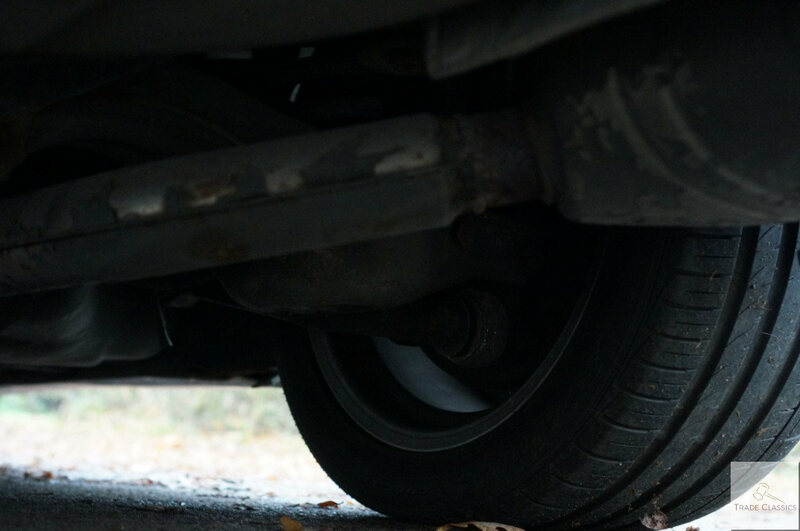 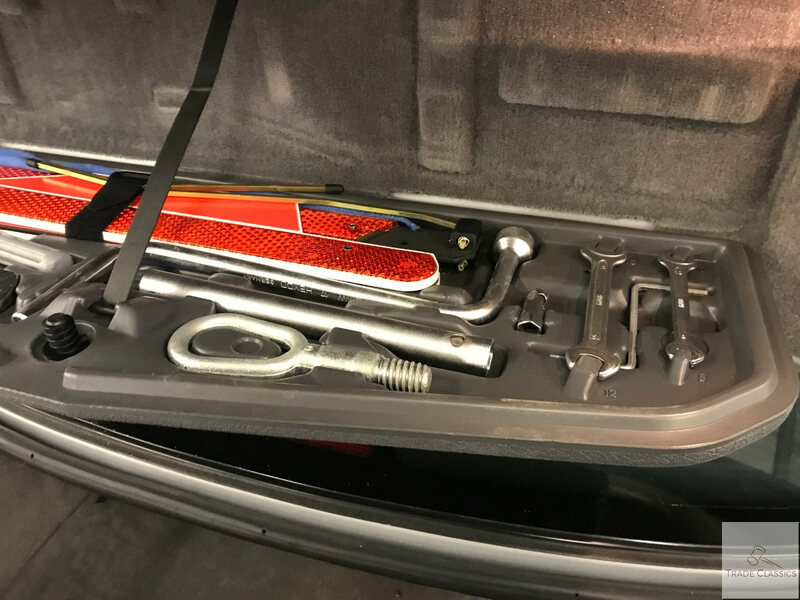 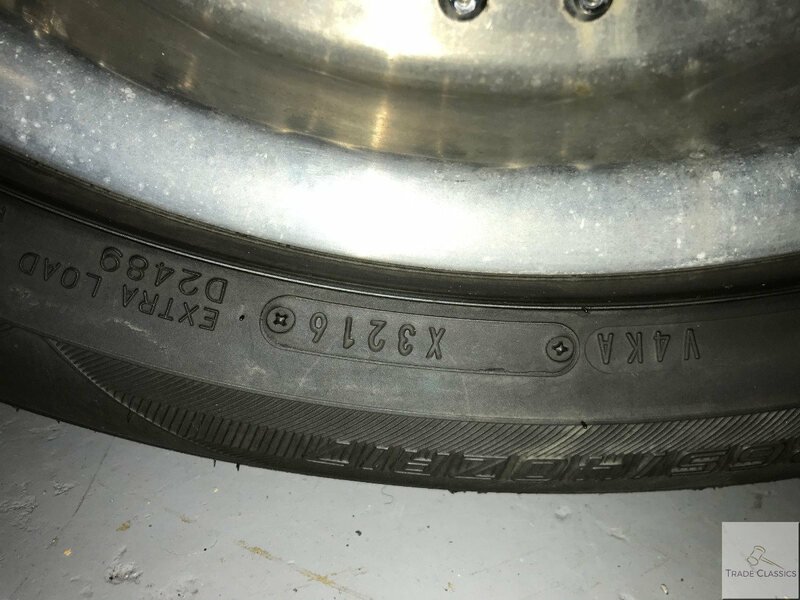 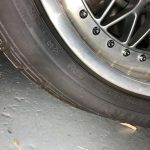 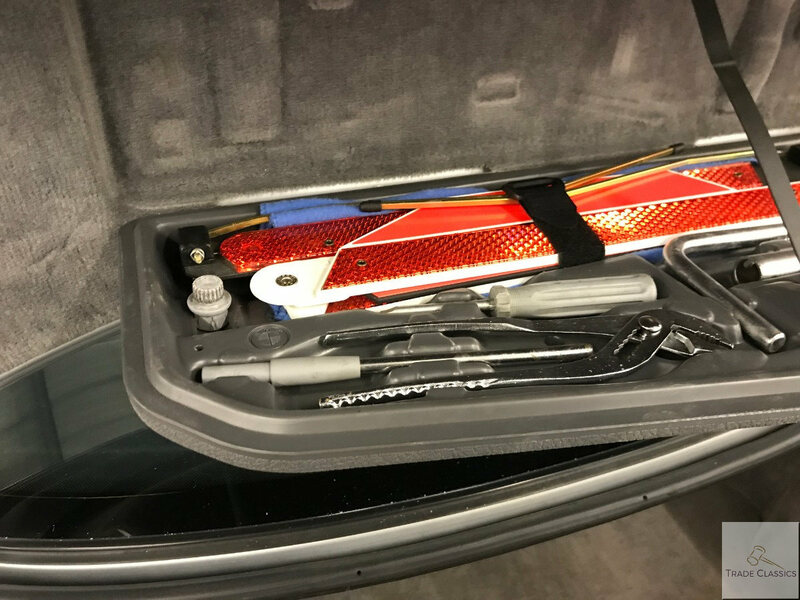 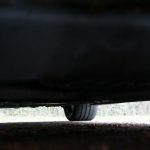 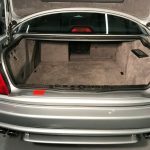 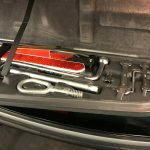 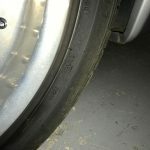 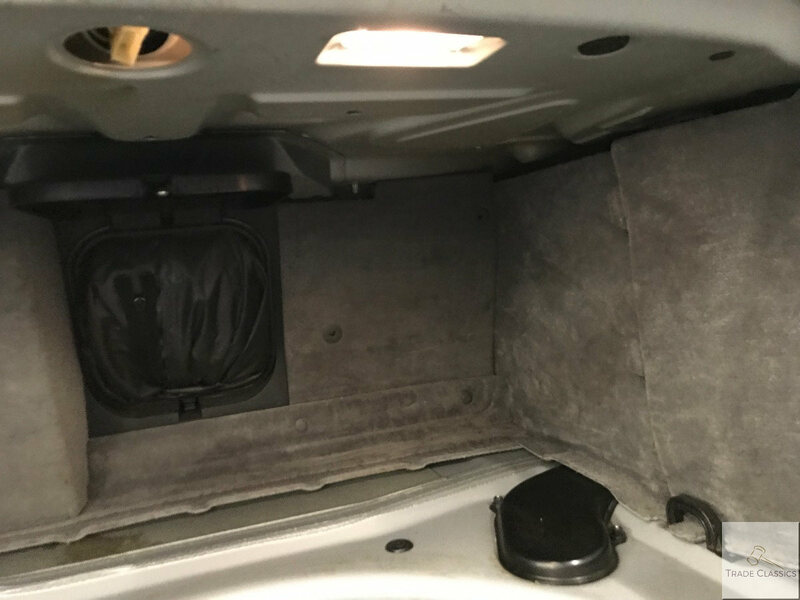 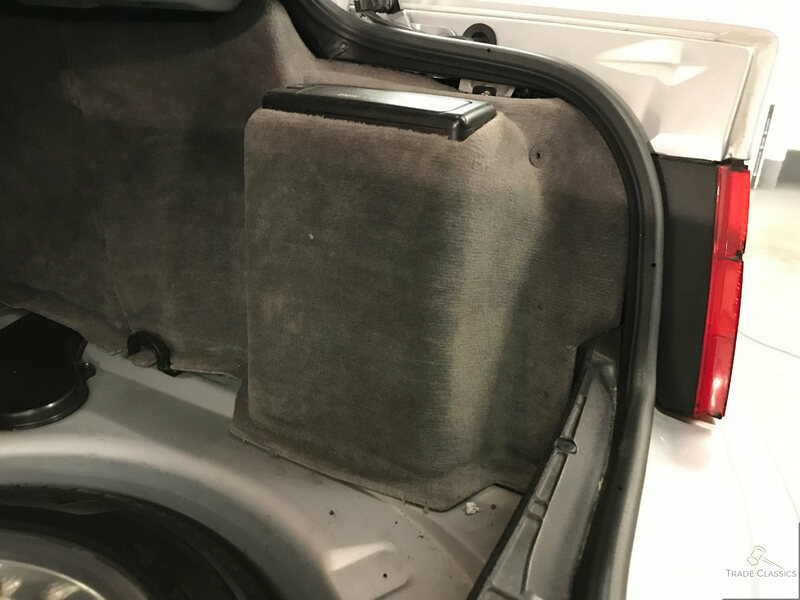 The wheels are unmarked, and there is an unused full size spare in beautiful condition in the boot. 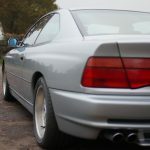 The bodywork is very good on this car. 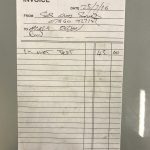 There was no rust or rot observed from our inspection, take a look at the video review. 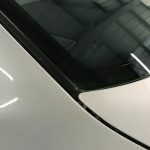 All of the panel gaps across the car are uniform, and no parking dents etc observed. 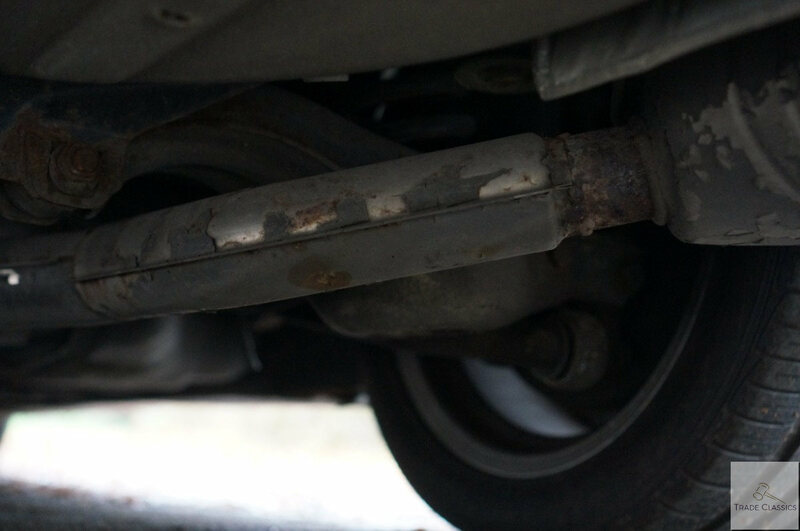 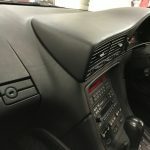 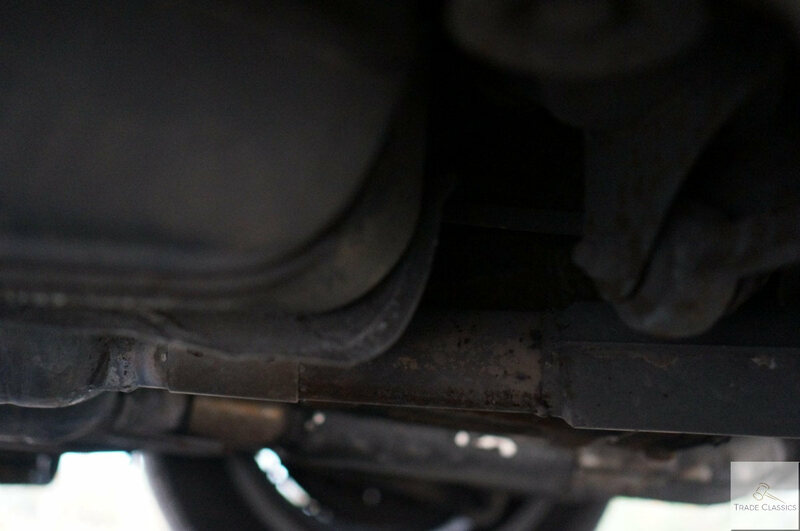 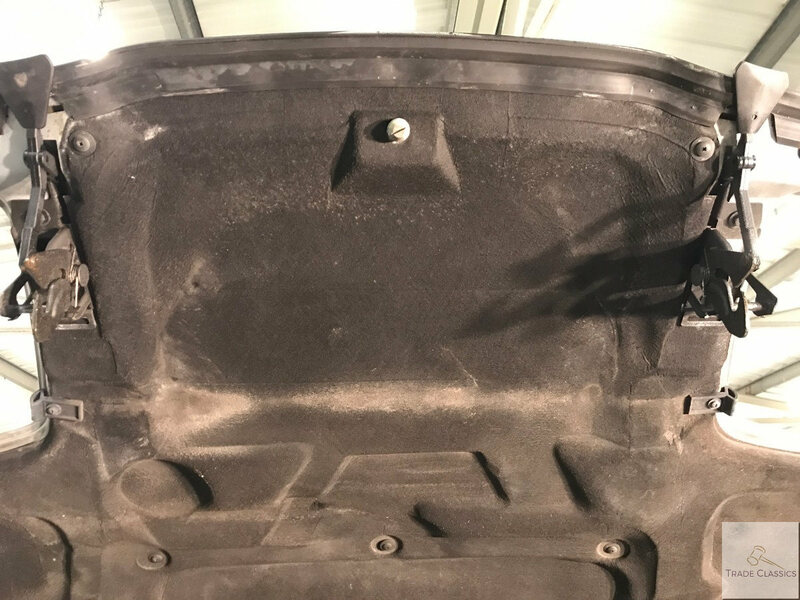 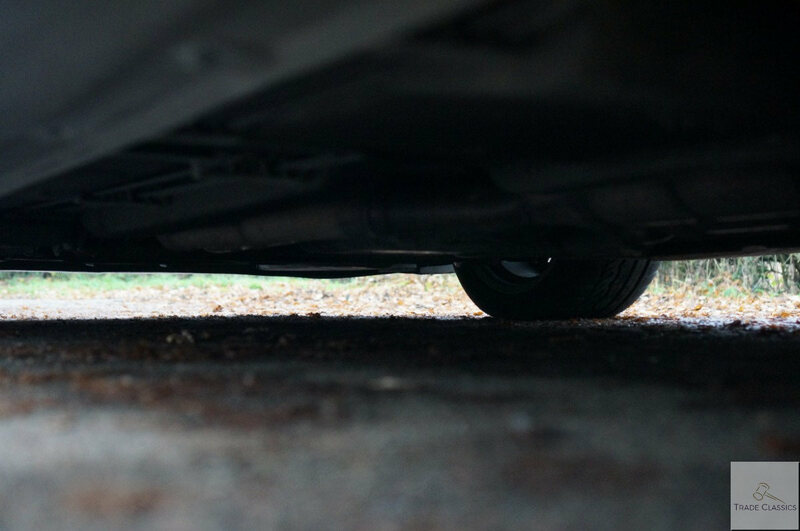 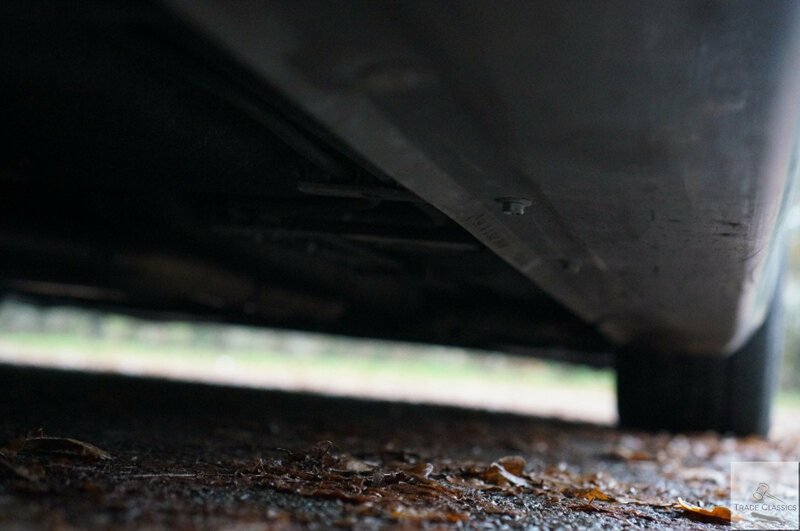 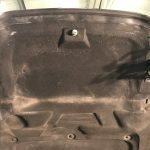 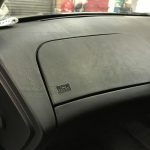 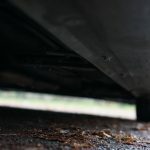 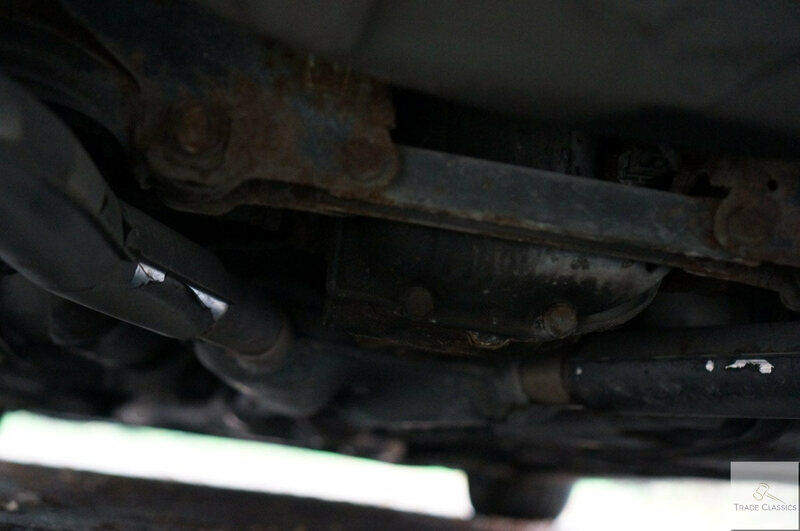 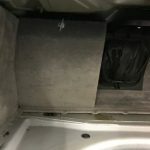 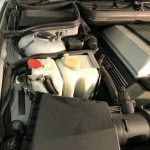 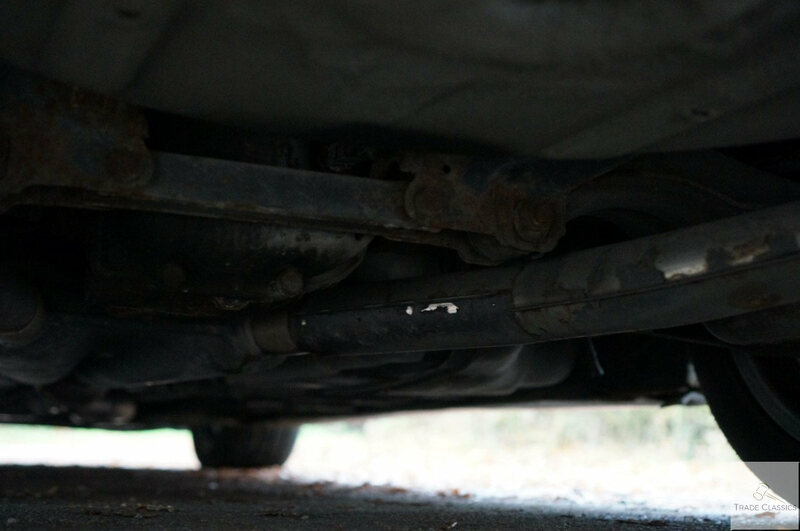 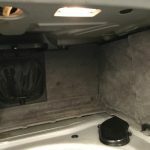 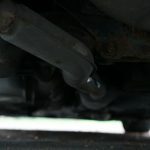 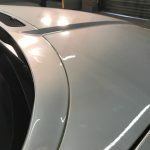 The car has covered over 100,000 miles, and with that comes some wear on the paintwork. 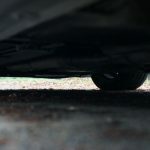 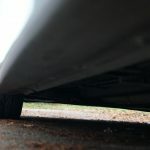 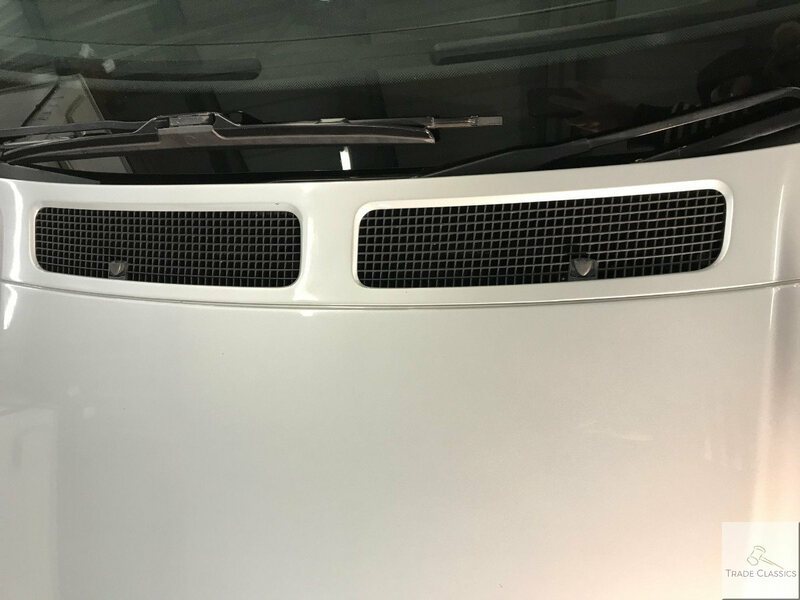 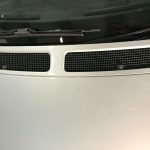 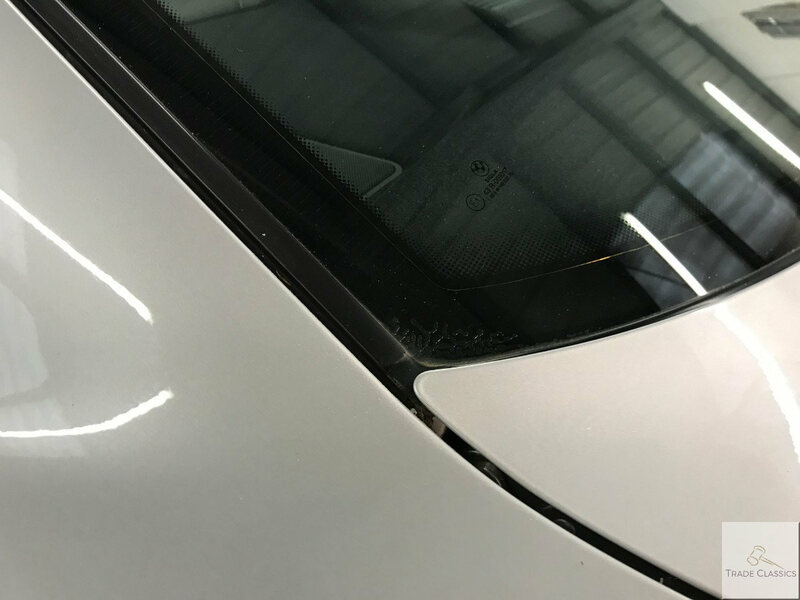 There are a number of small stone chips across the front of the car, you can see these in the video and images. 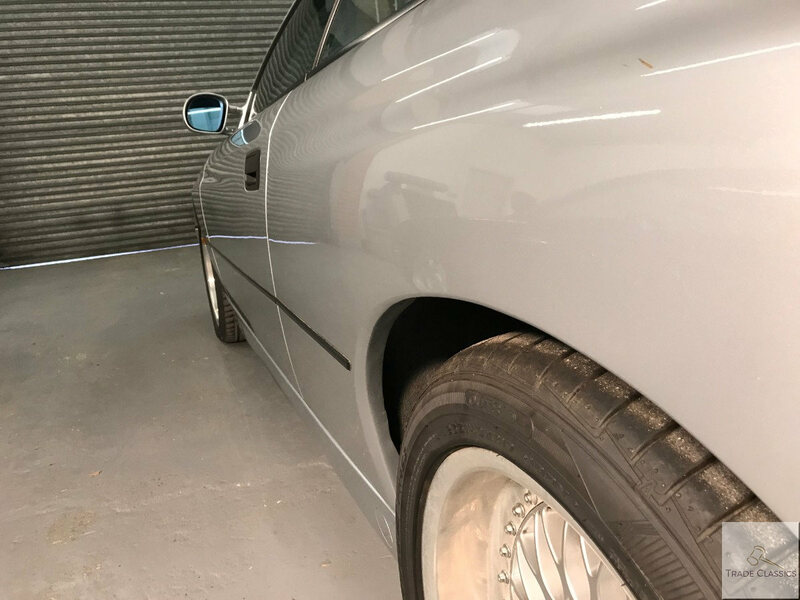 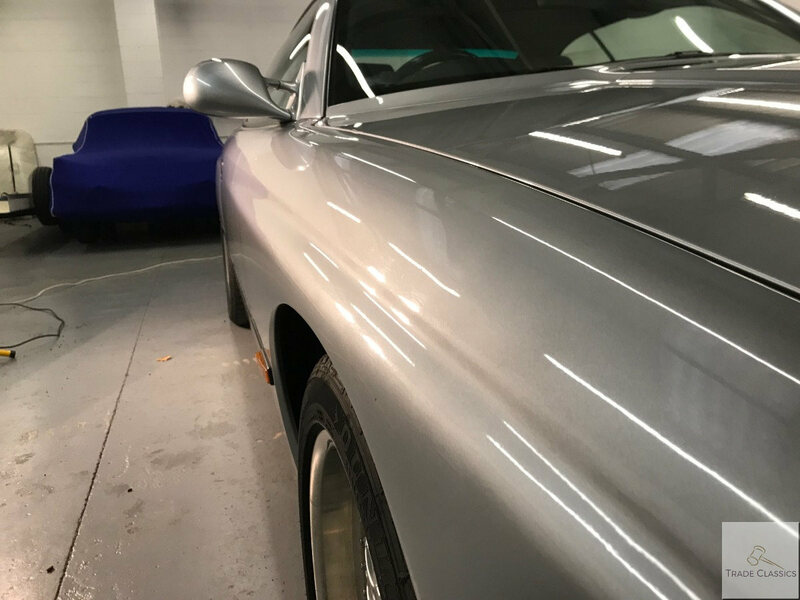 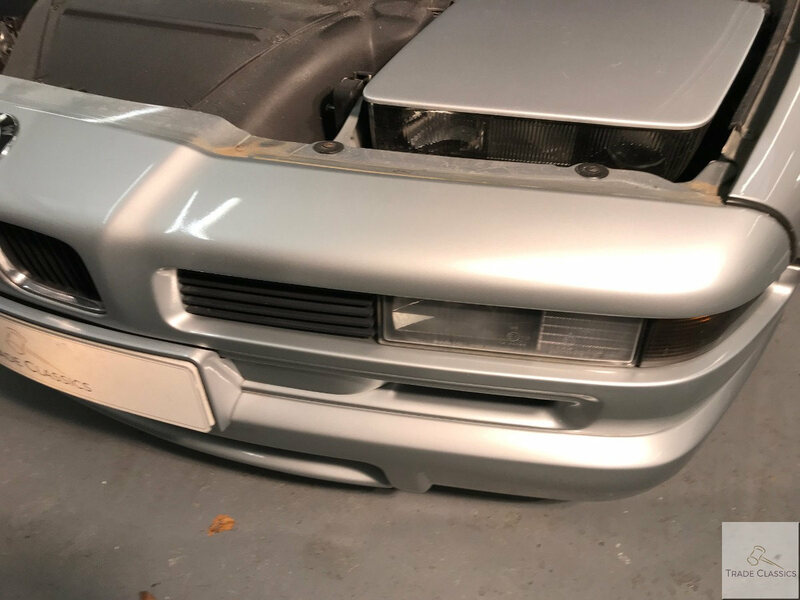 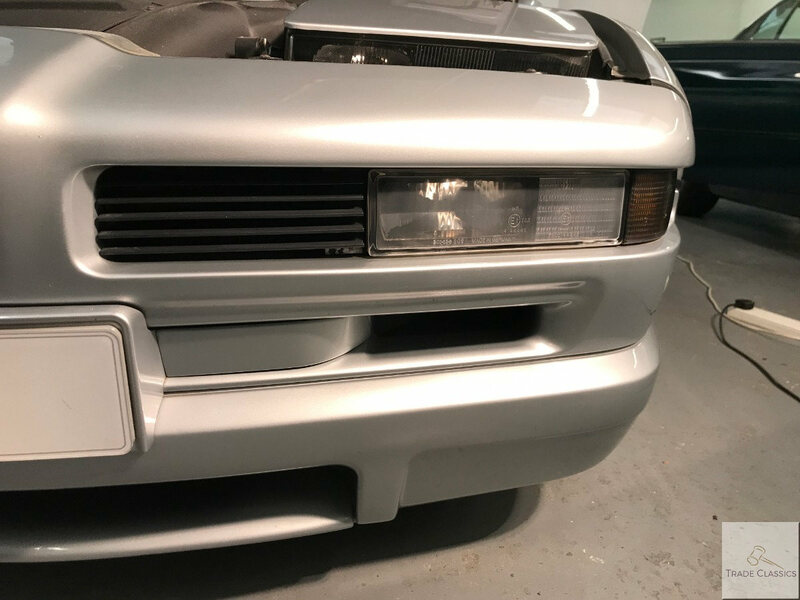 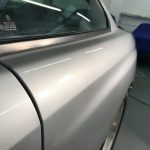 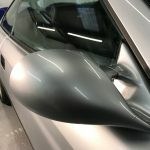 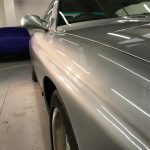 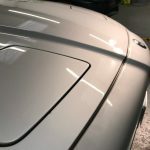 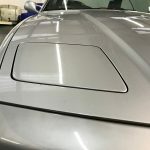 The paint itself being silver looks great and even in colour and condition. 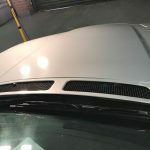 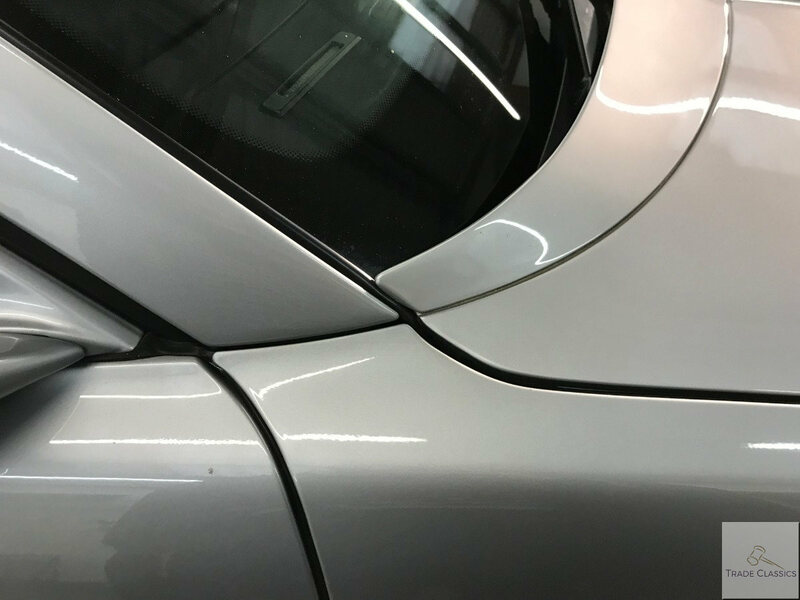 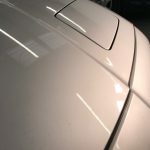 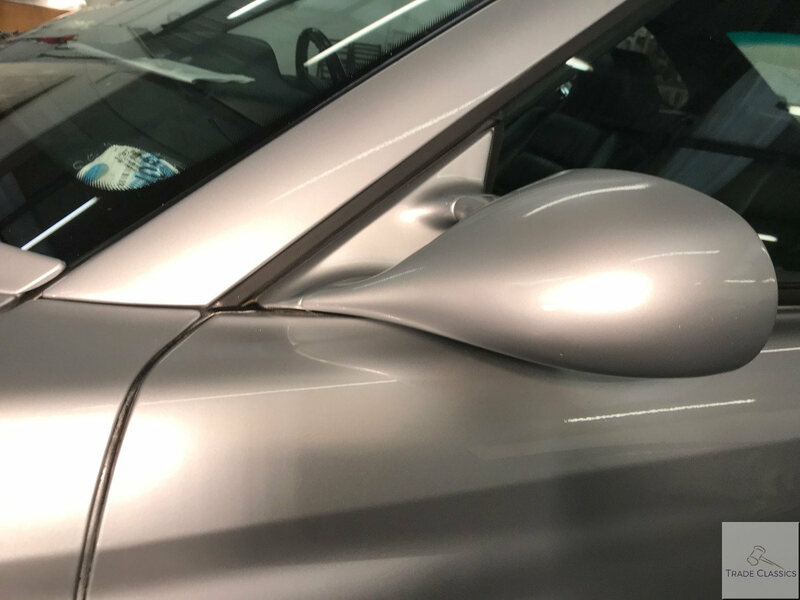 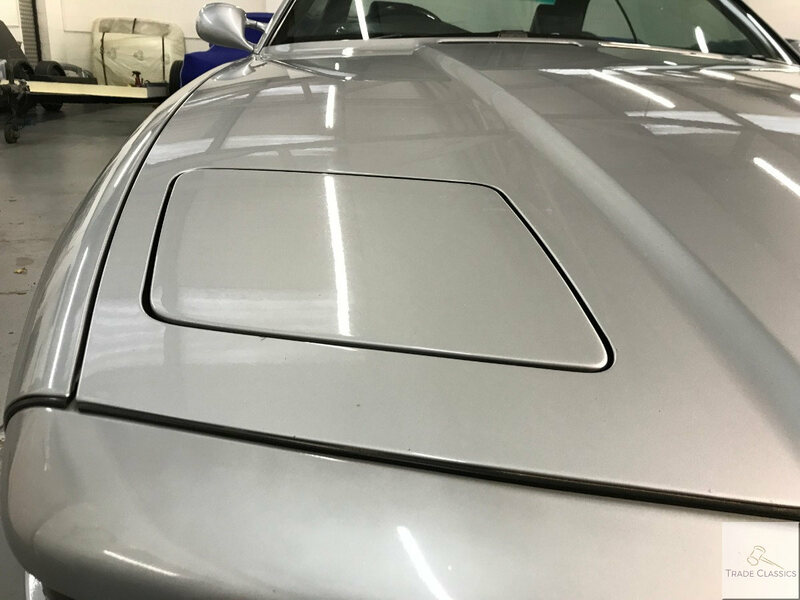 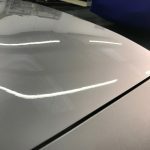 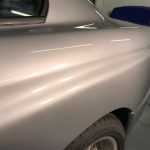 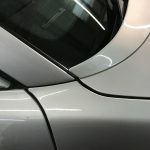 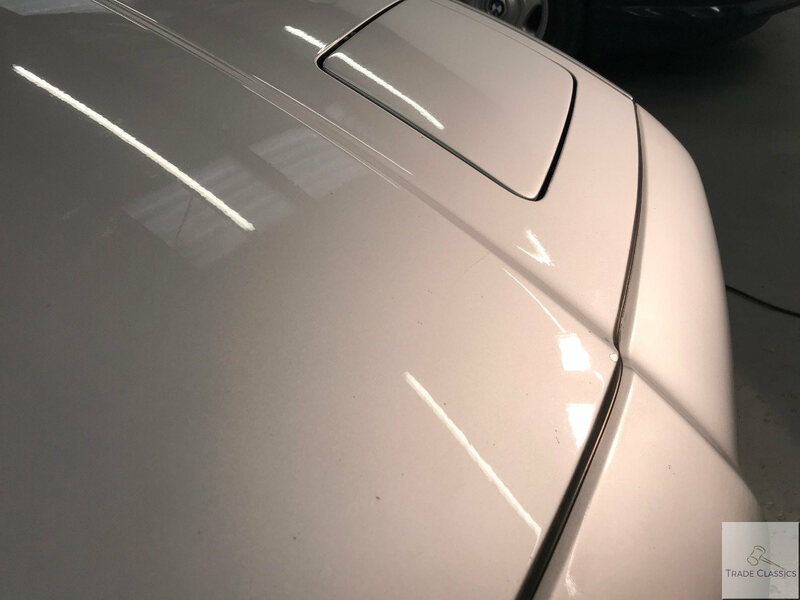 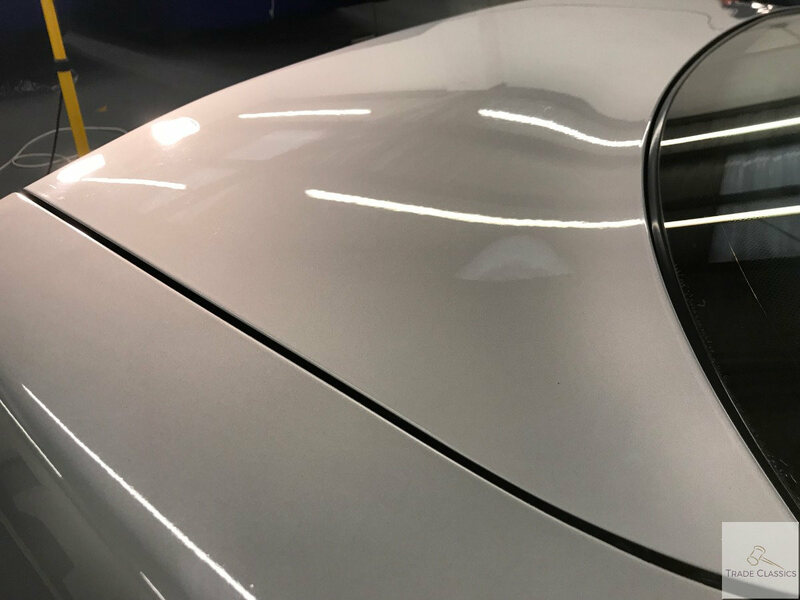 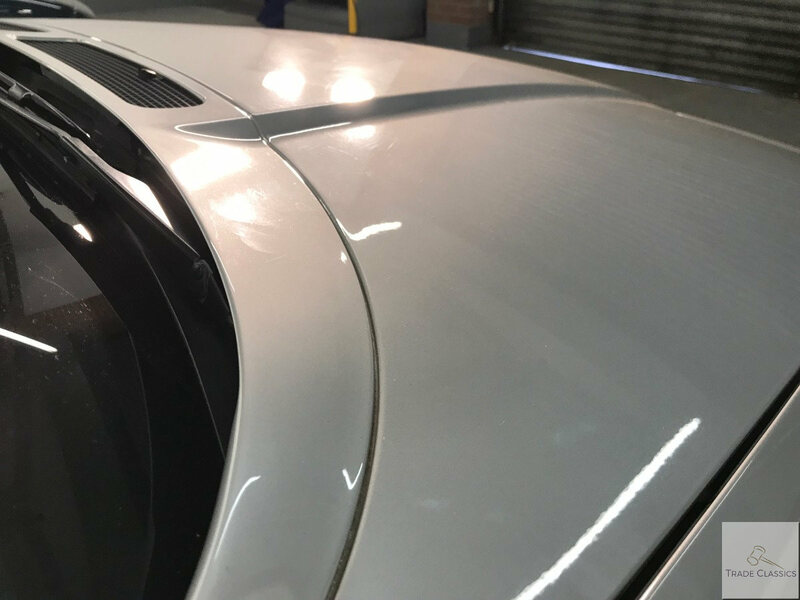 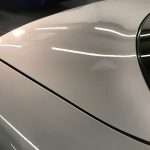 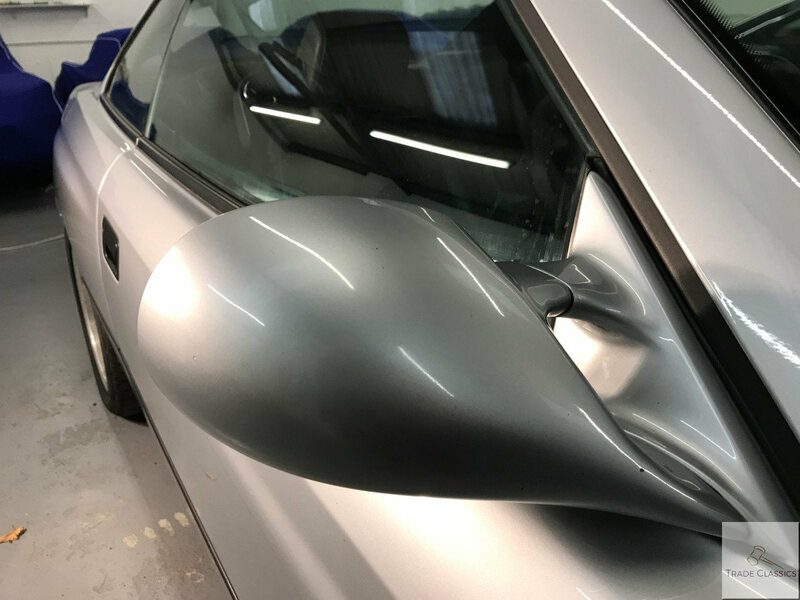 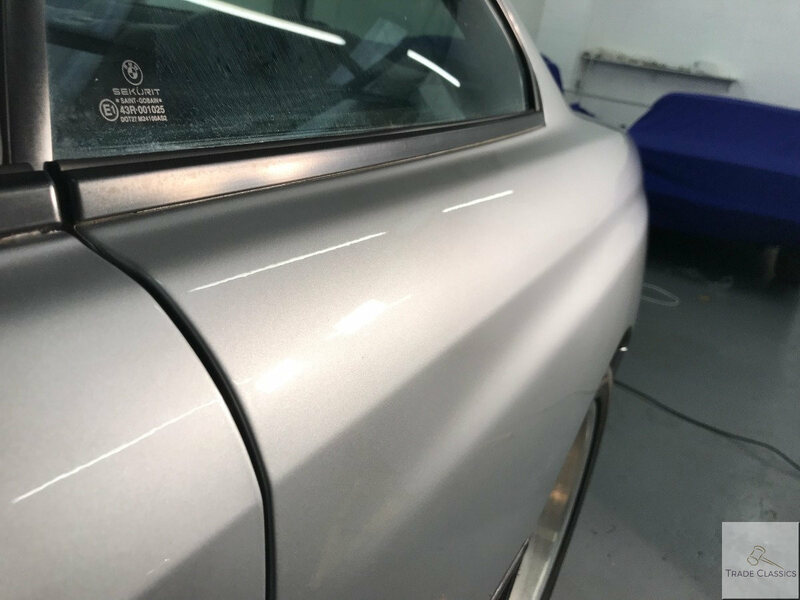 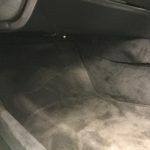 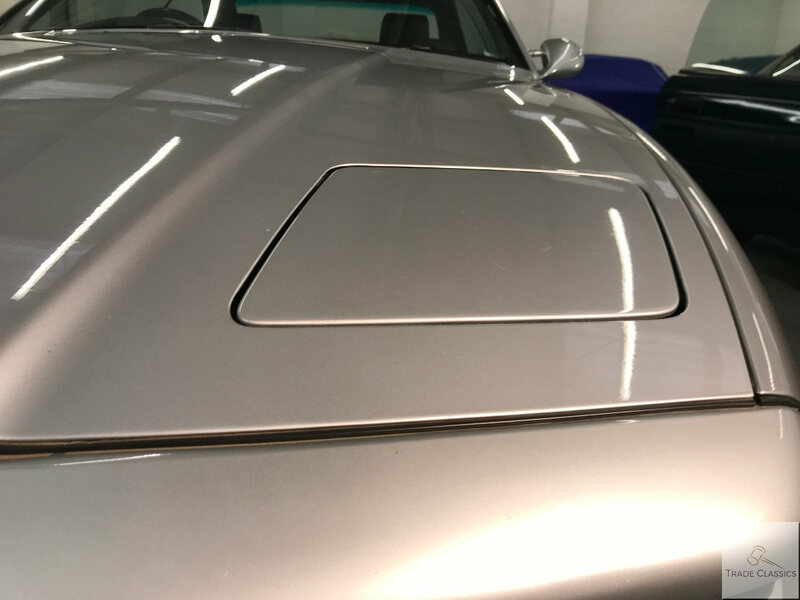 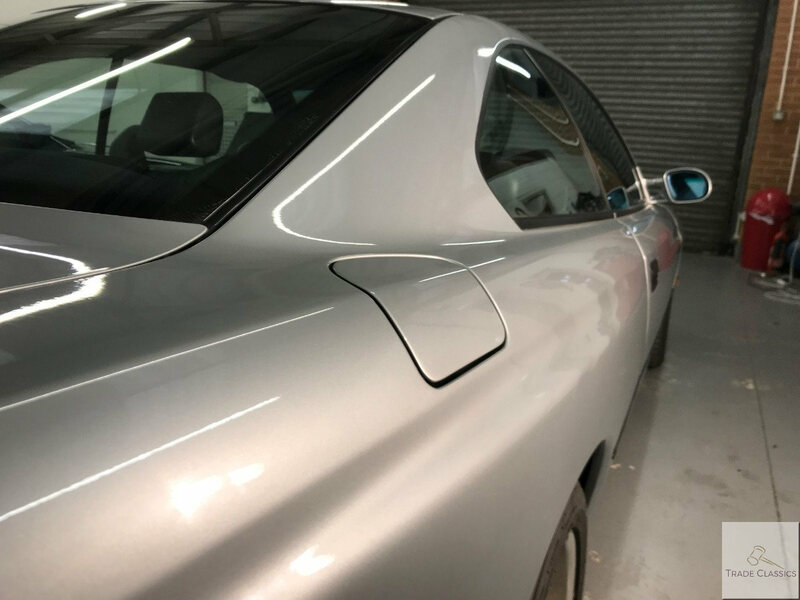 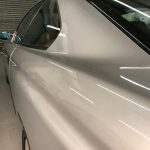 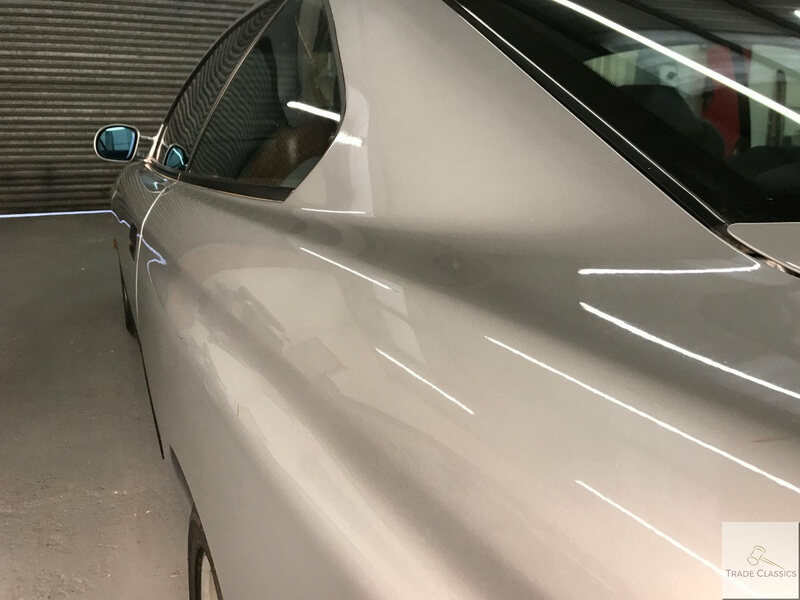 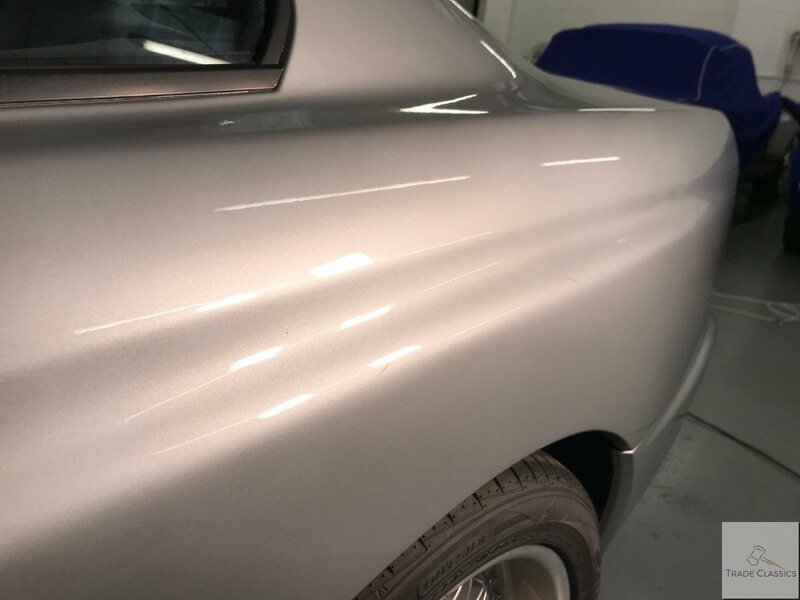 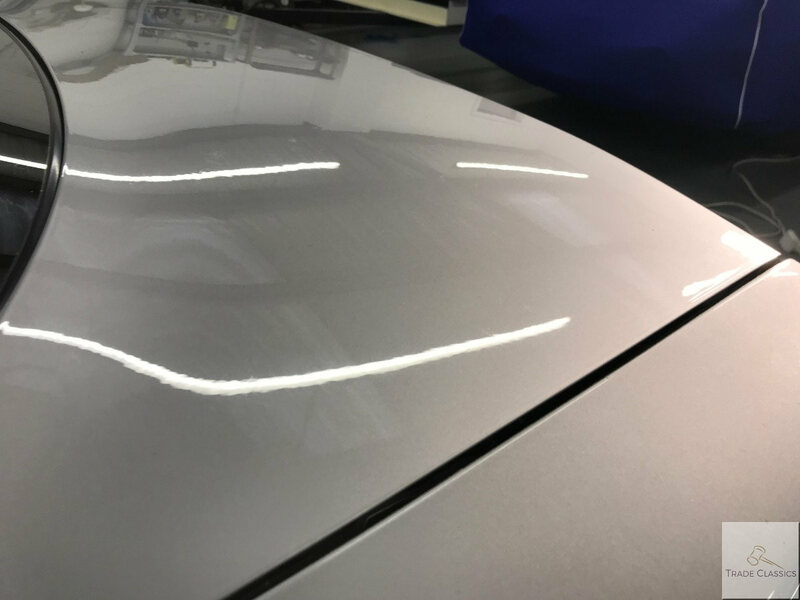 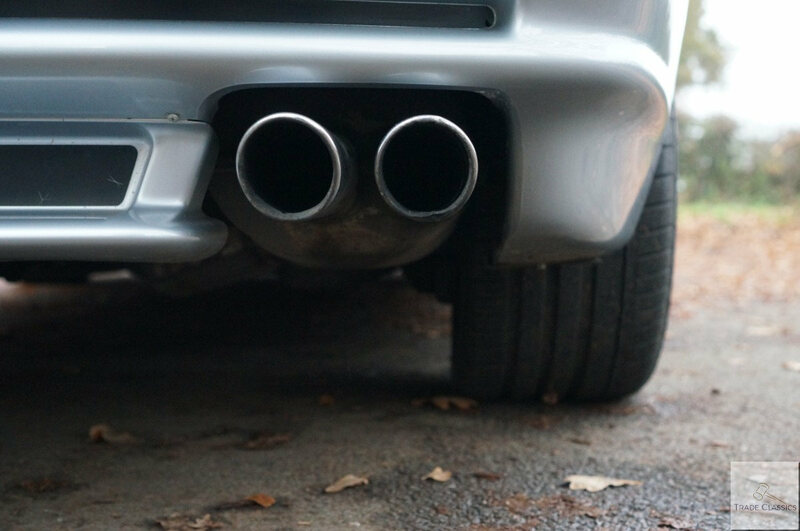 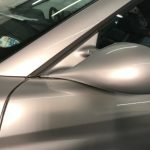 The car could benefit from a thorough mop and polish as on very close inspection you can see swirl marks in the right light. 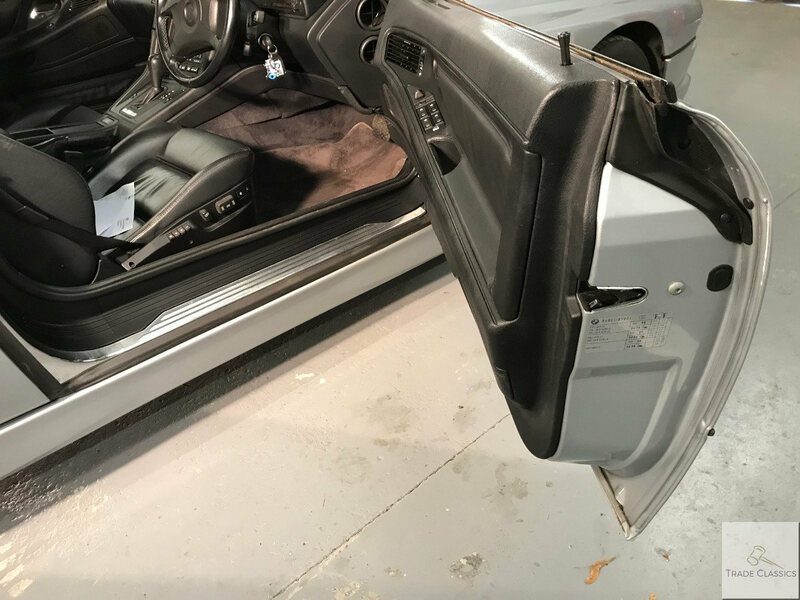 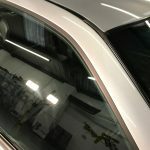 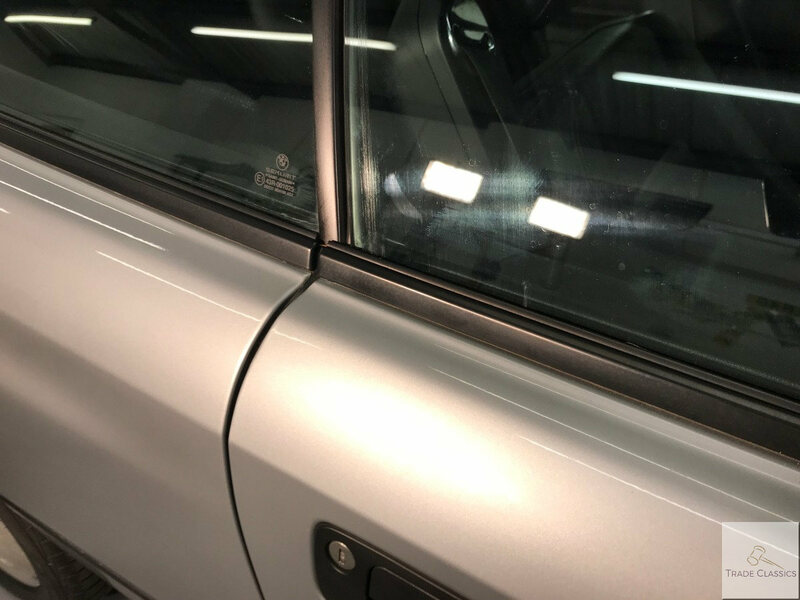 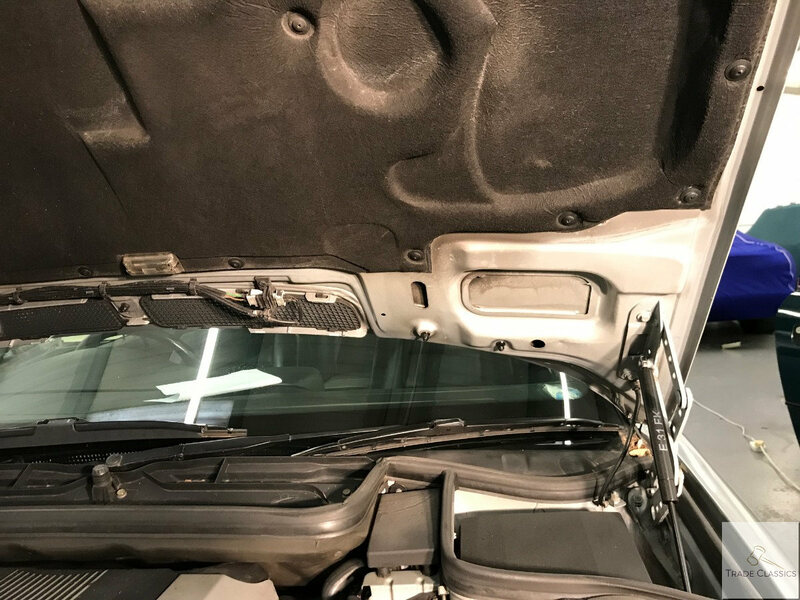 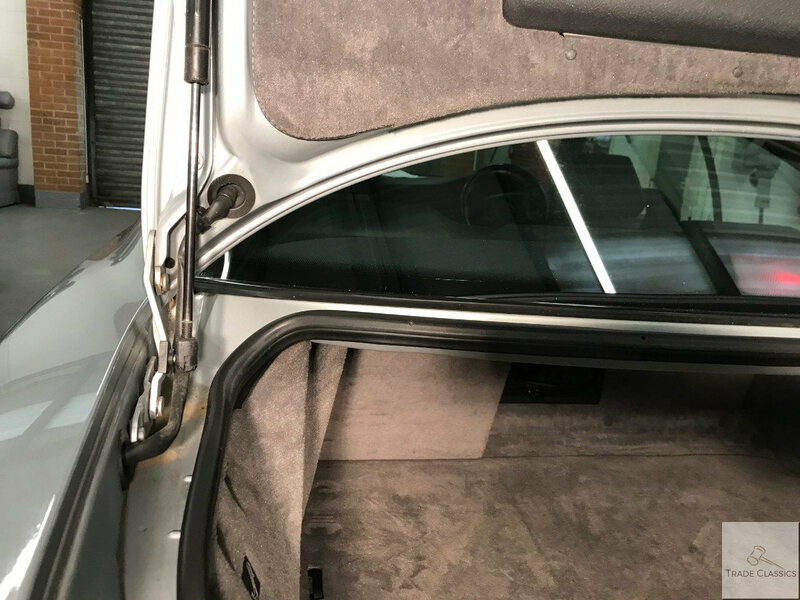 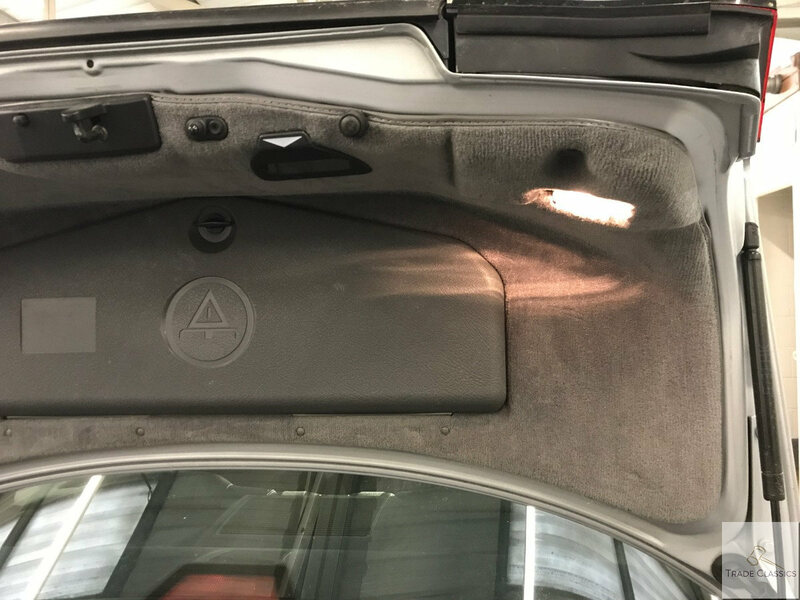 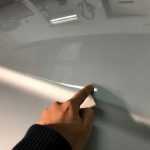 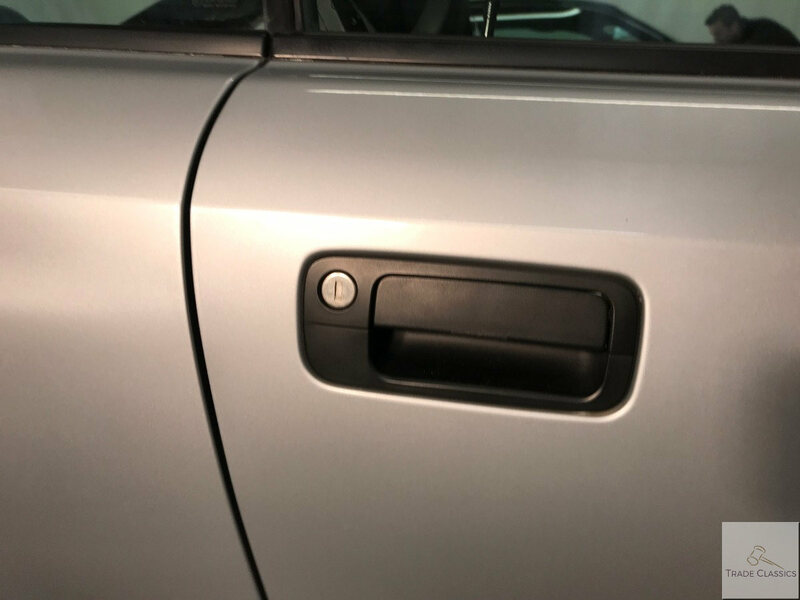 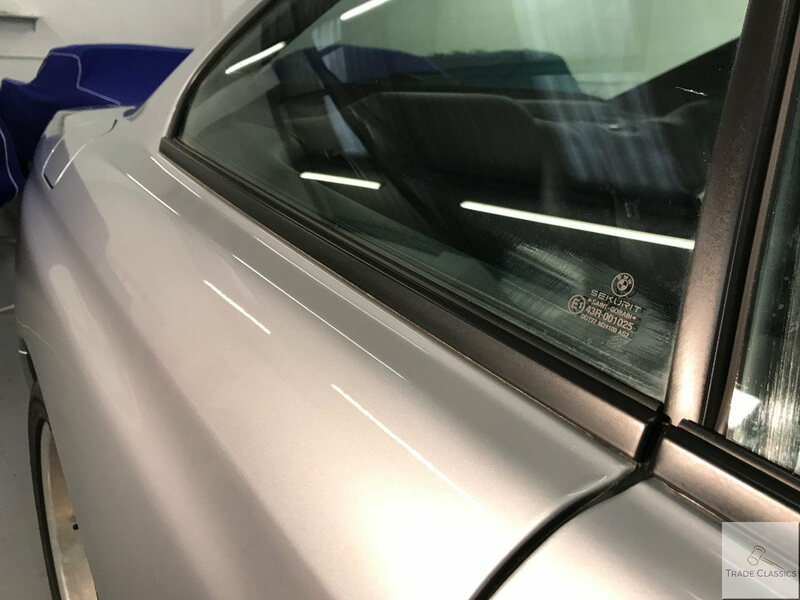 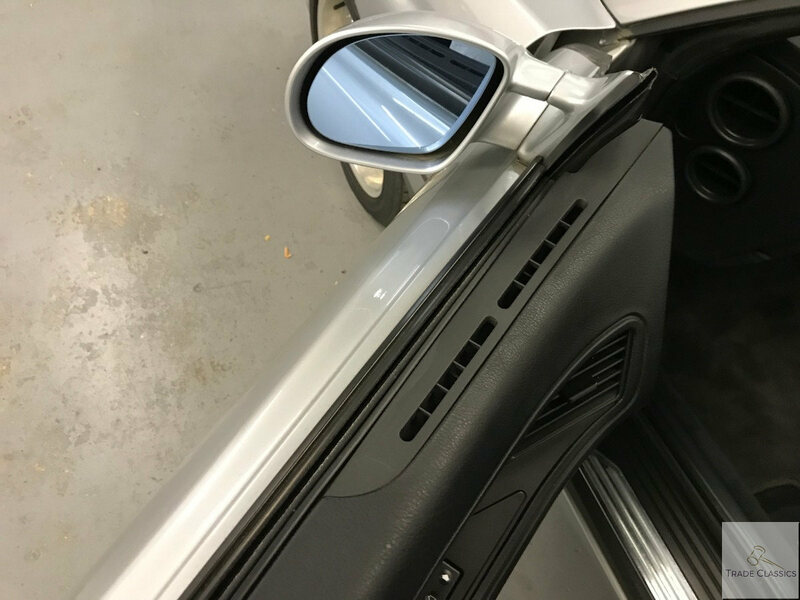 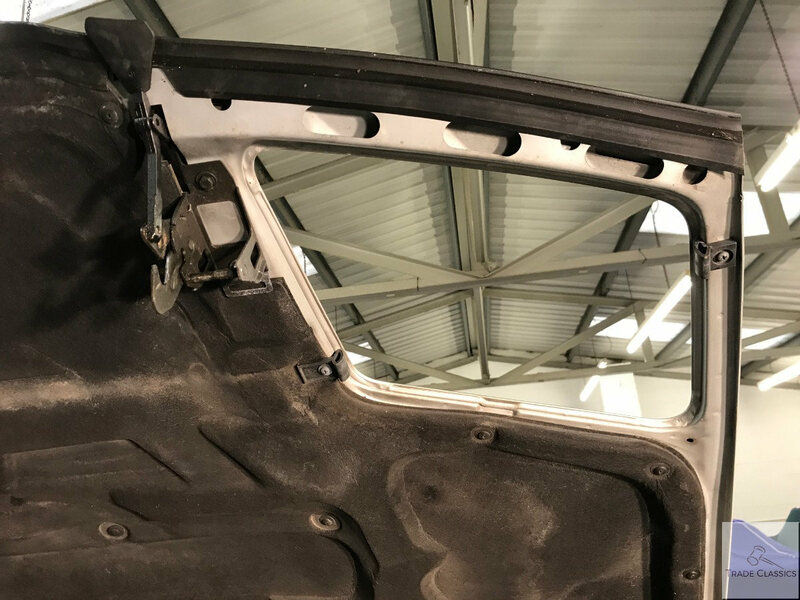 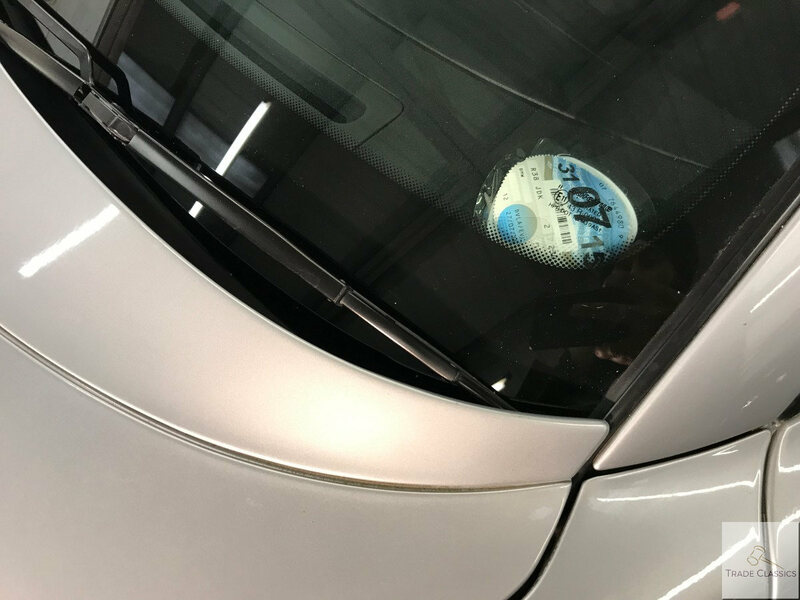 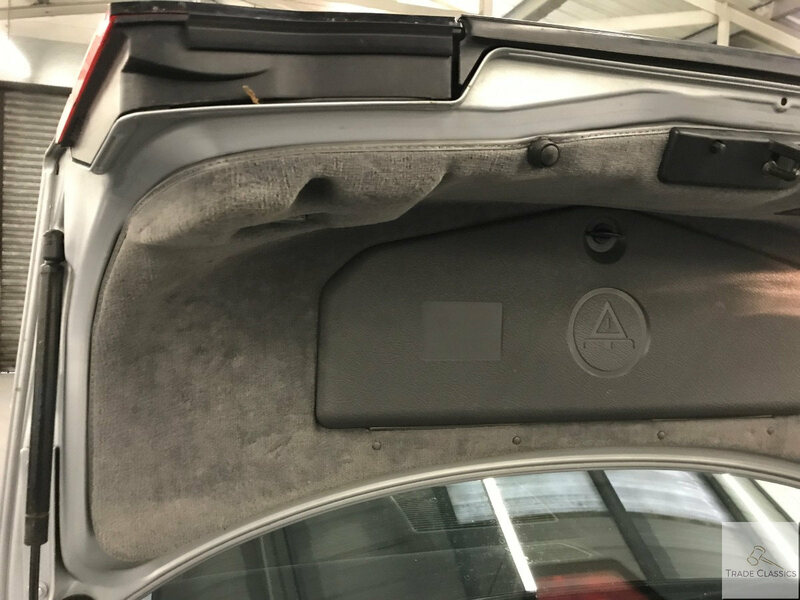 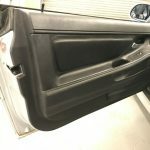 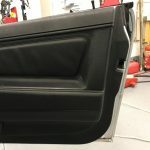 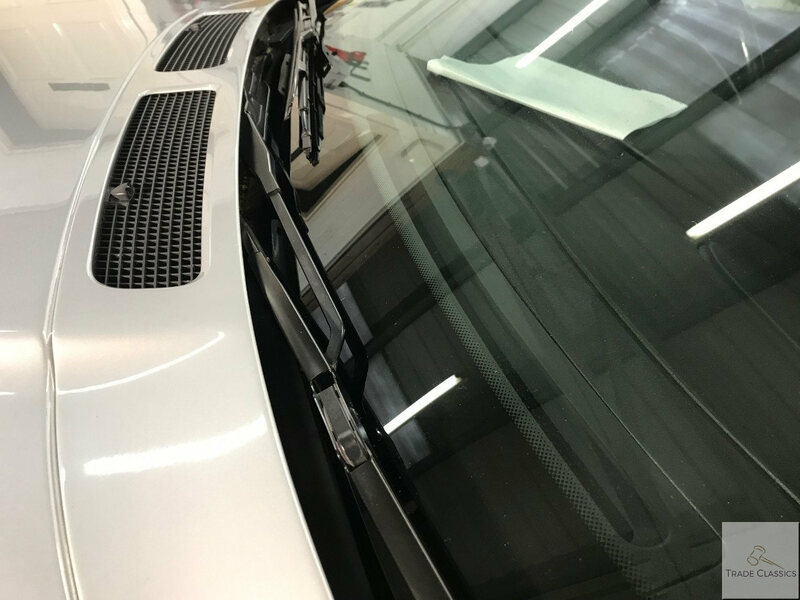 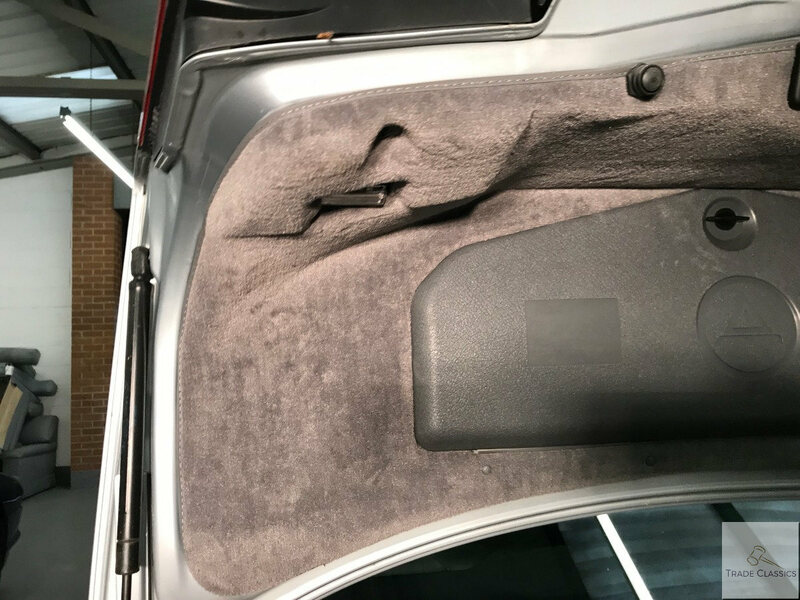 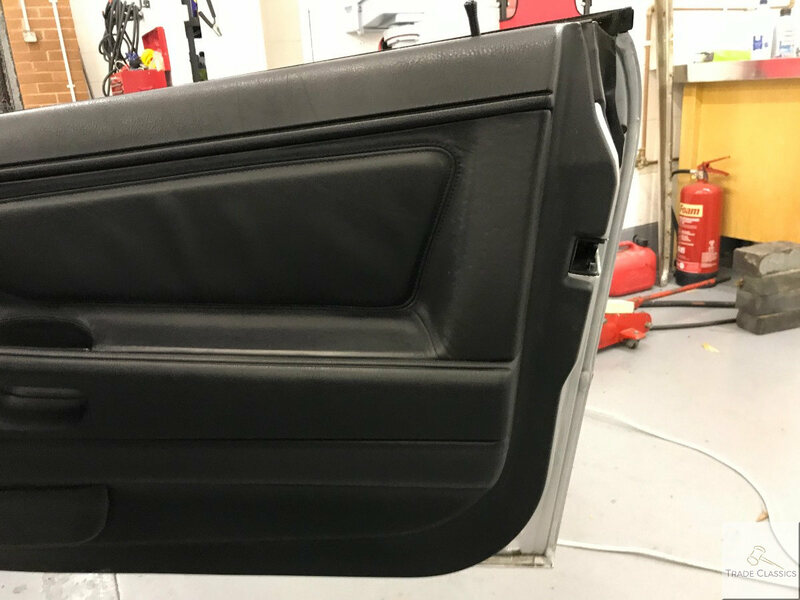 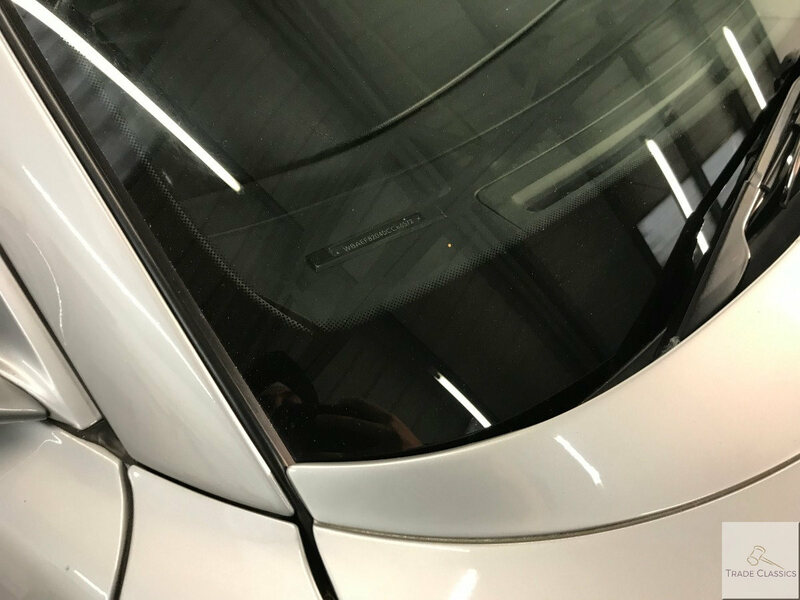 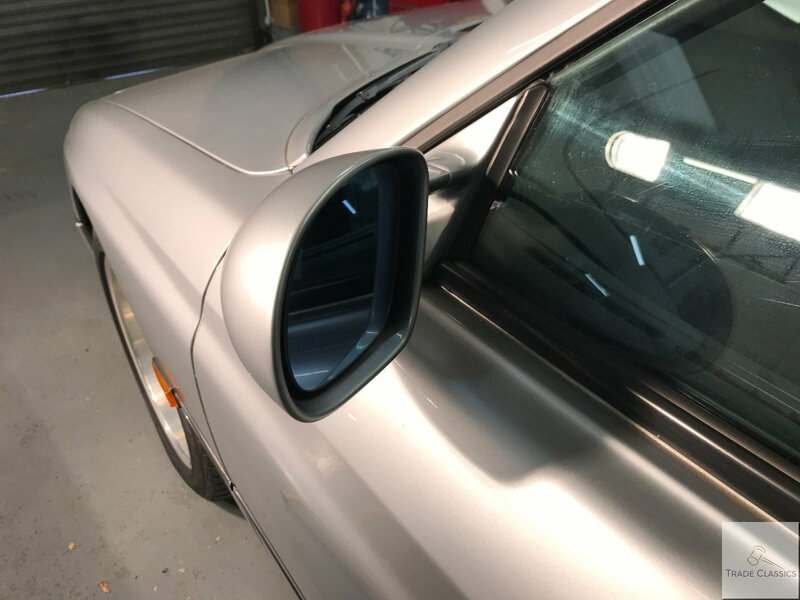 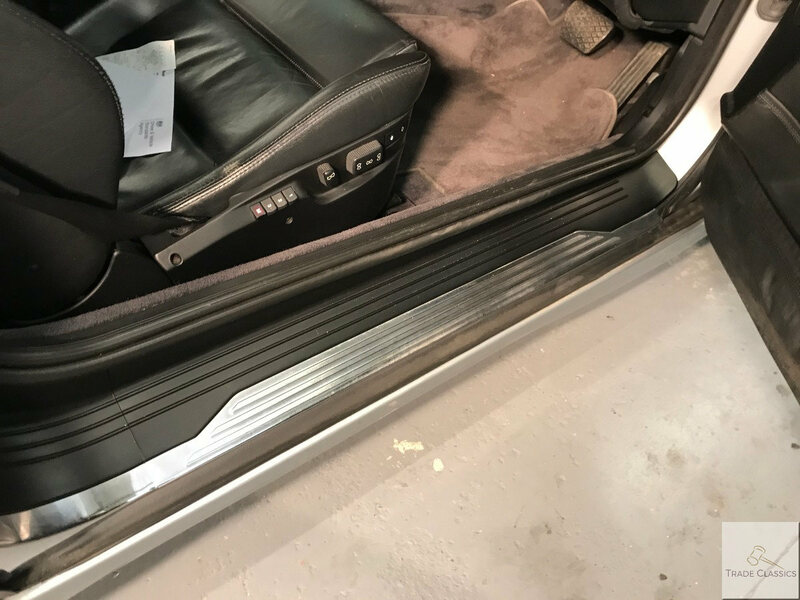 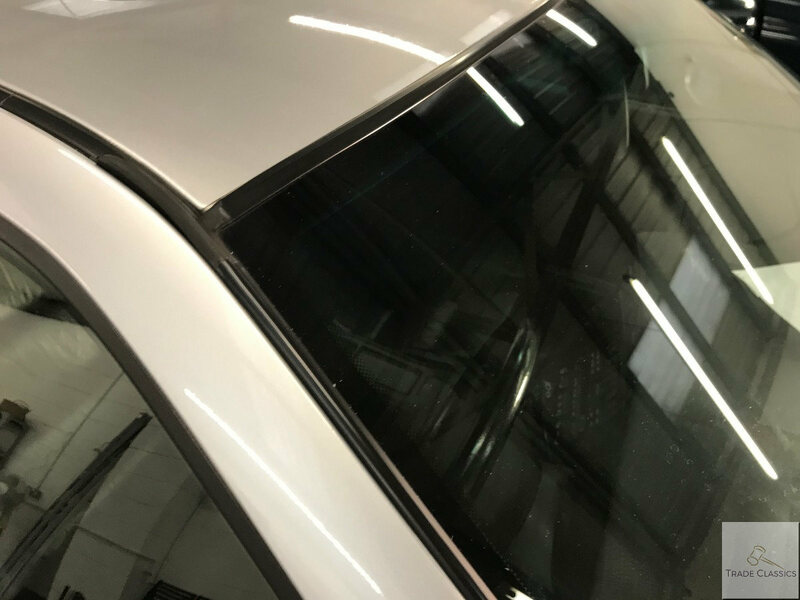 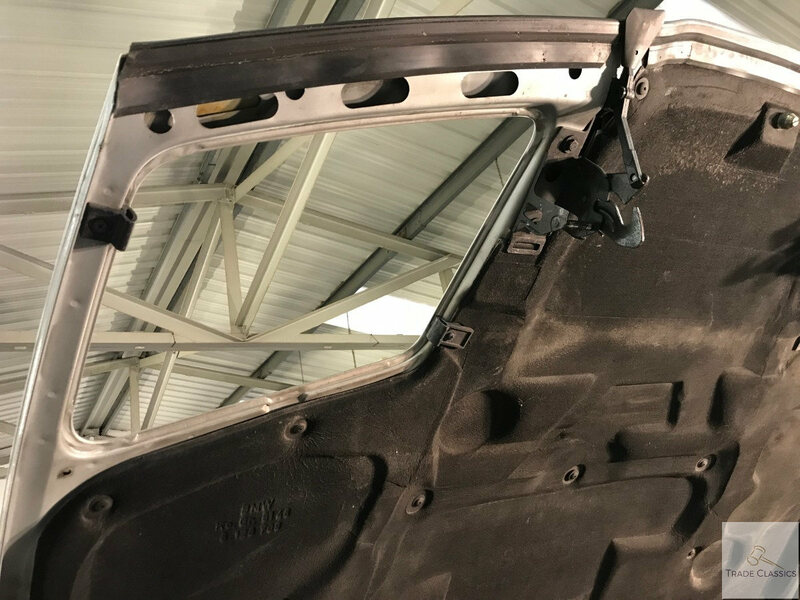 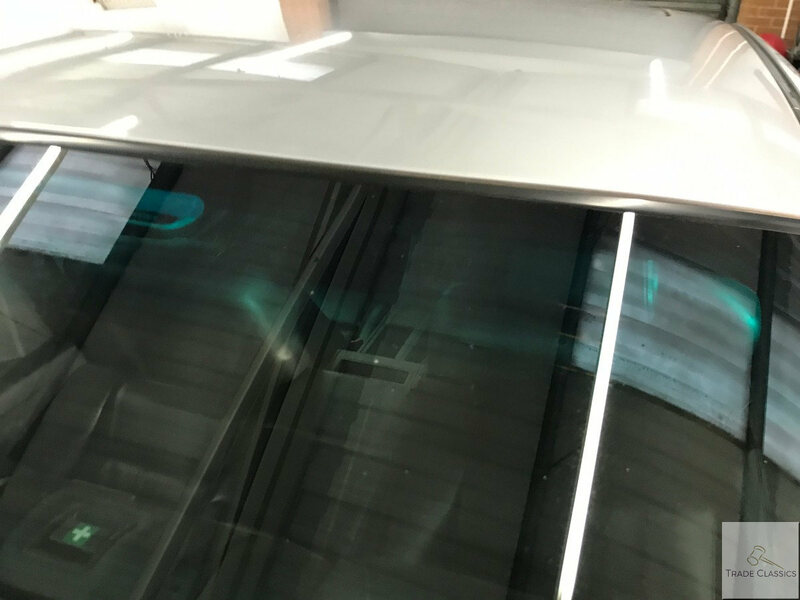 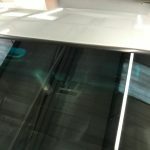 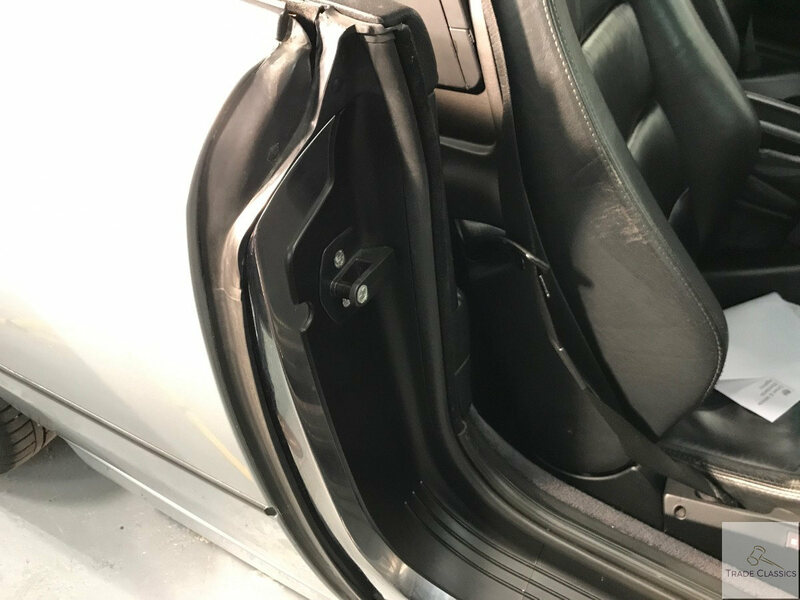 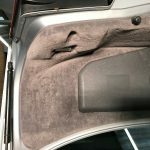 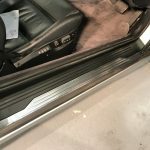 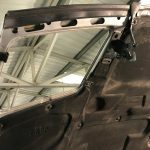 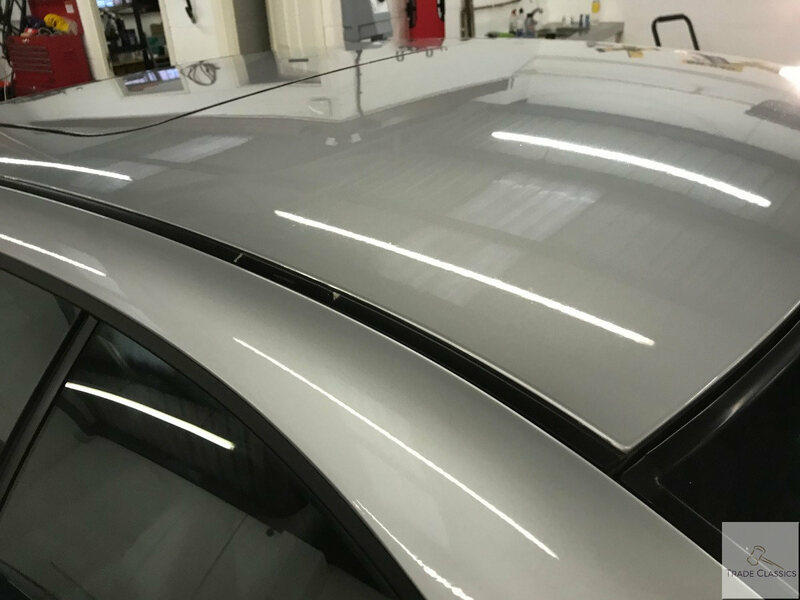 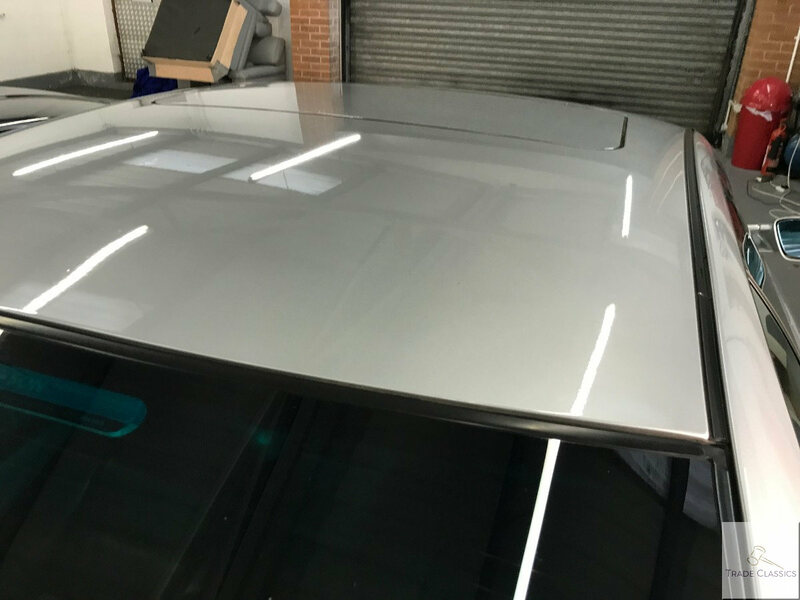 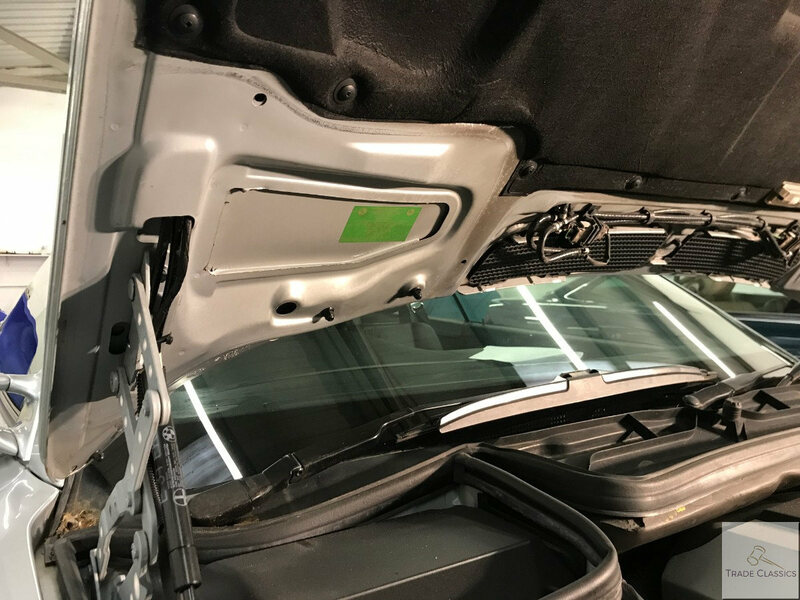 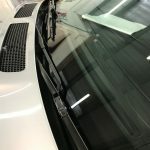 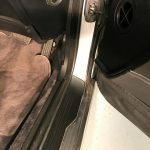 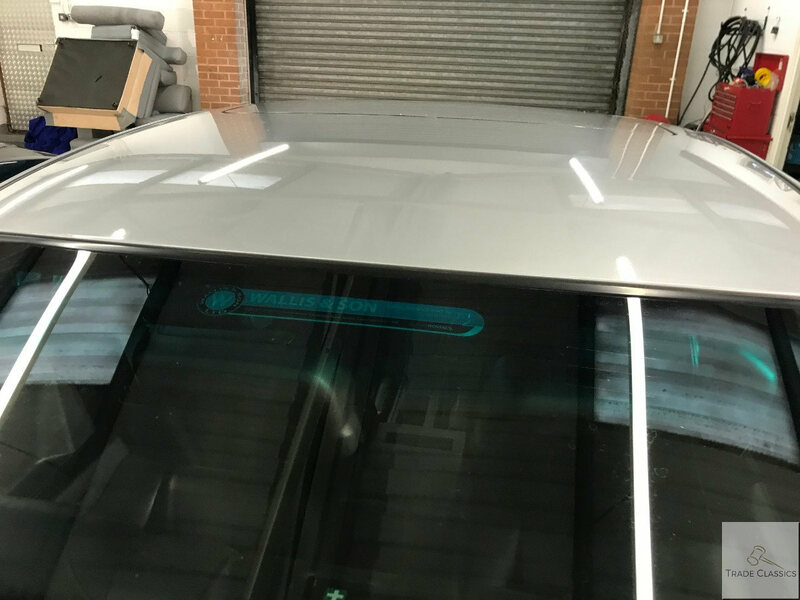 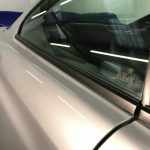 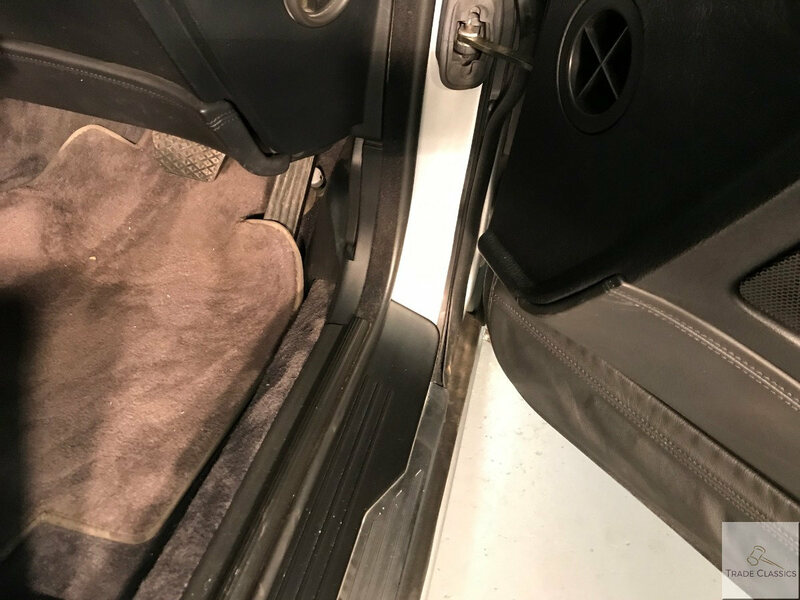 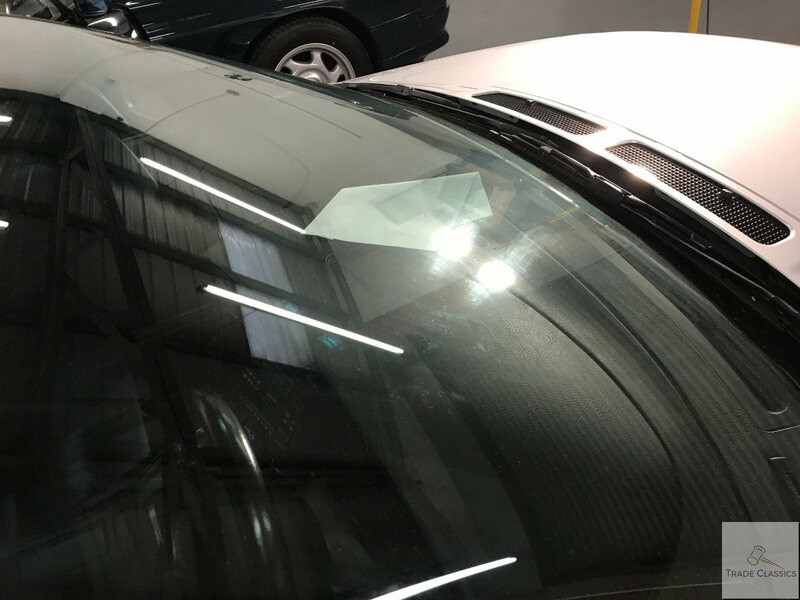 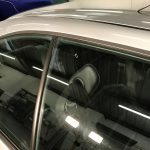 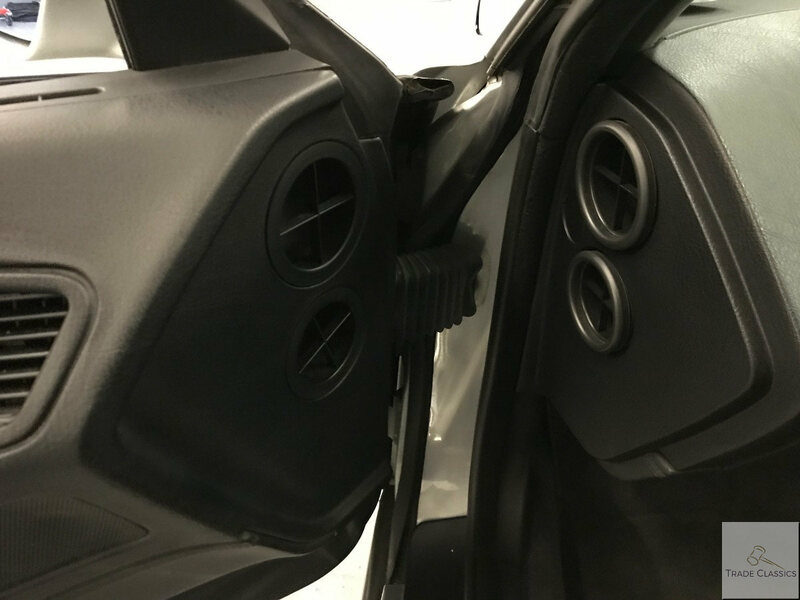 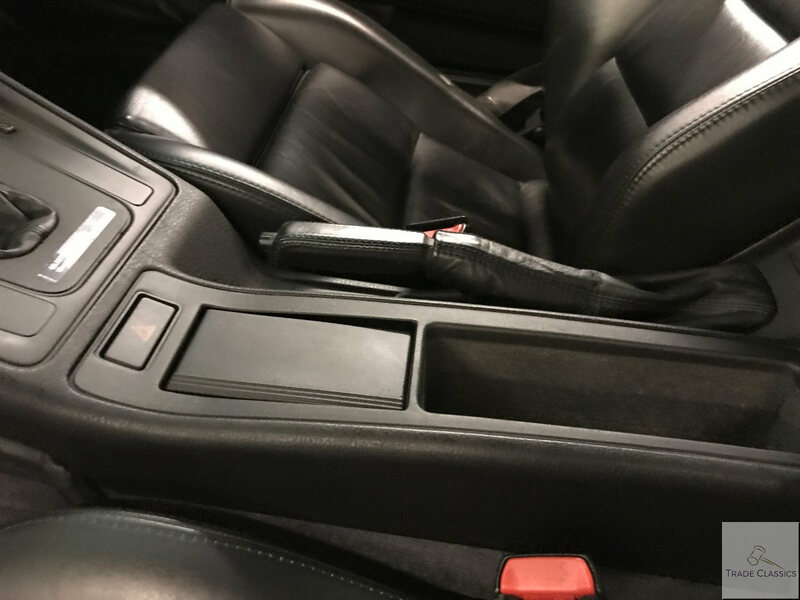 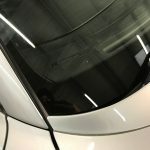 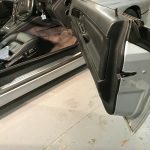 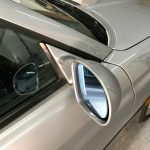 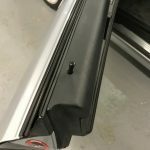 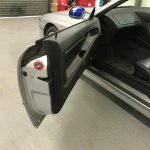 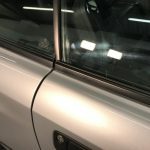 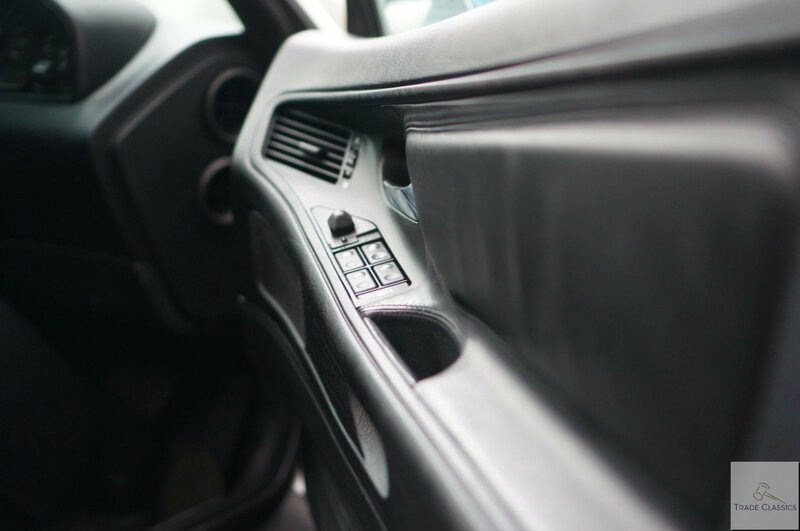 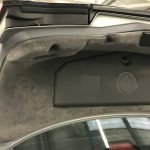 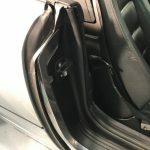 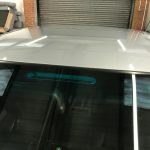 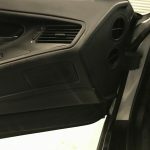 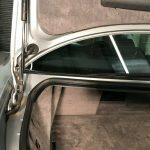 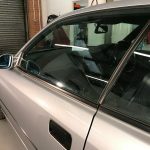 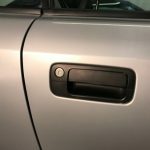 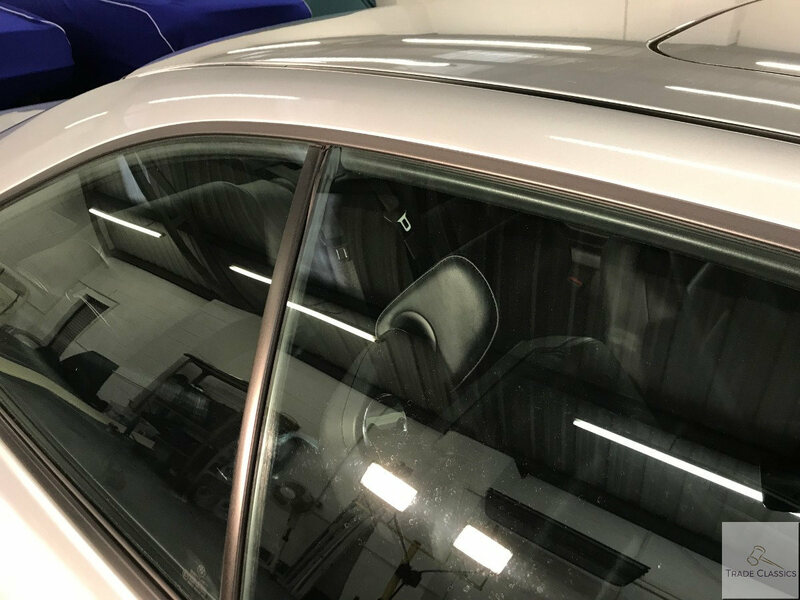 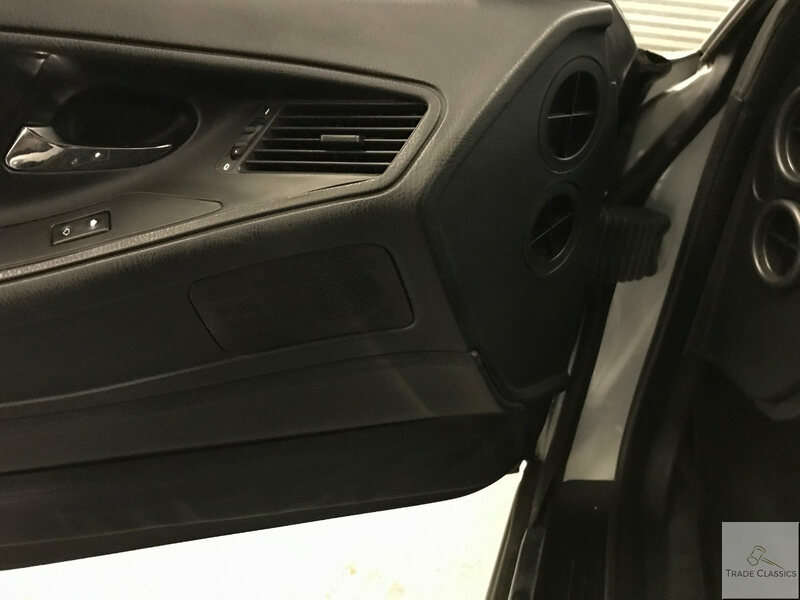 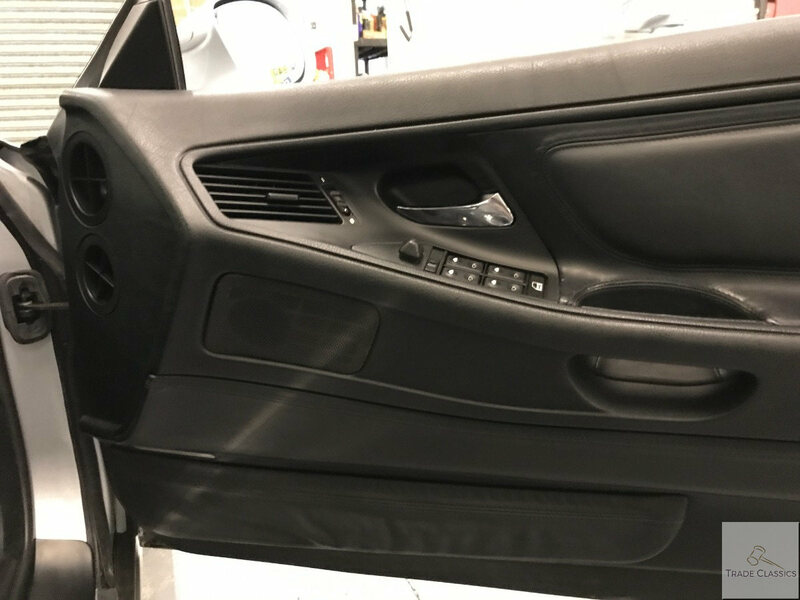 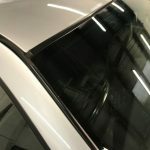 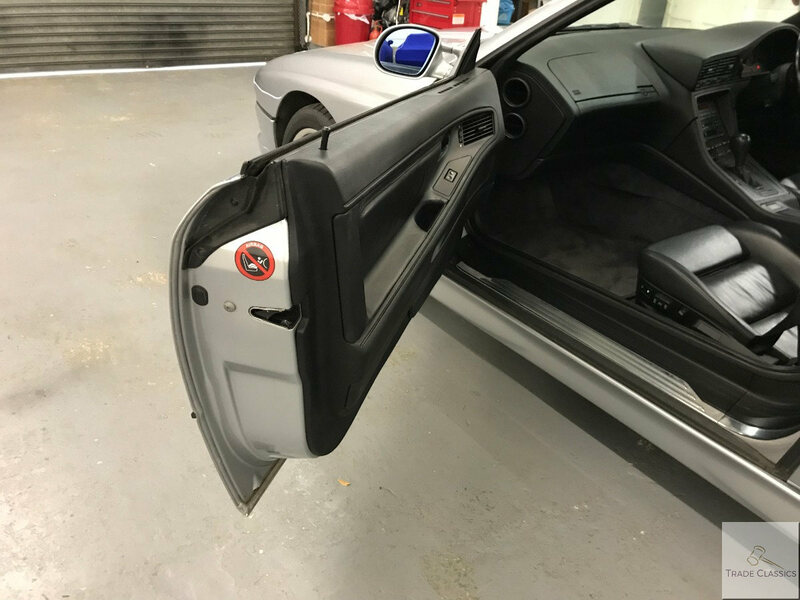 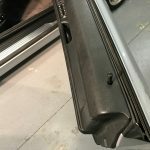 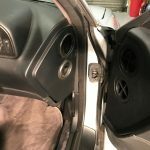 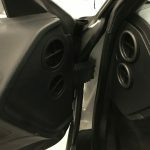 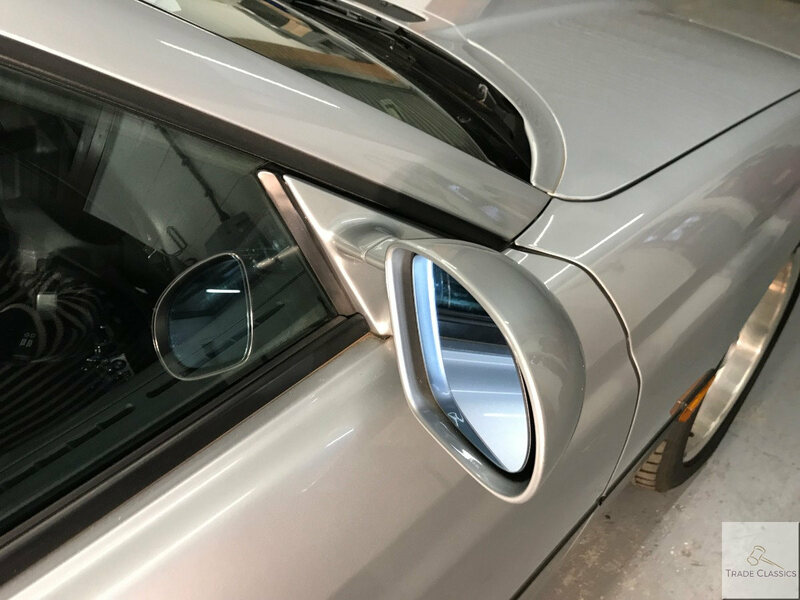 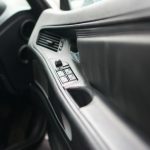 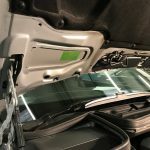 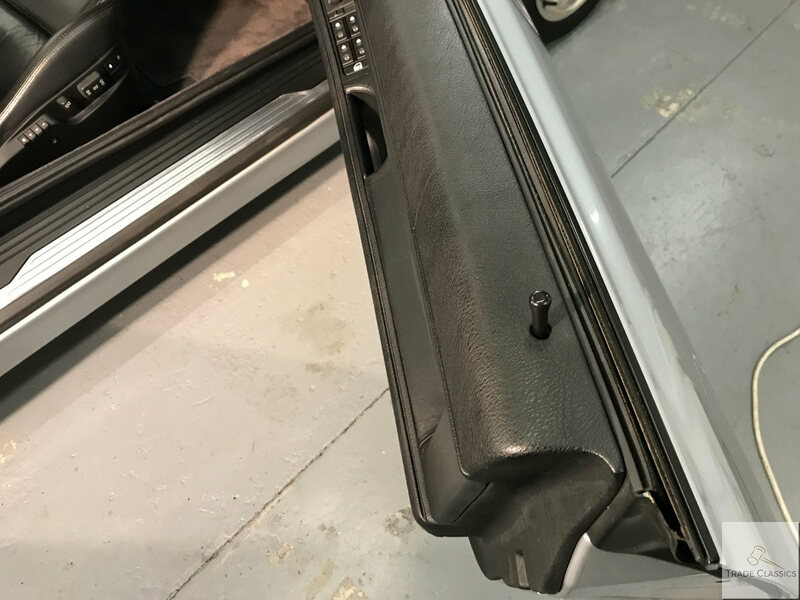 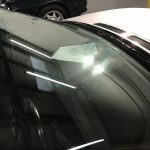 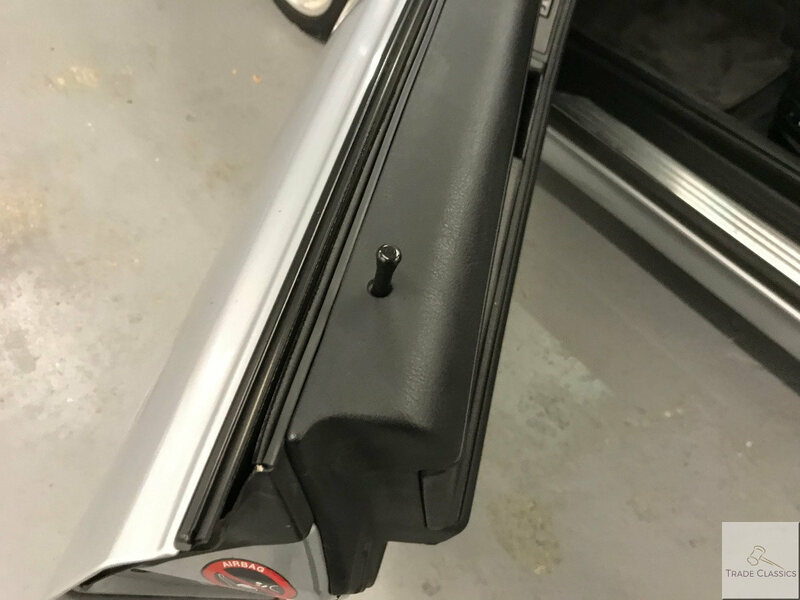 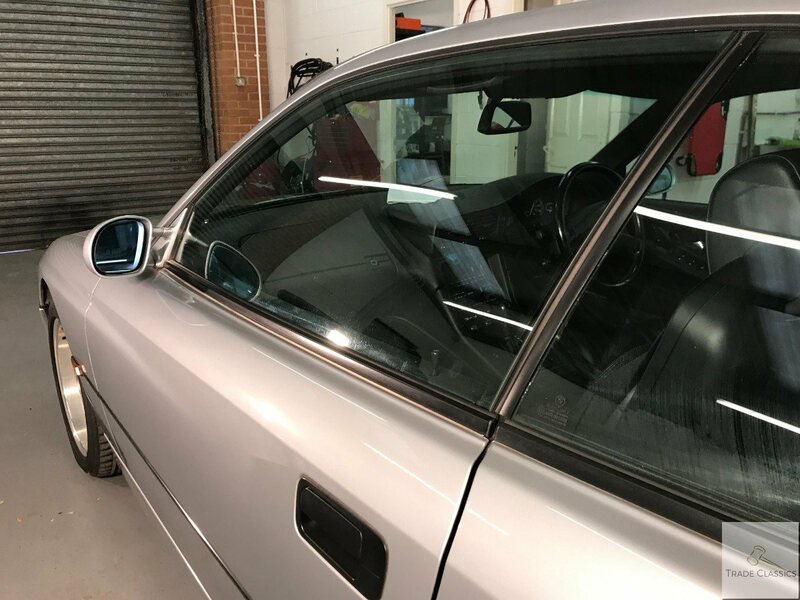 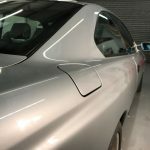 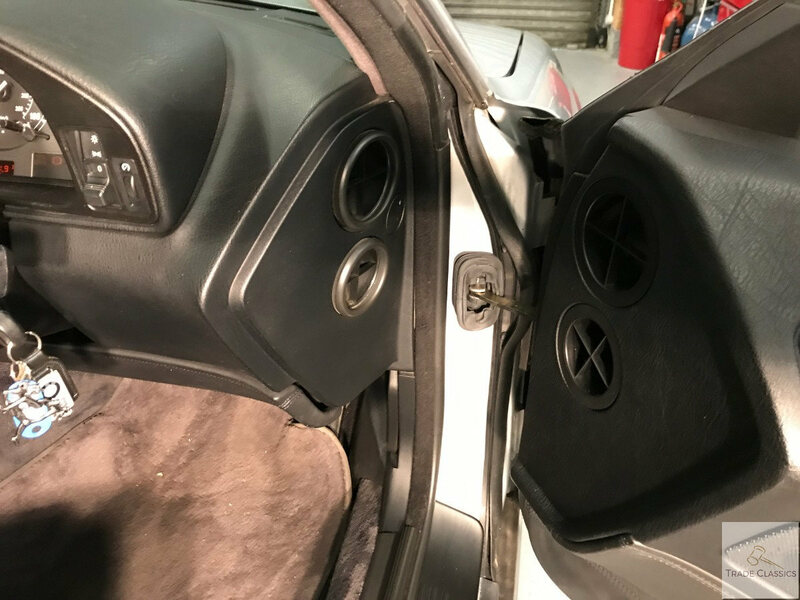 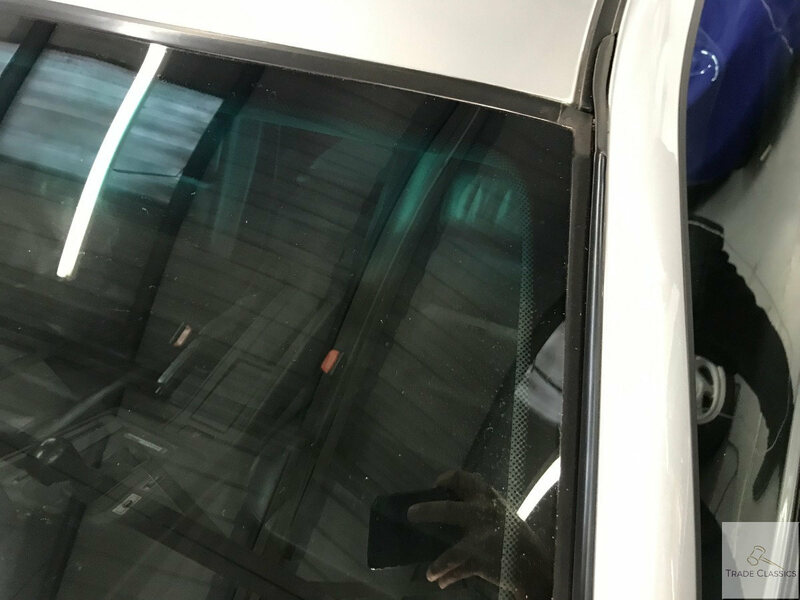 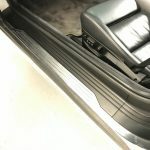 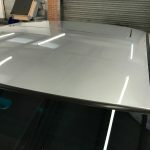 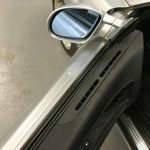 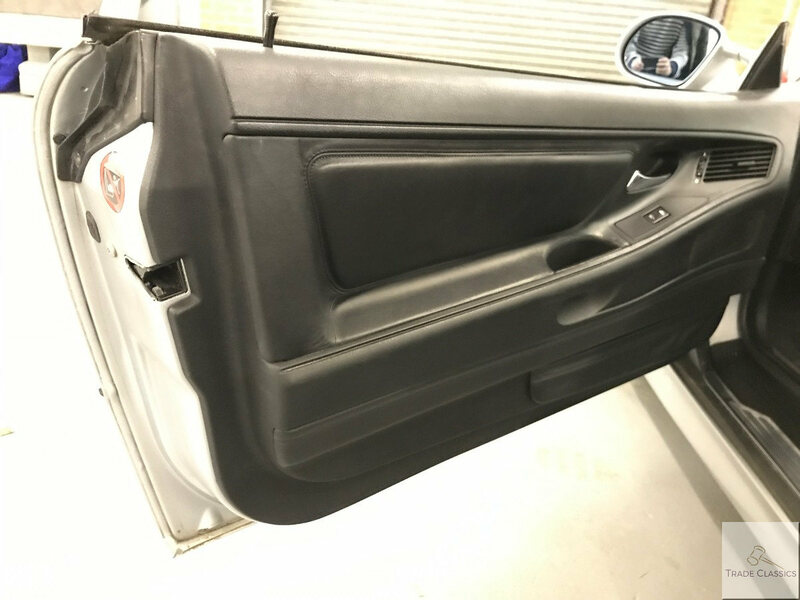 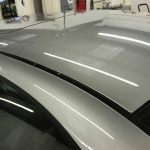 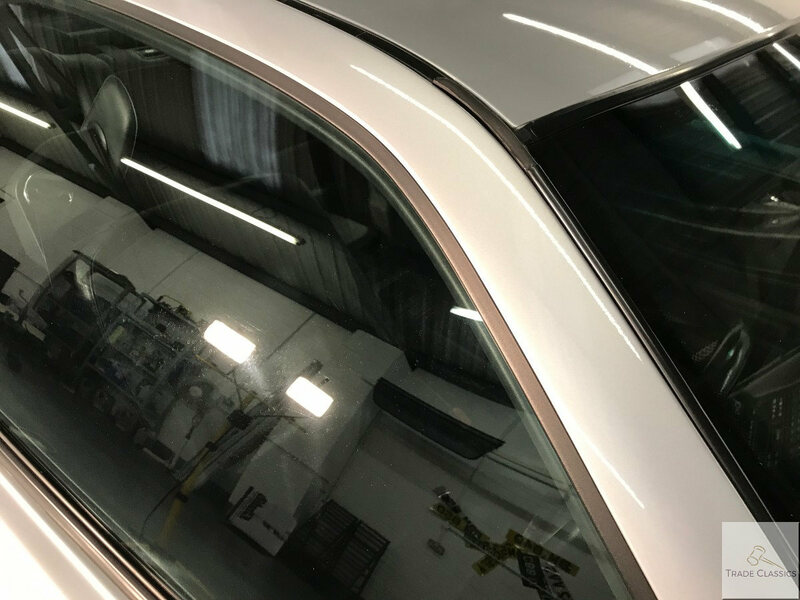 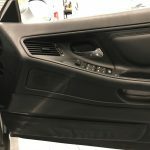 The glass and trim across the car generally present in very good condition. 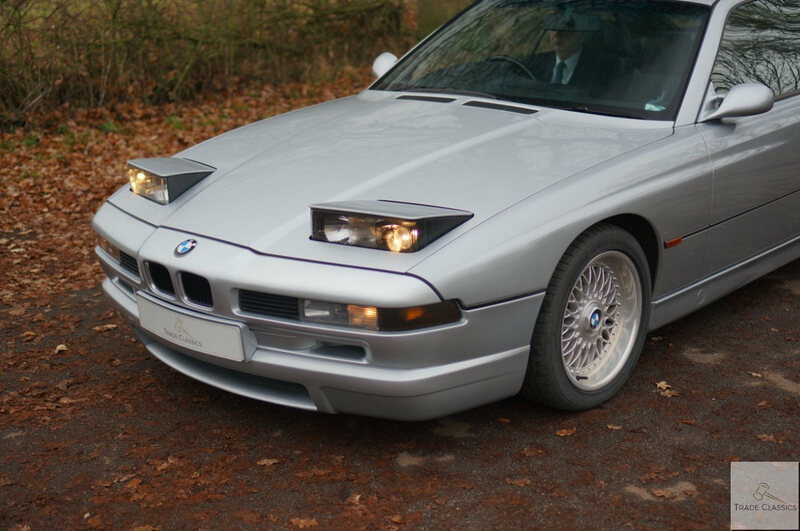 This is a car that has clearly been kept out of the elements for the majority of its life. 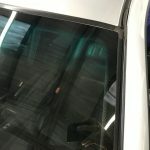 The laminate on the glass has bubbled on some corners, this can be seen in the video review. 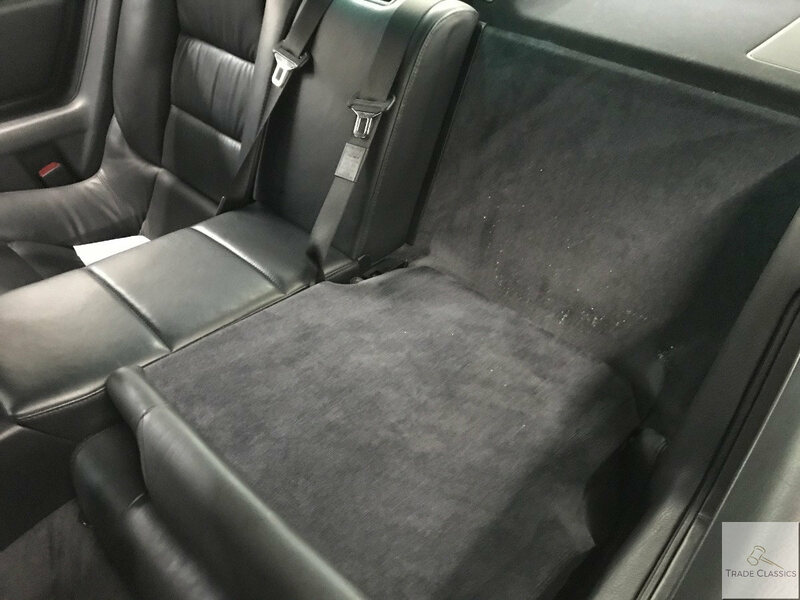 Finished in black throughout, the leather and carpet in the interior presents itself very well. 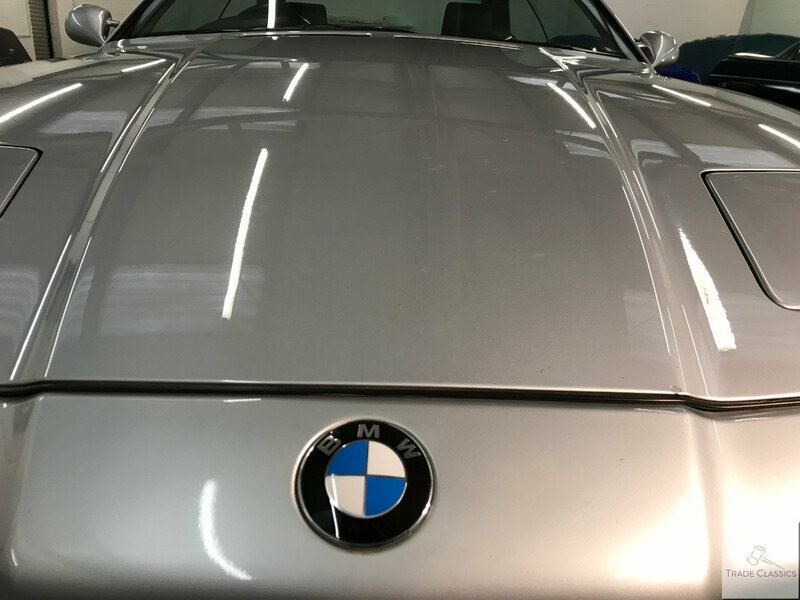 This era of BMW, the plastic can often go very shiny over time with use, but the car has clearly been kept very clean and looks great. 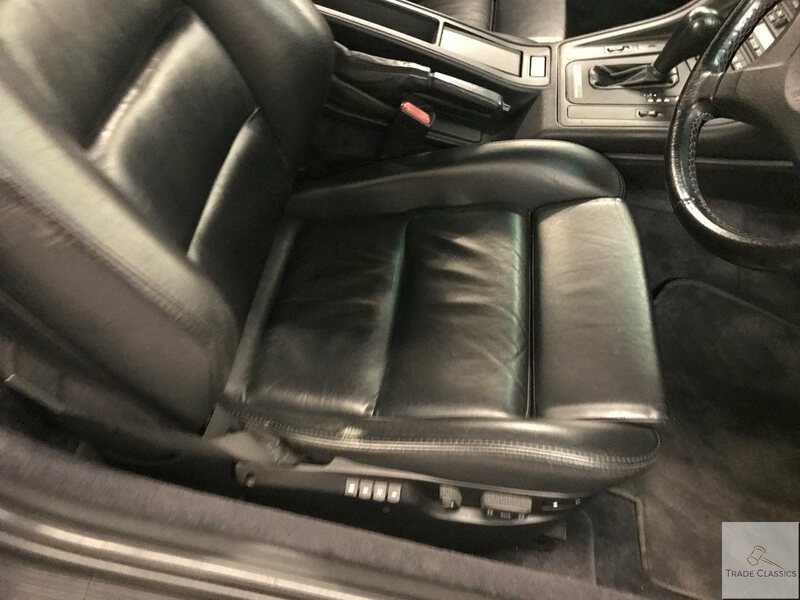 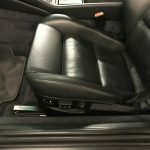 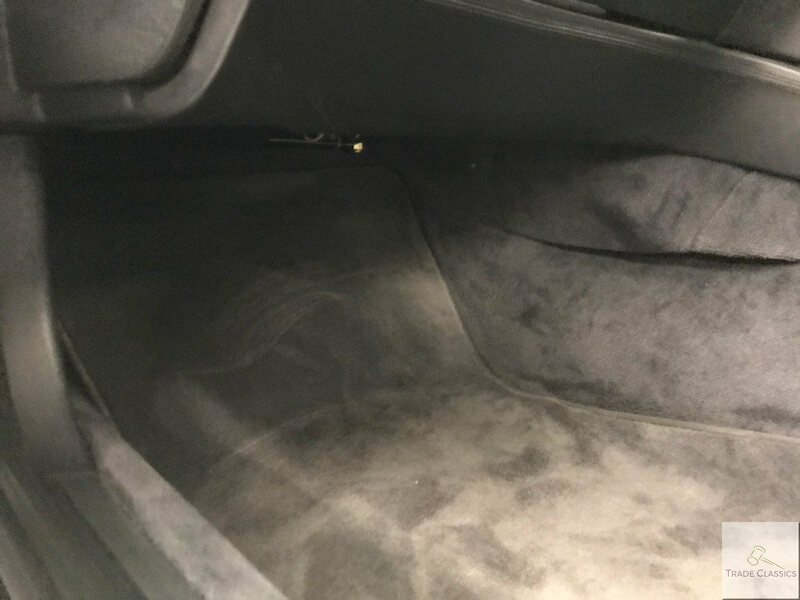 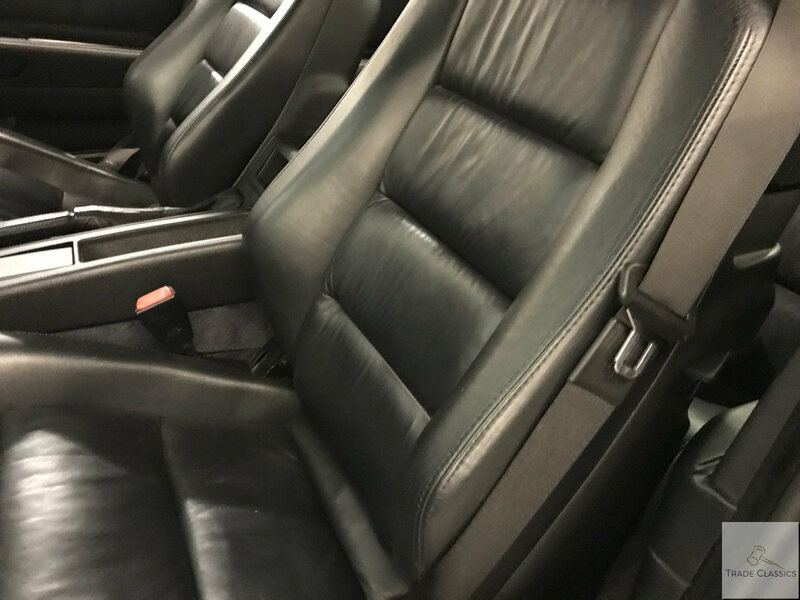 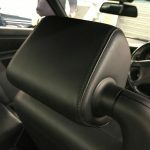 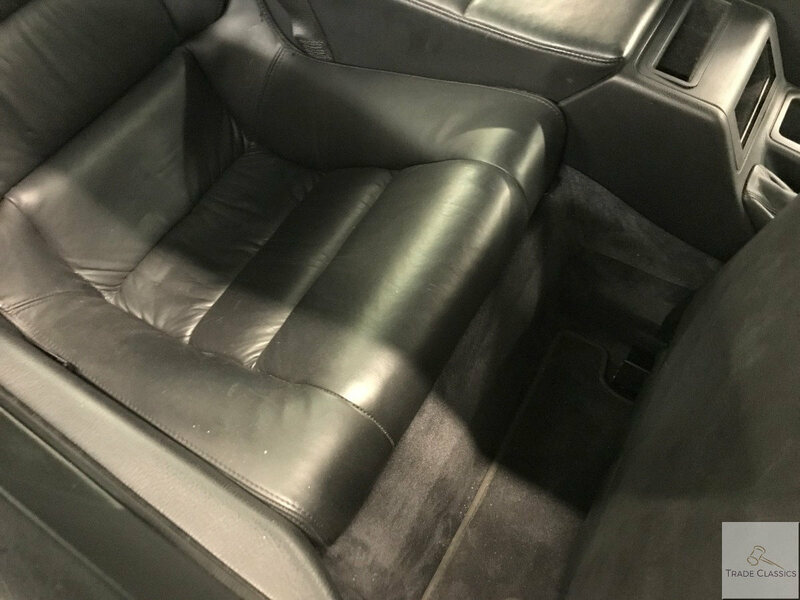 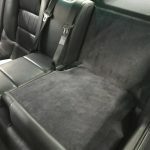 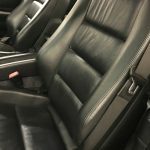 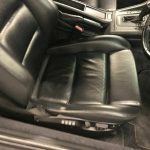 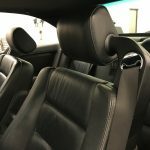 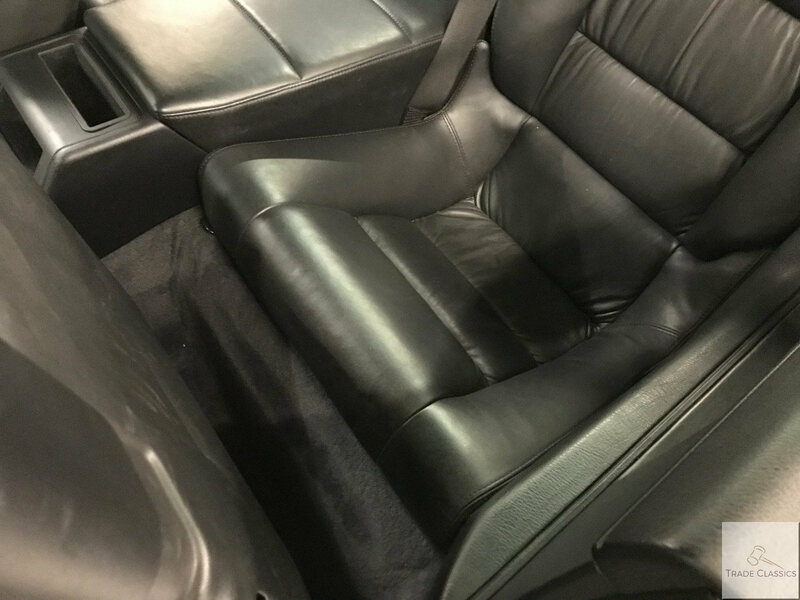 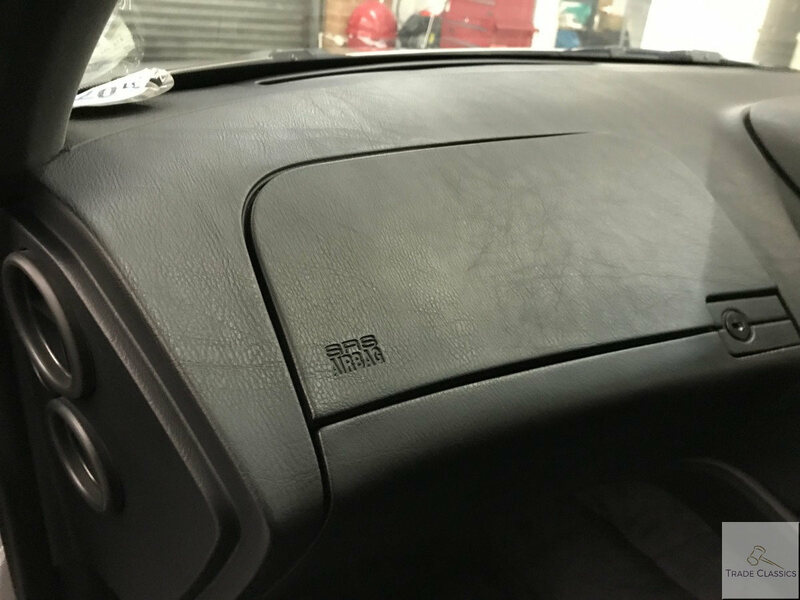 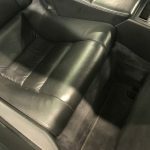 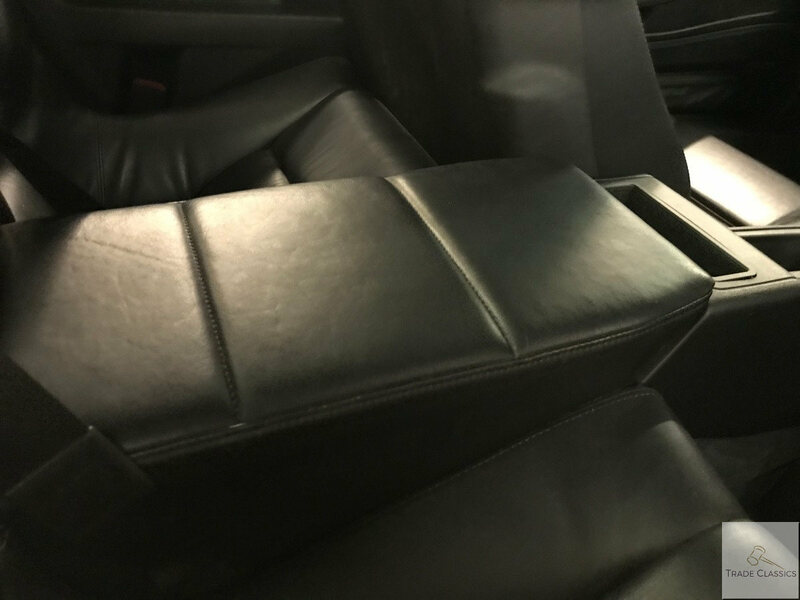 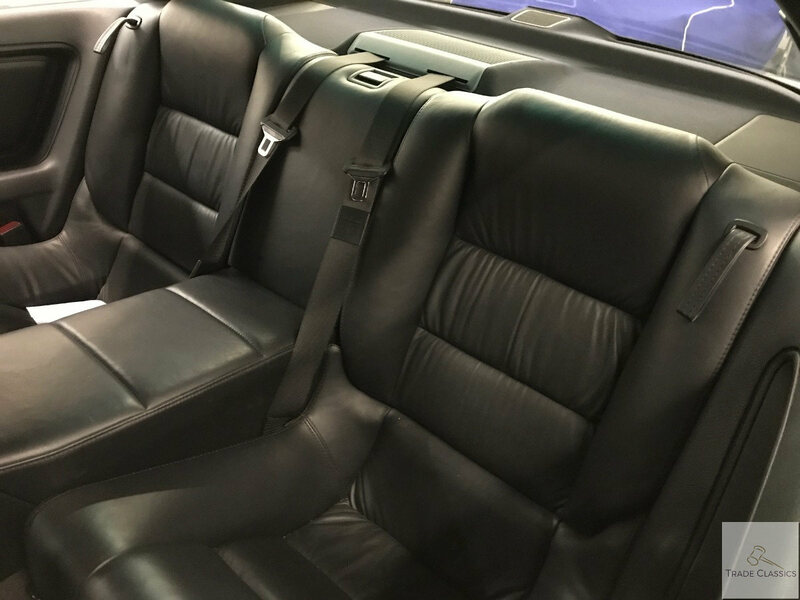 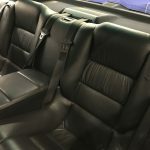 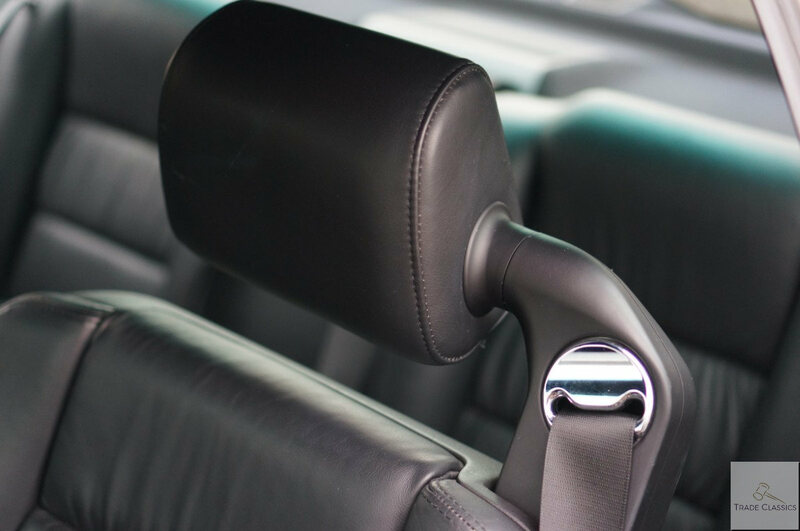 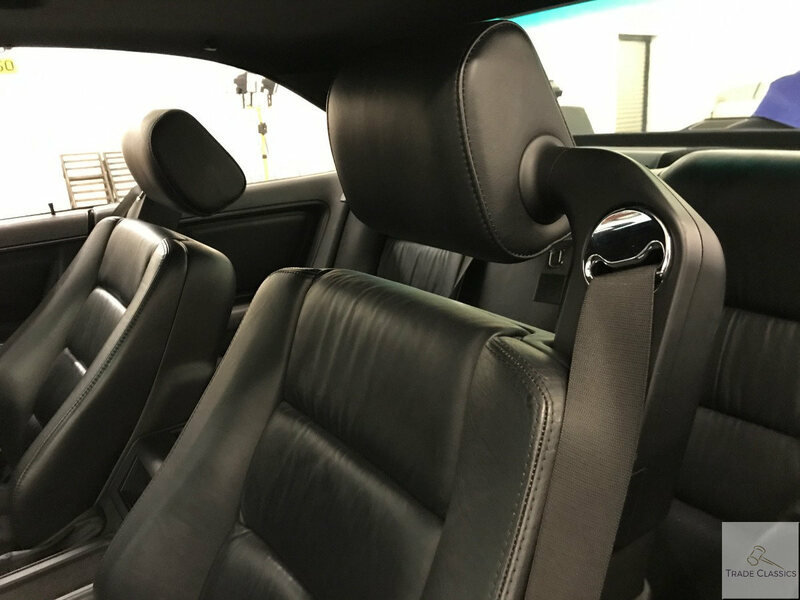 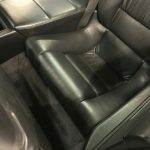 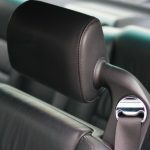 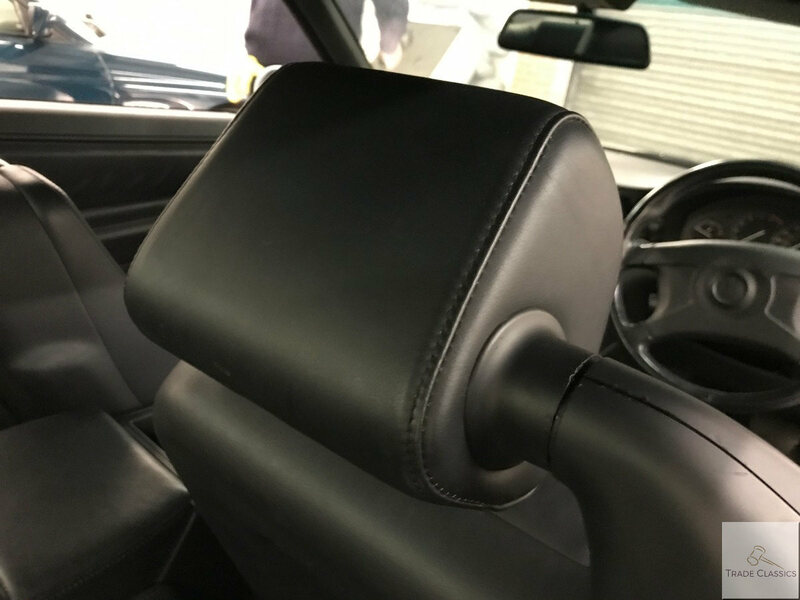 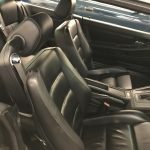 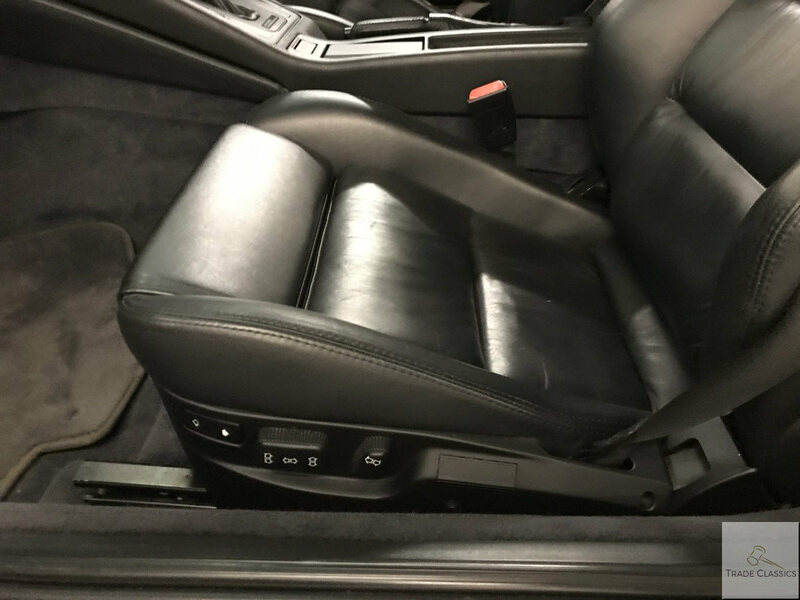 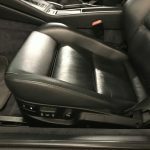 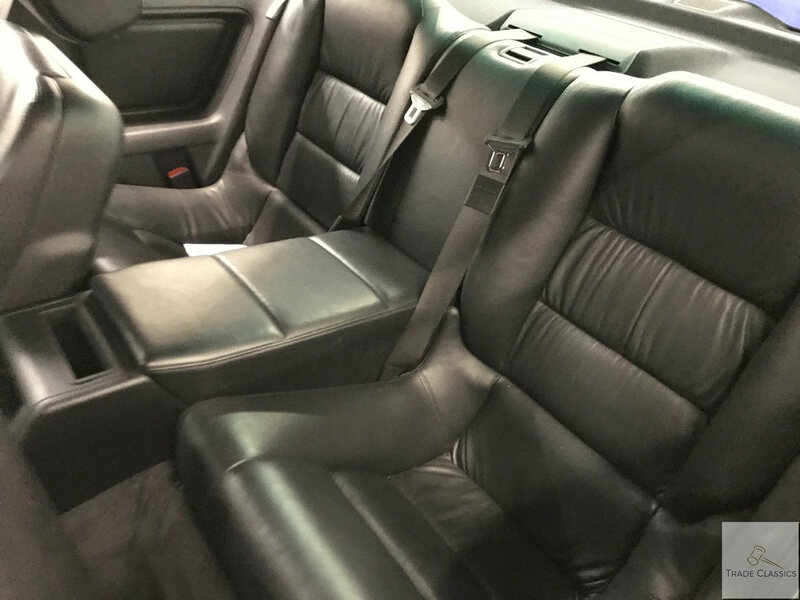 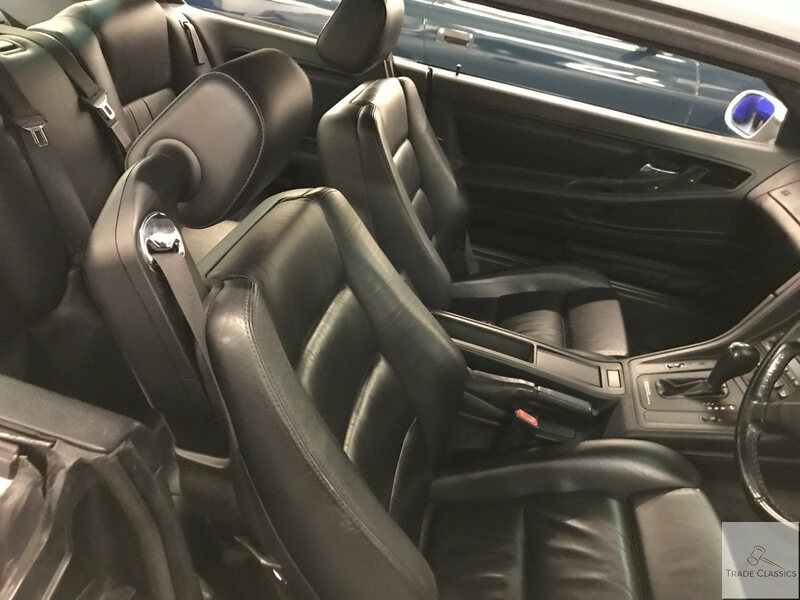 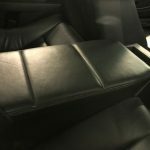 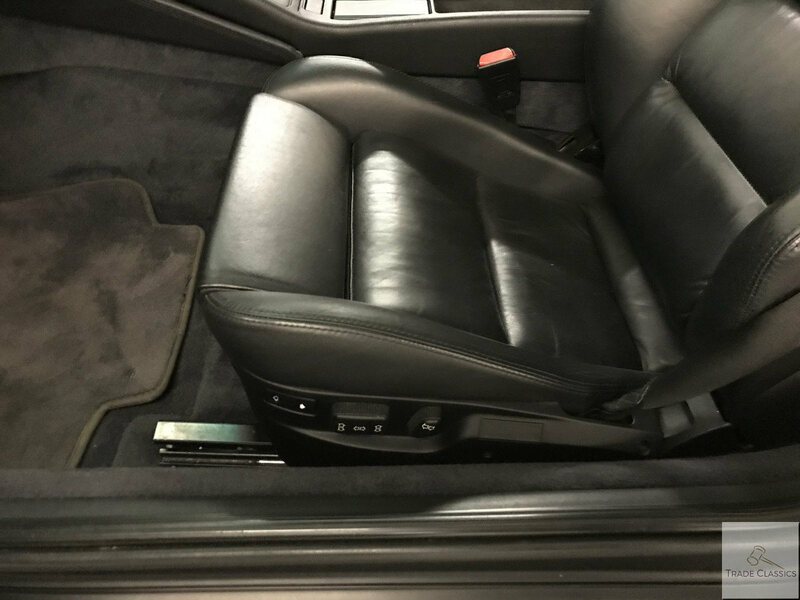 The leather seats are in very good condition, little to no wear was observed. 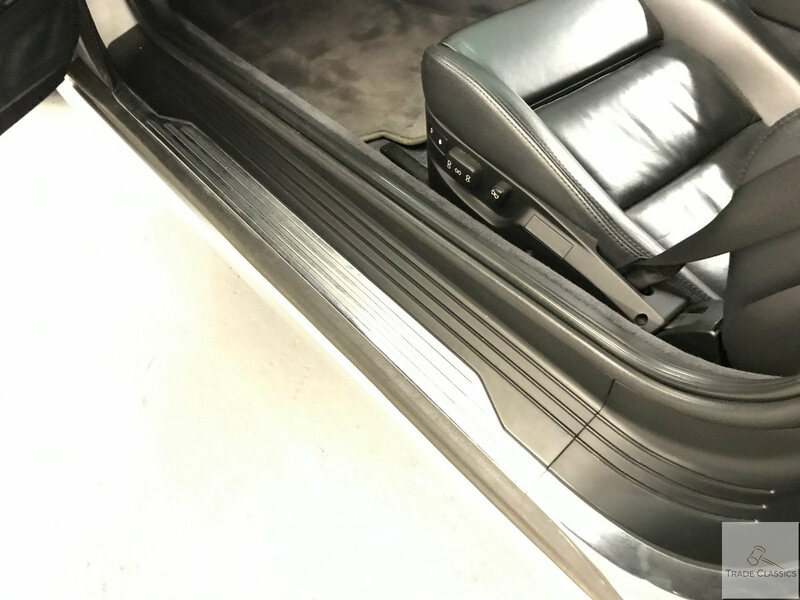 The carpets also look good throughout. 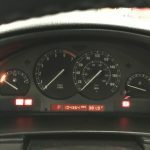 All the gauges and lights work as they should do, as observed in the “on the road” video. 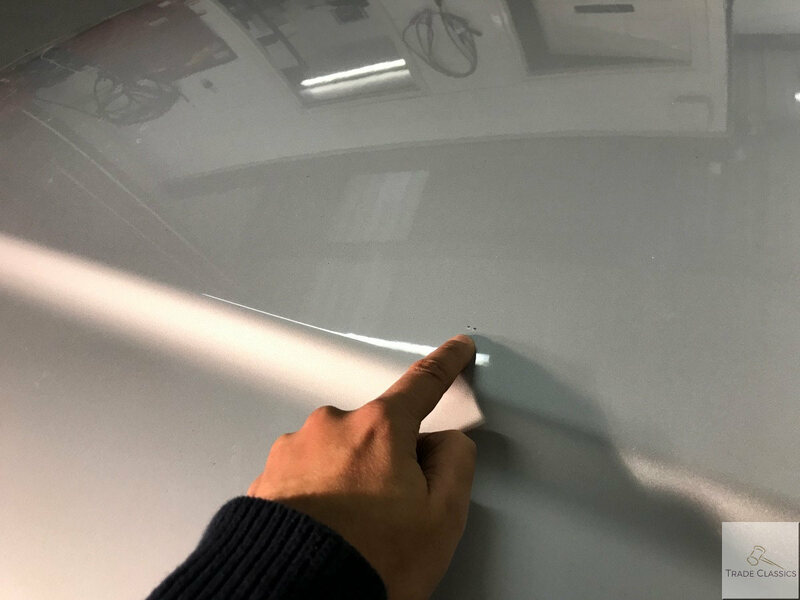 No marks or discolouration was observed, take a look at the video review to see for yourself. 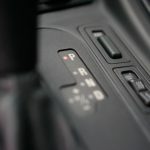 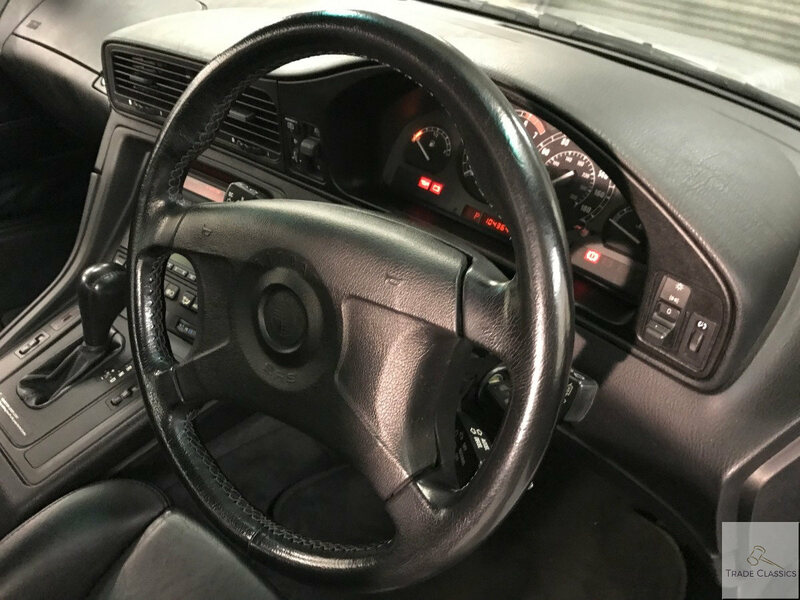 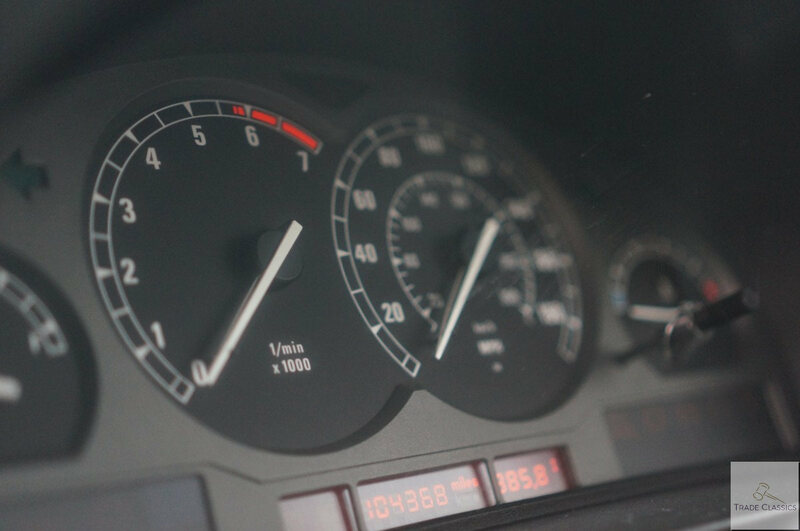 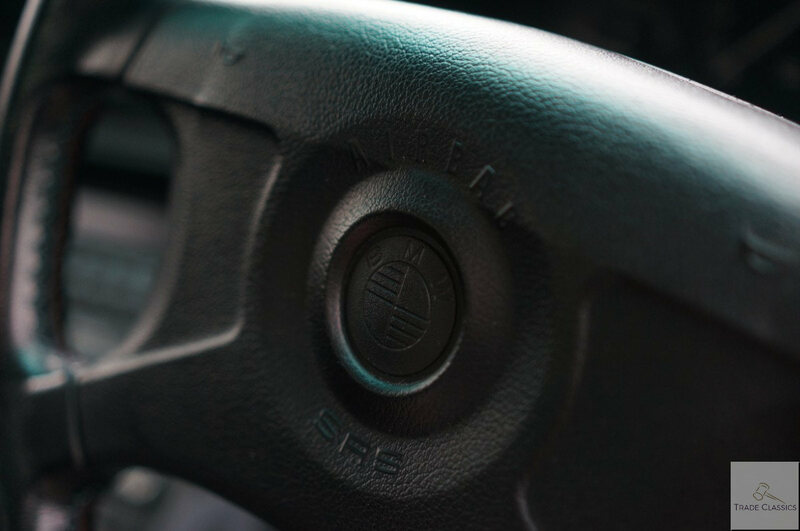 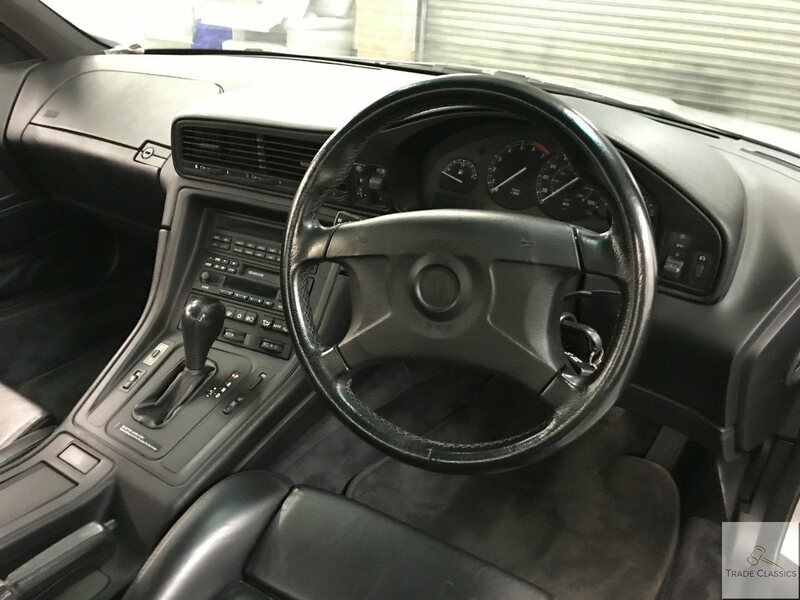 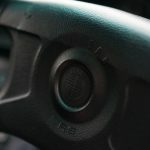 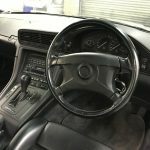 For a car with this mileage, both the steering wheel and gear stick present themselves in very good condition. 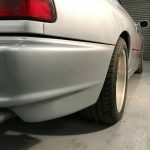 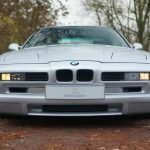 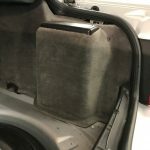 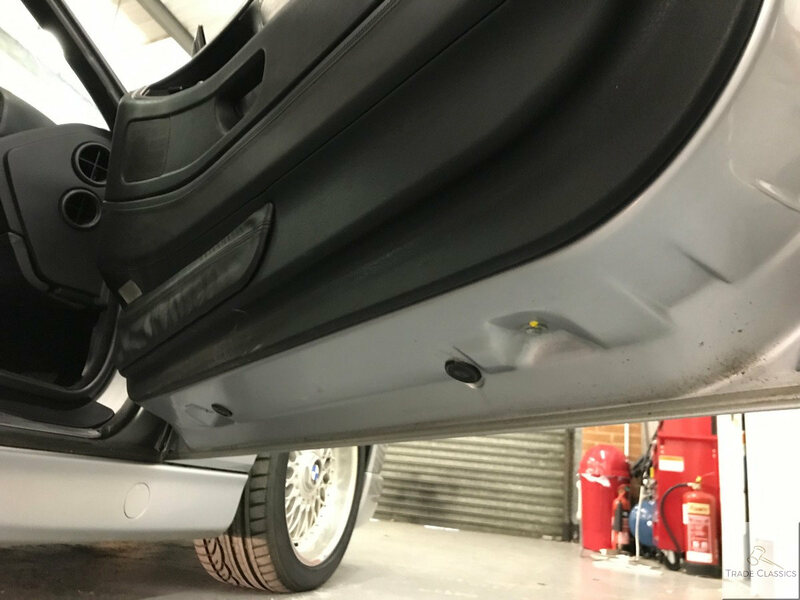 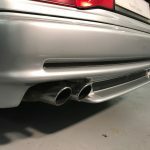 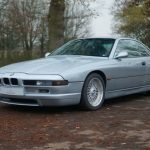 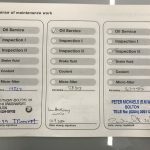 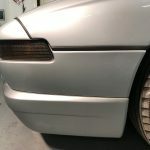 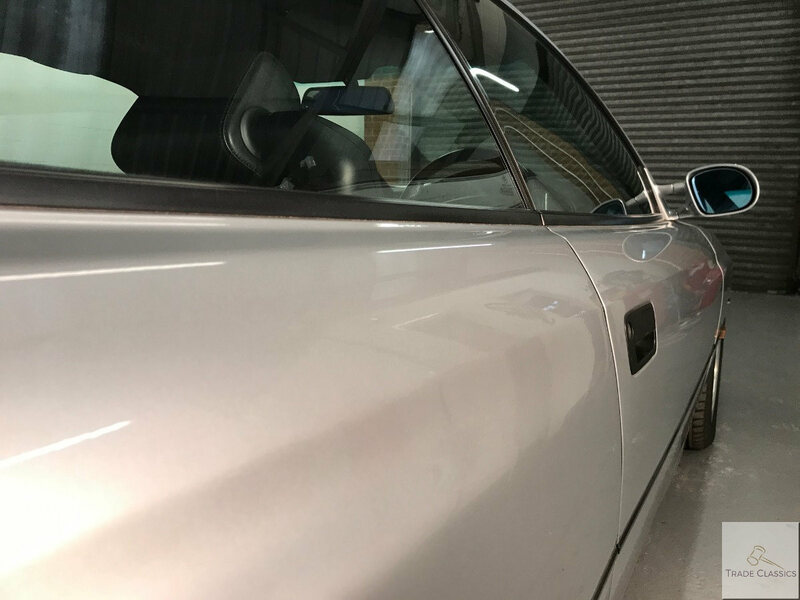 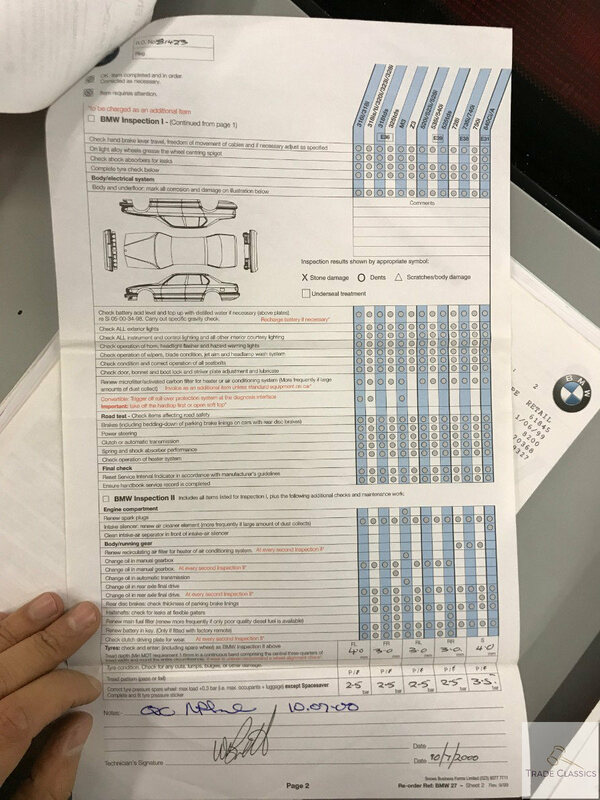 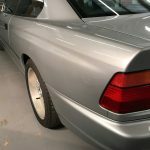 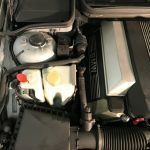 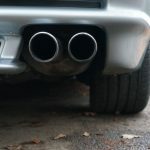 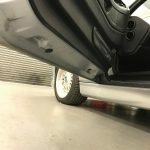 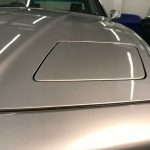 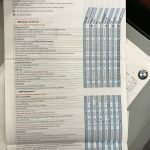 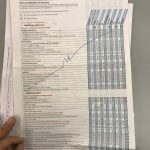 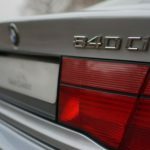 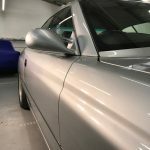 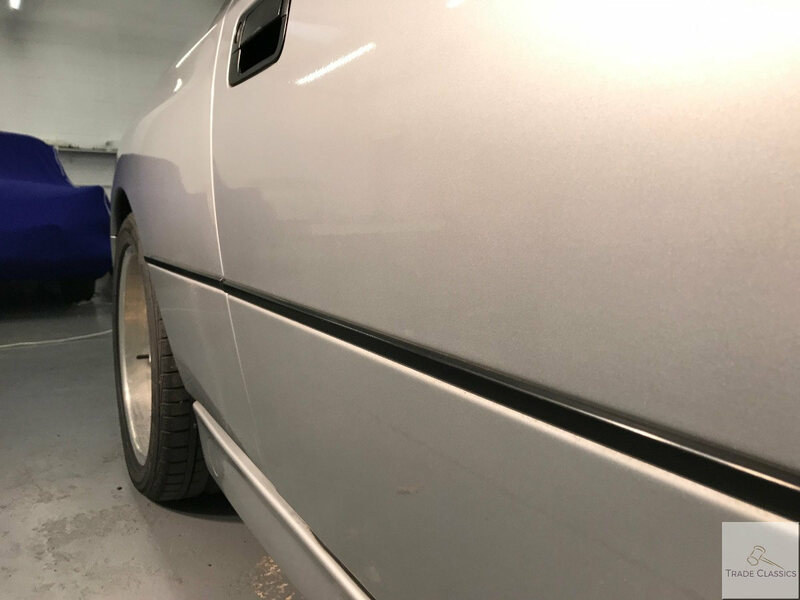 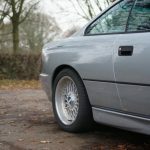 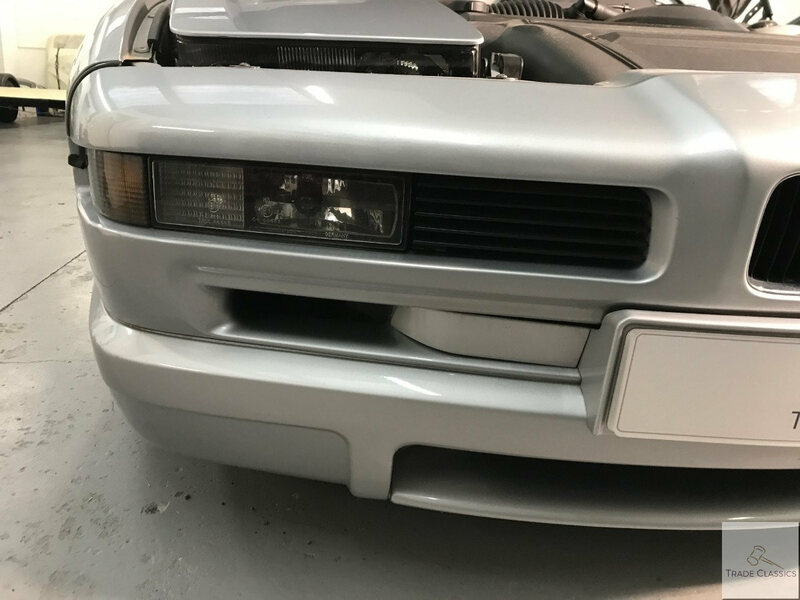 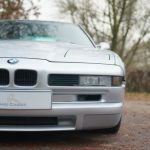 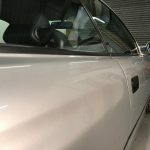 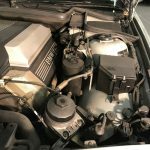 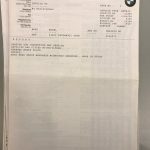 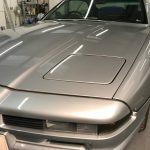 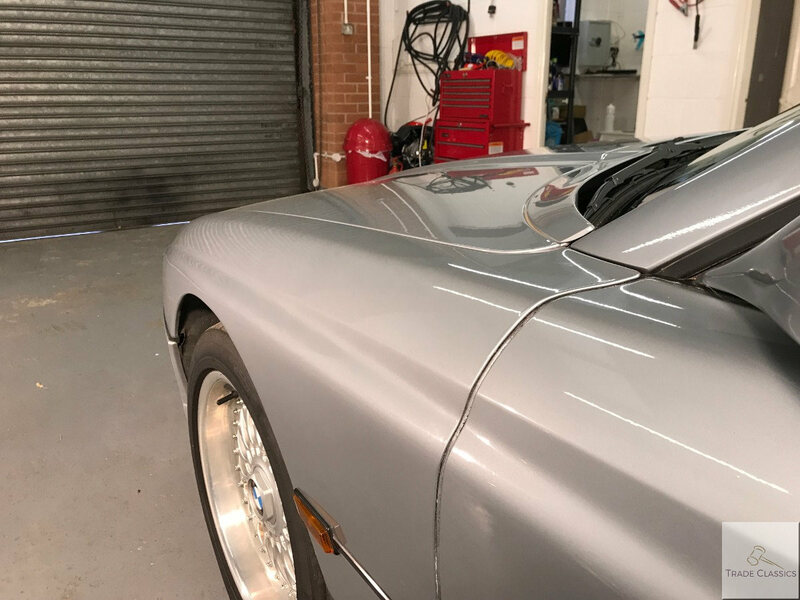 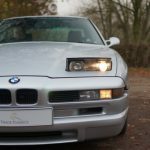 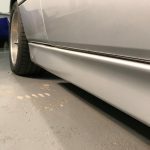 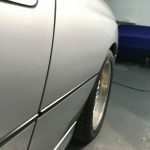 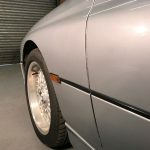 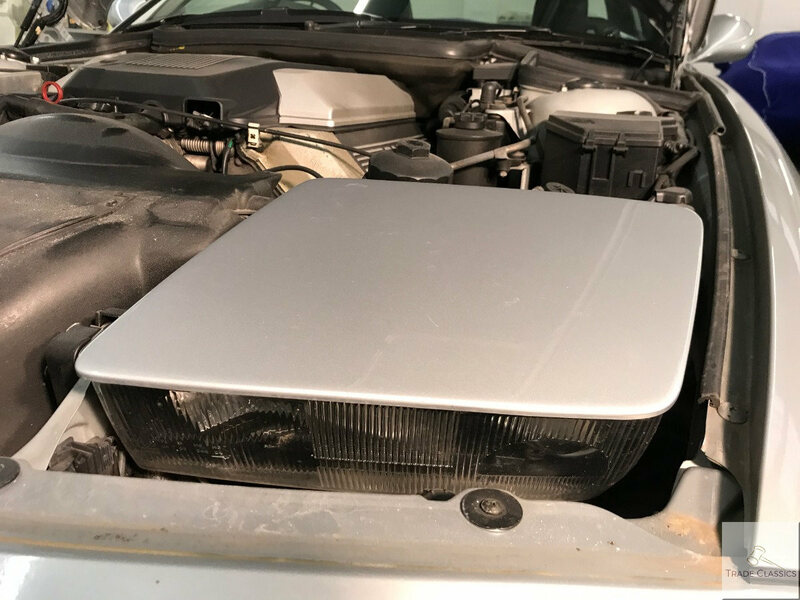 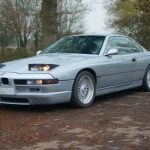 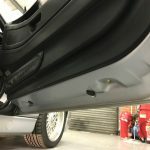 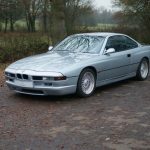 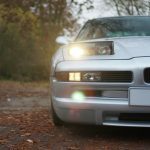 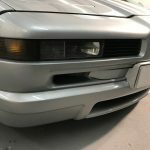 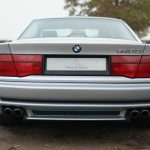 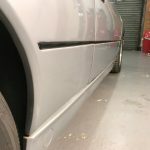 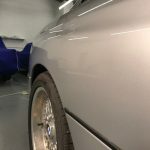 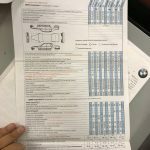 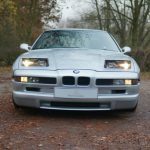 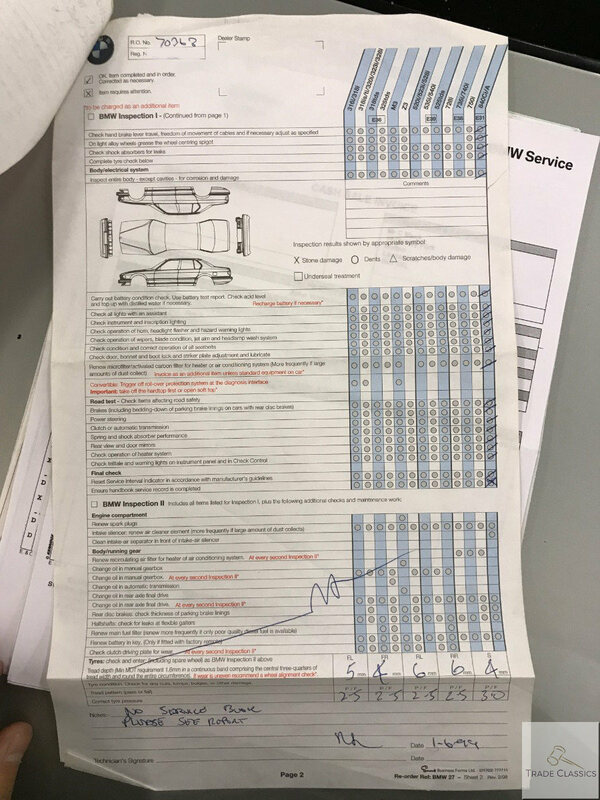 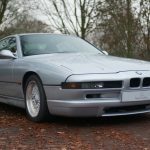 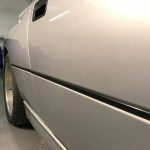 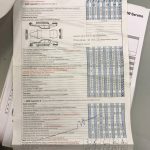 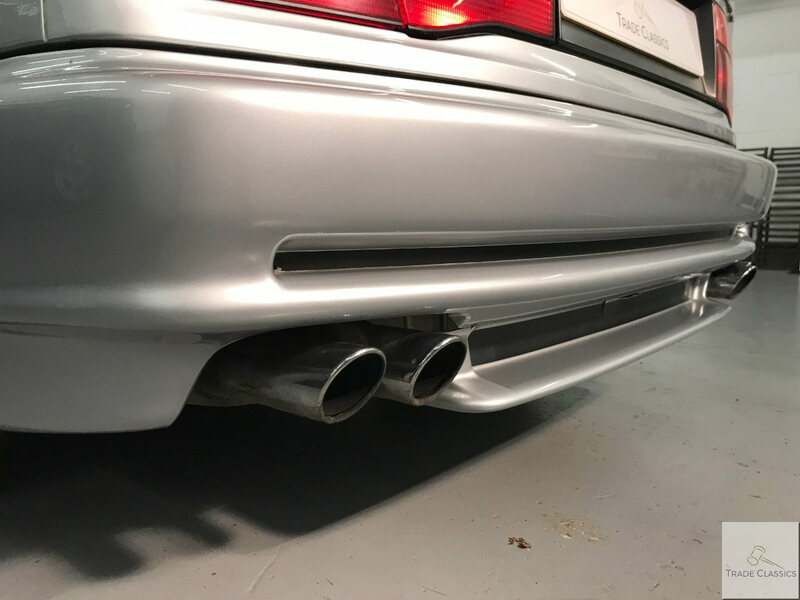 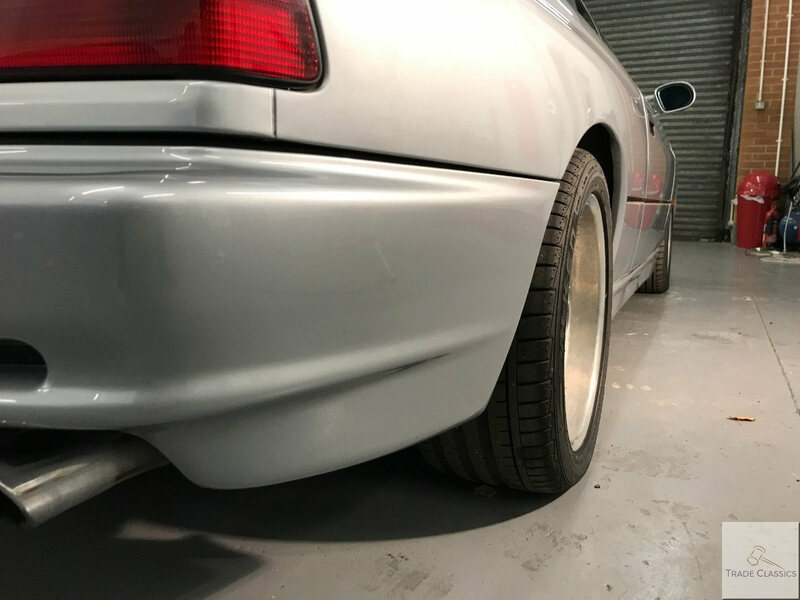 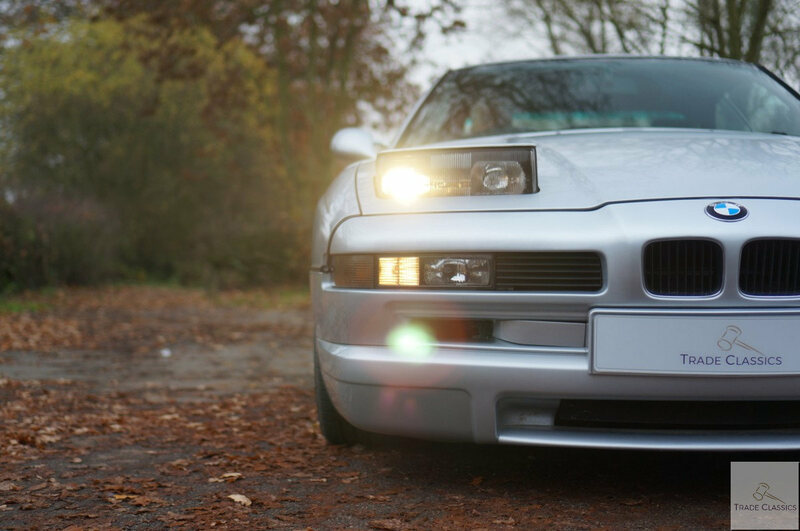 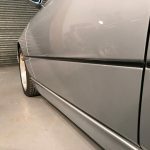 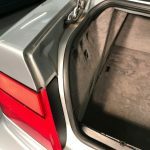 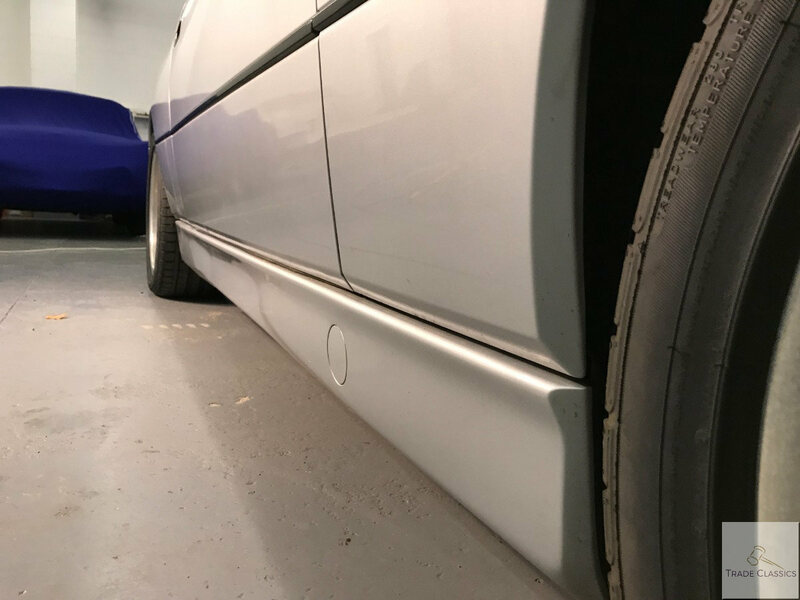 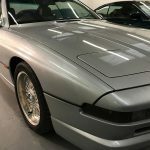 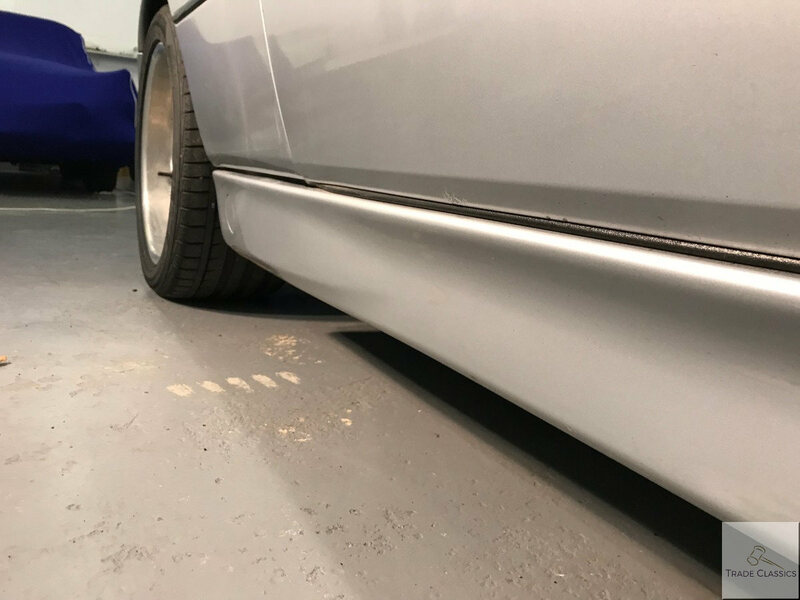 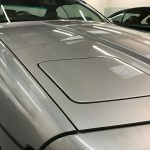 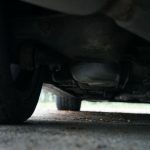 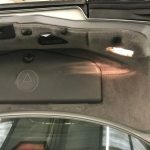 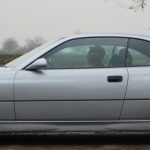 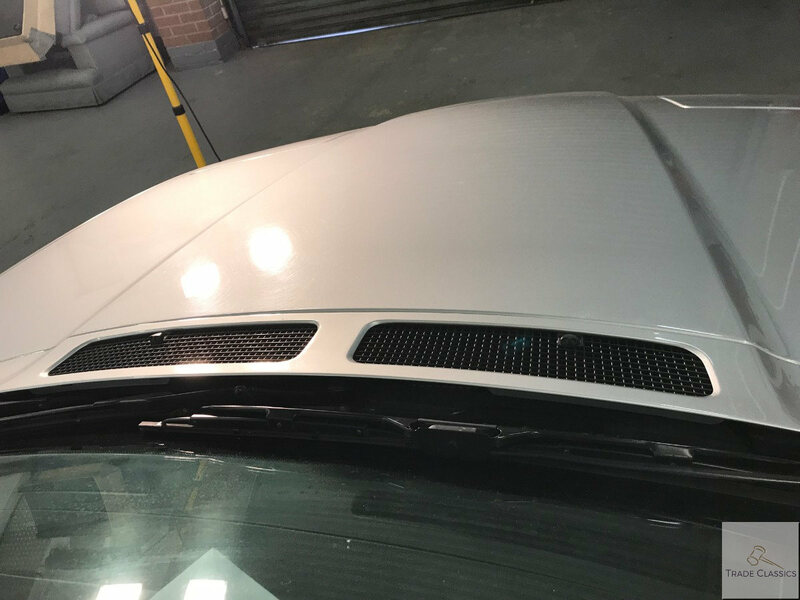 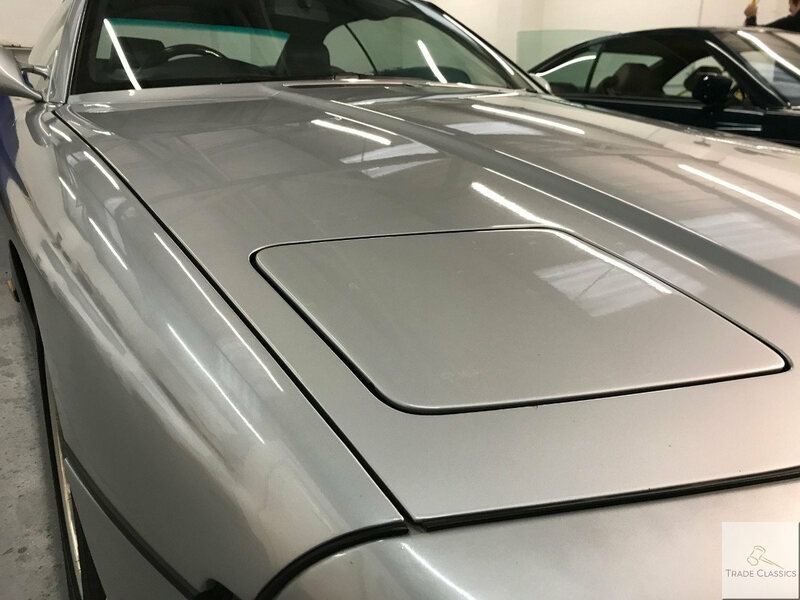 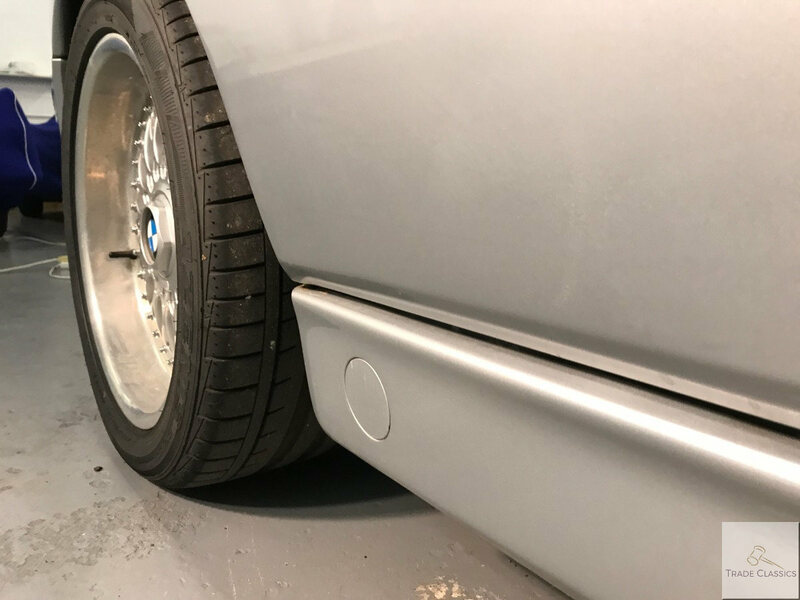 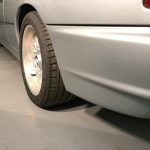 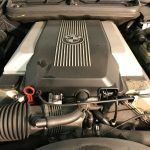 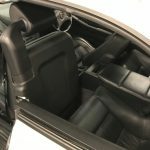 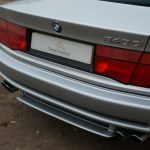 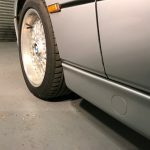 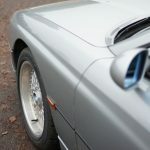 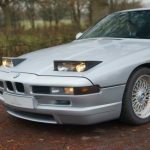 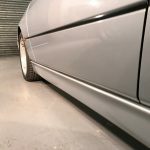 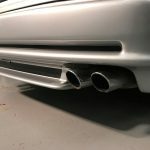 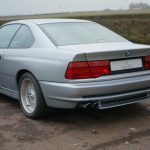 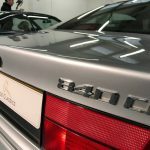 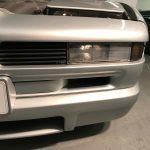 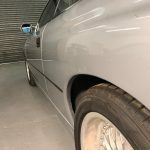 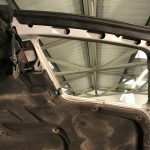 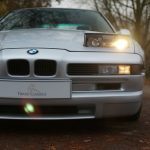 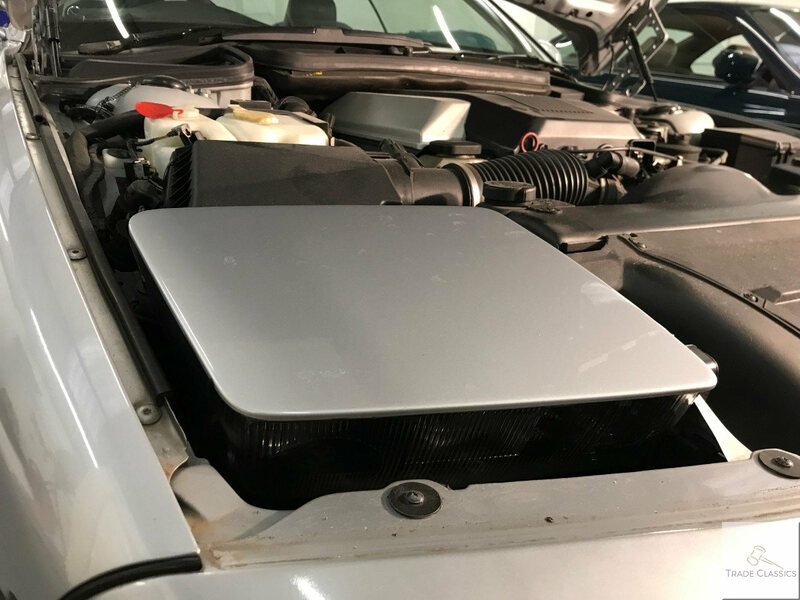 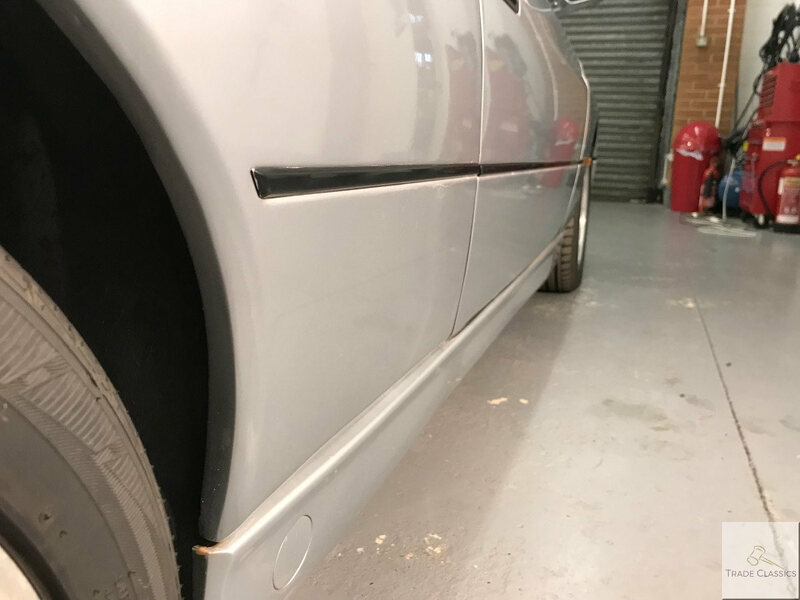 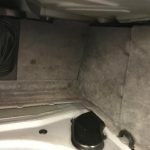 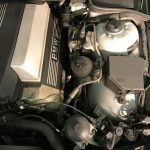 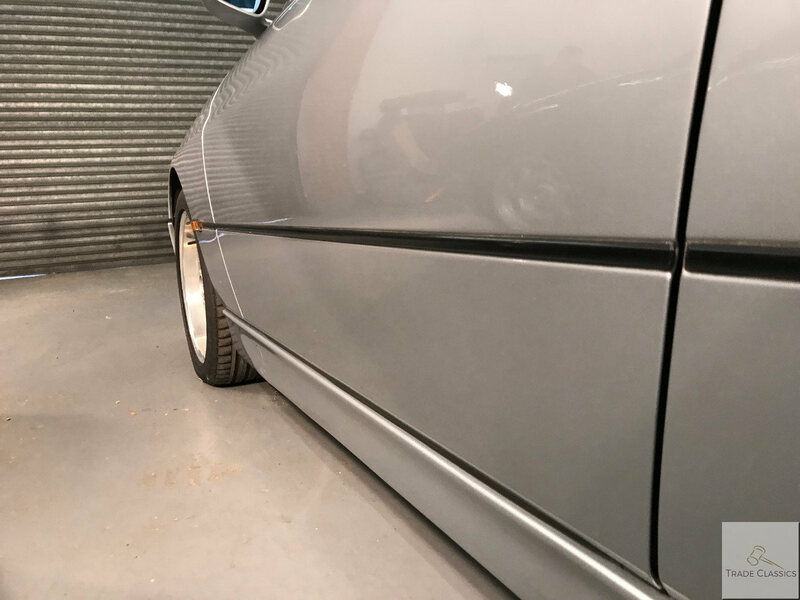 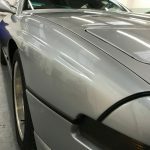 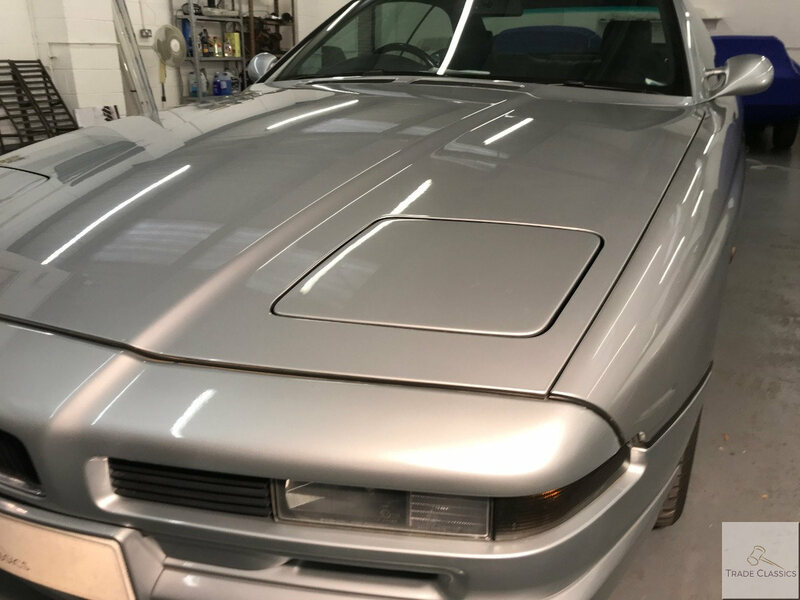 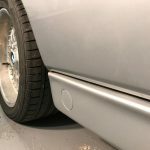 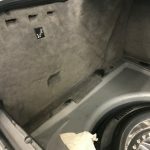 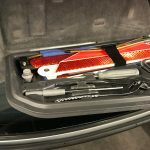 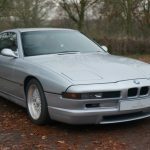 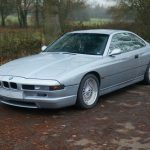 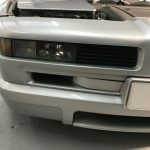 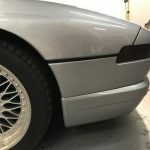 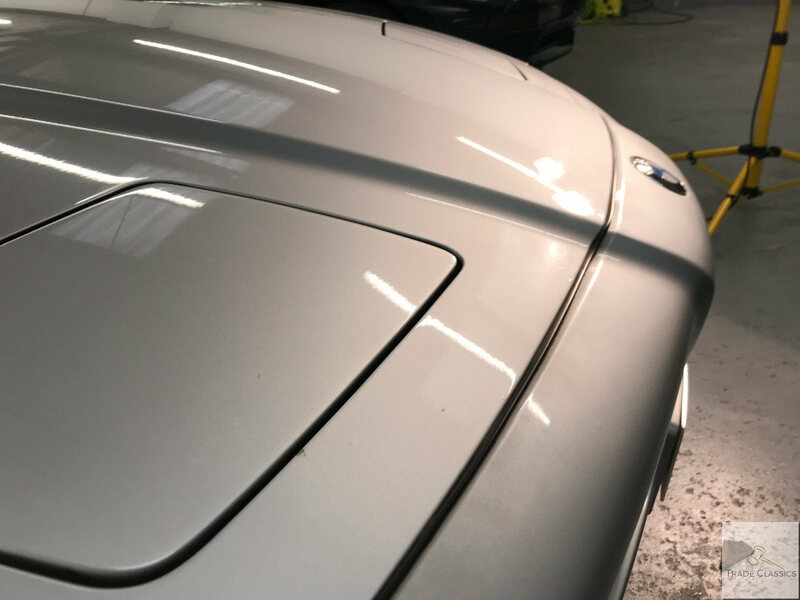 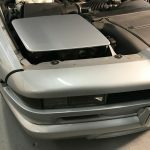 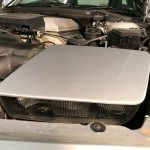 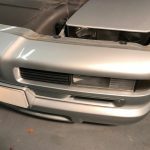 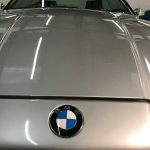 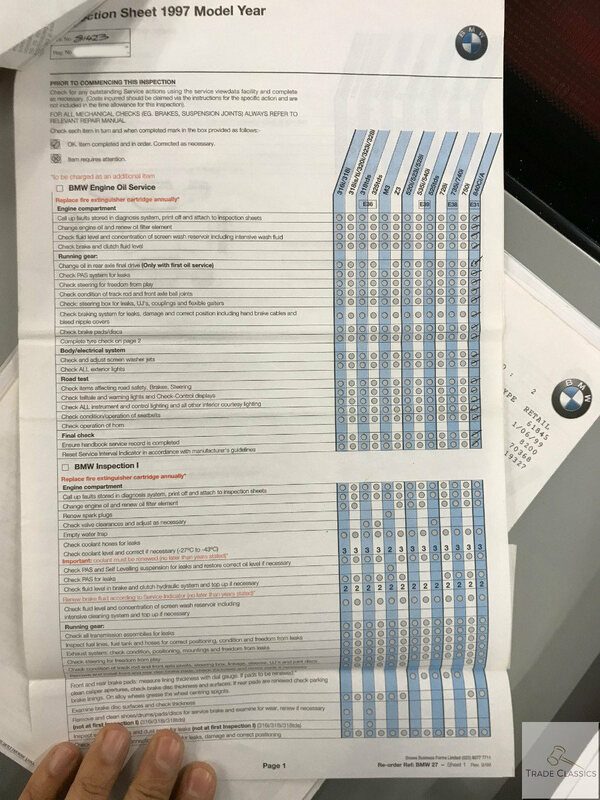 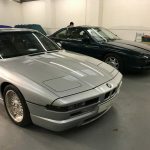 The car has been mechanically well looked after over the years, and performed just as an 8 series should on the test run. 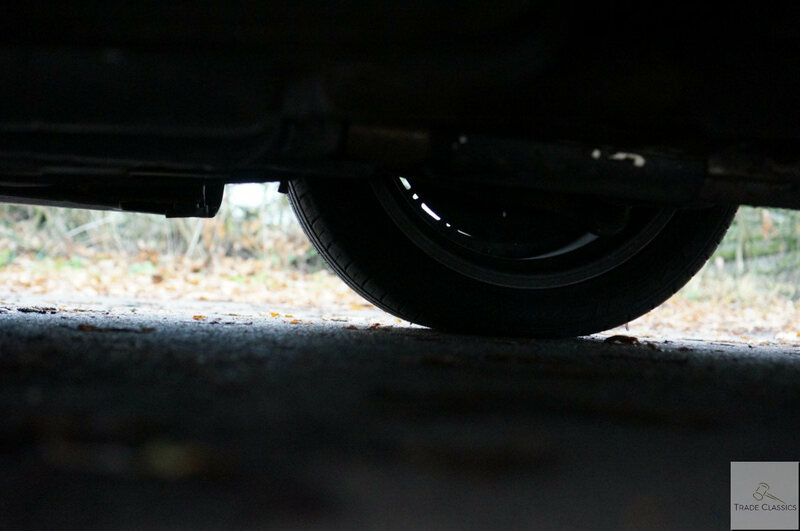 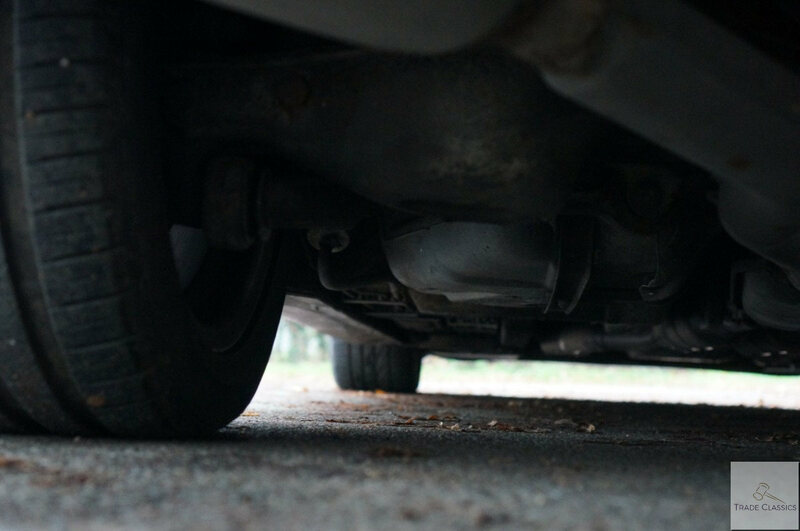 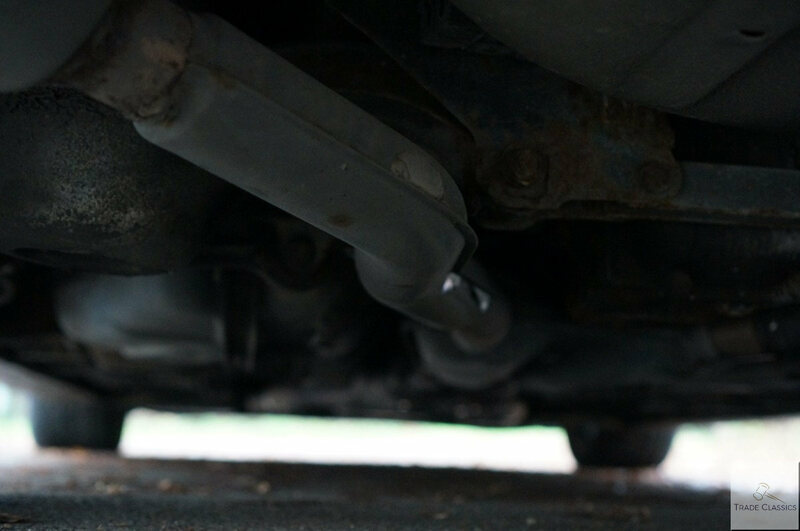 The car started from cold without issue, and propelled us on the local roads with gusto. 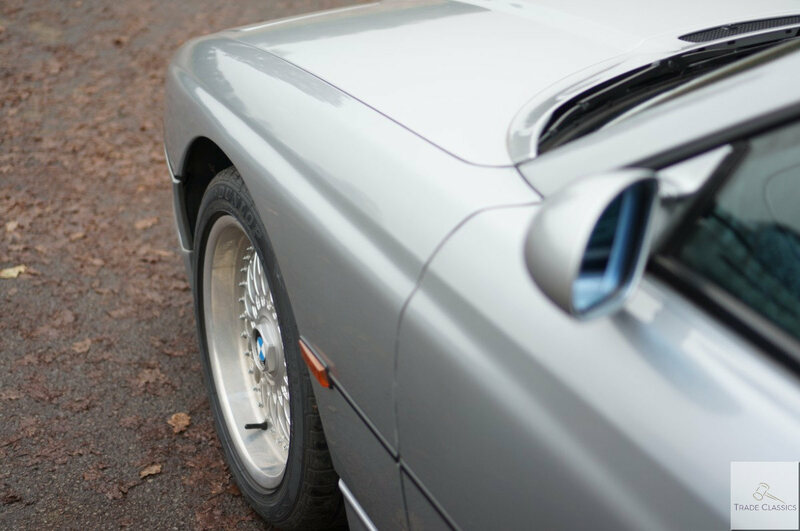 As seen in the “on the road” video, the car went through all 5 gears without any jolting, very smooth transitions. 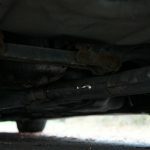 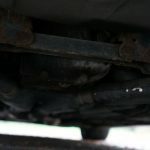 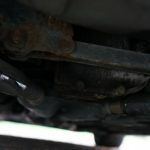 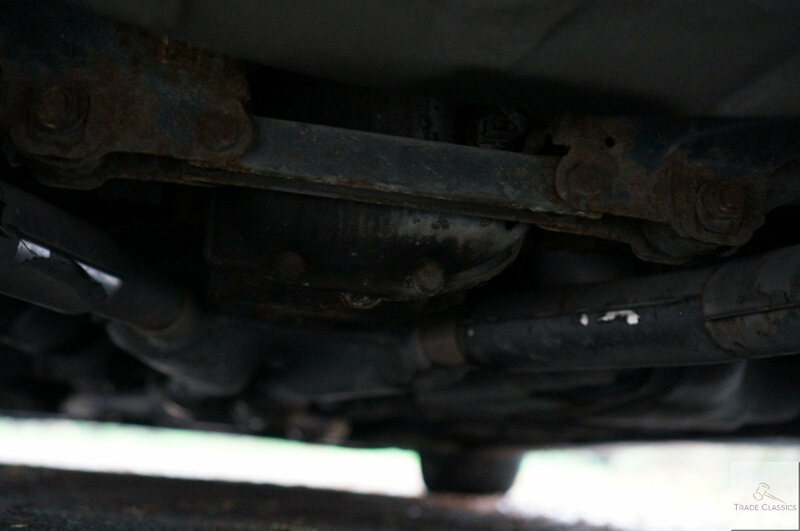 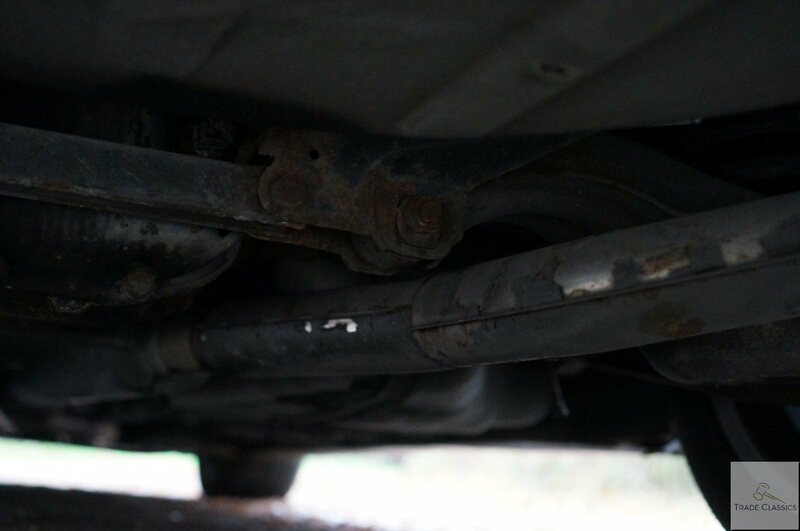 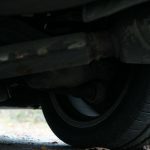 The suspension on this car has particularly been tended to over the years. 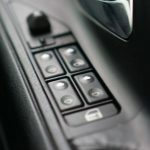 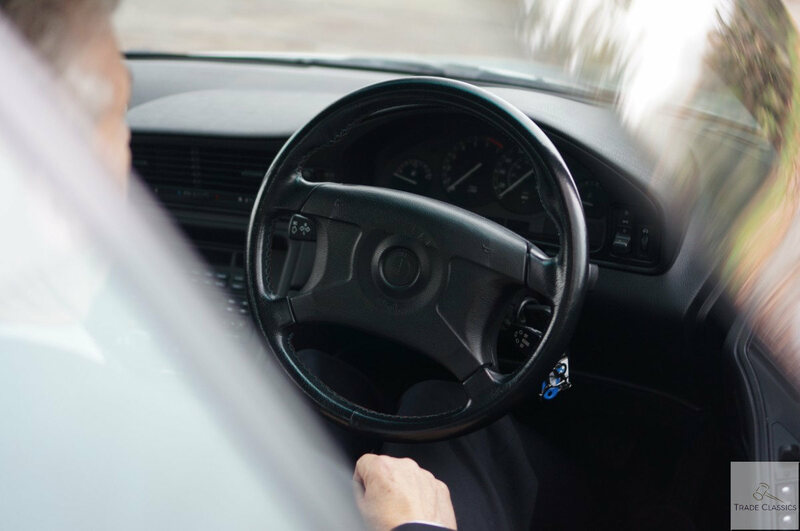 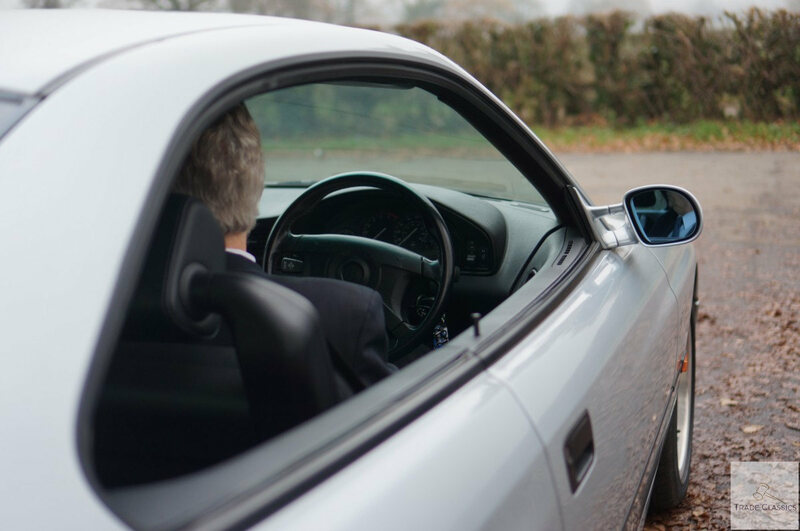 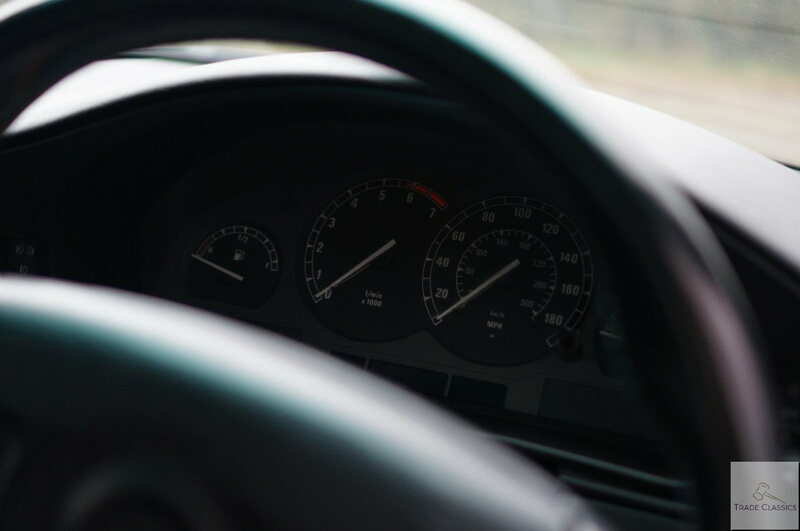 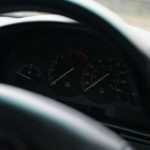 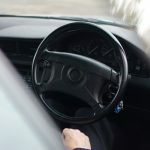 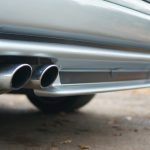 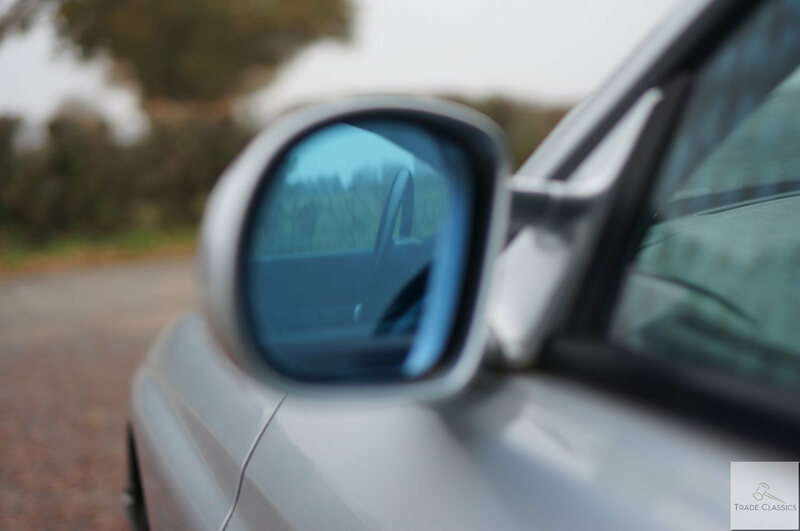 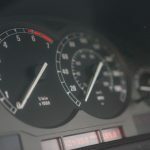 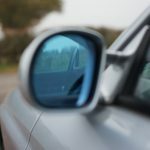 Mark was initially unsure about buying the car due to the high mileage, but he took the car on a test drive and realised how well looked after the car had been. 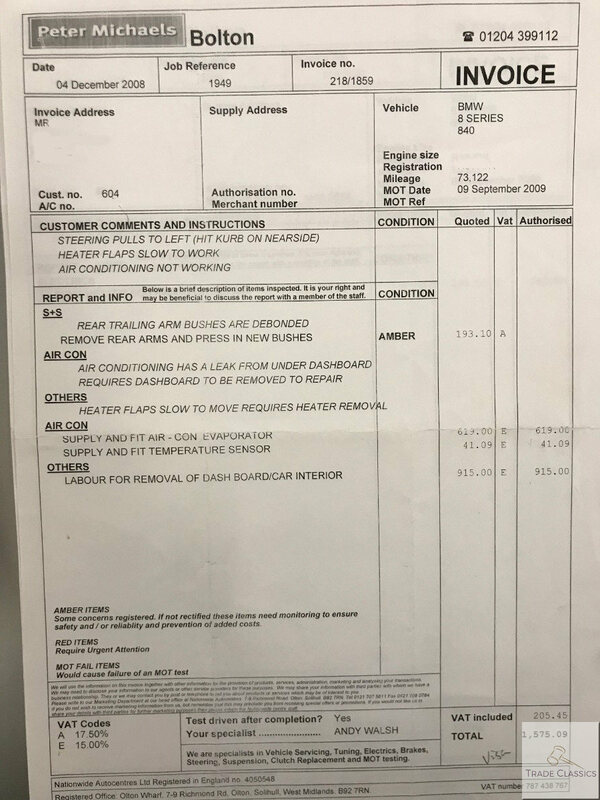 A very good service history, and the suspension set-up leaving the car handling like a much lower mileage example. 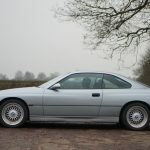 The drive was without fault, the V8 burbling along as we went on our usual test drive around Hinckley. 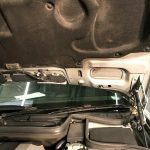 We checked all the electrics on the car, and everything works as it should. 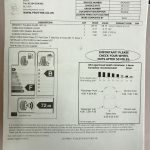 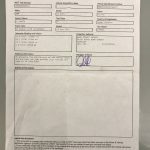 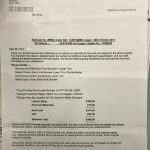 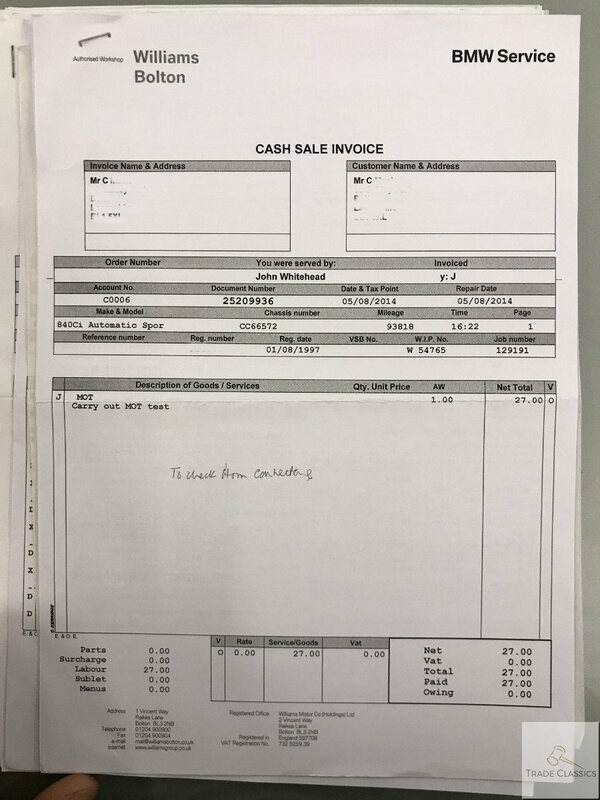 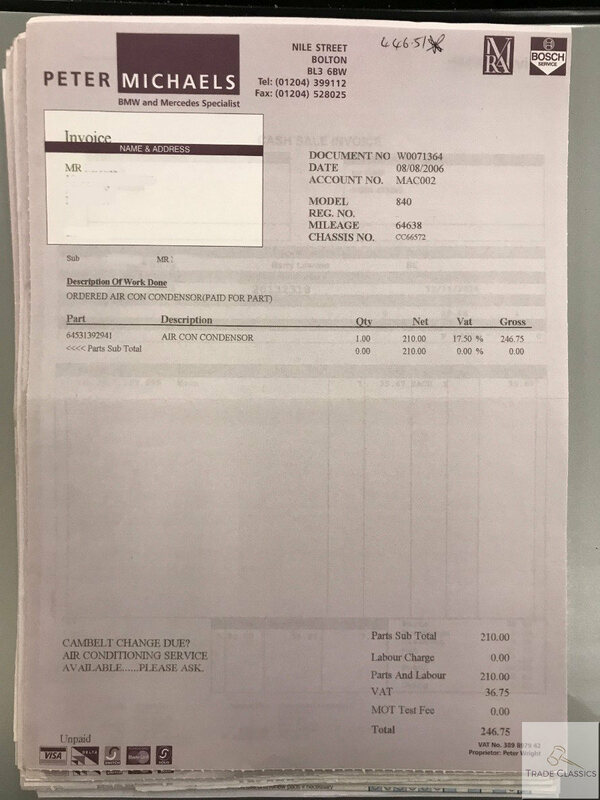 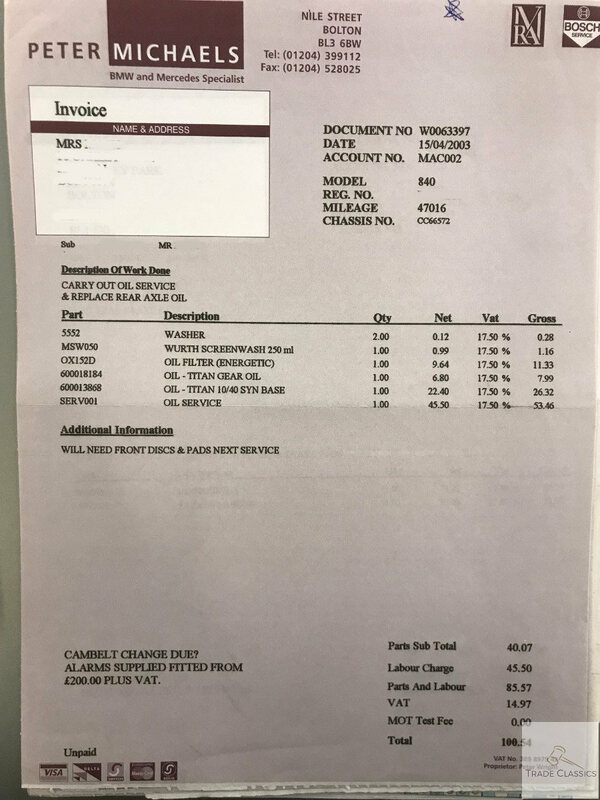 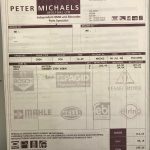 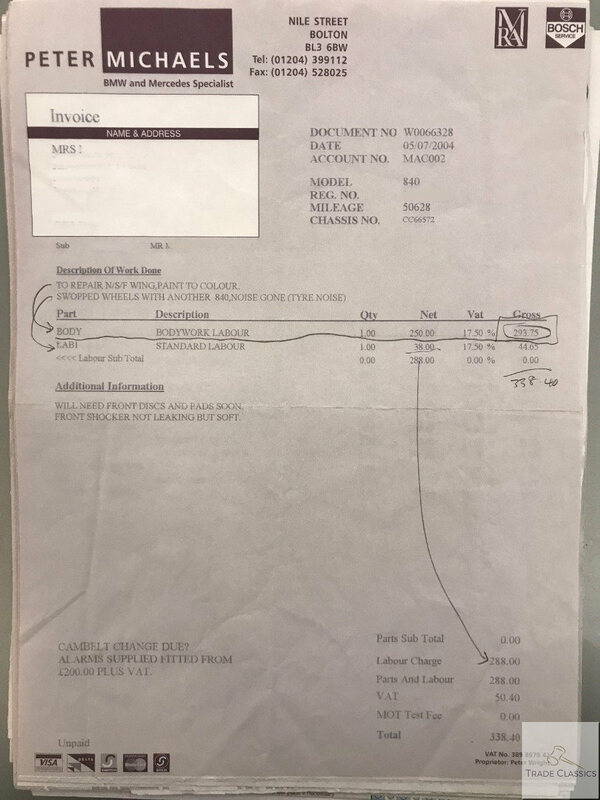 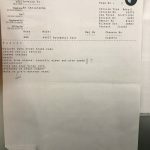 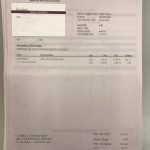 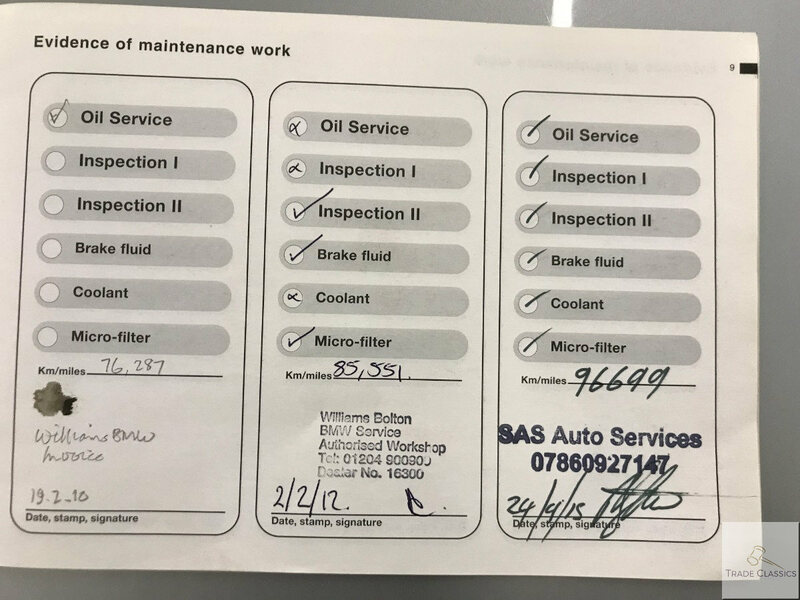 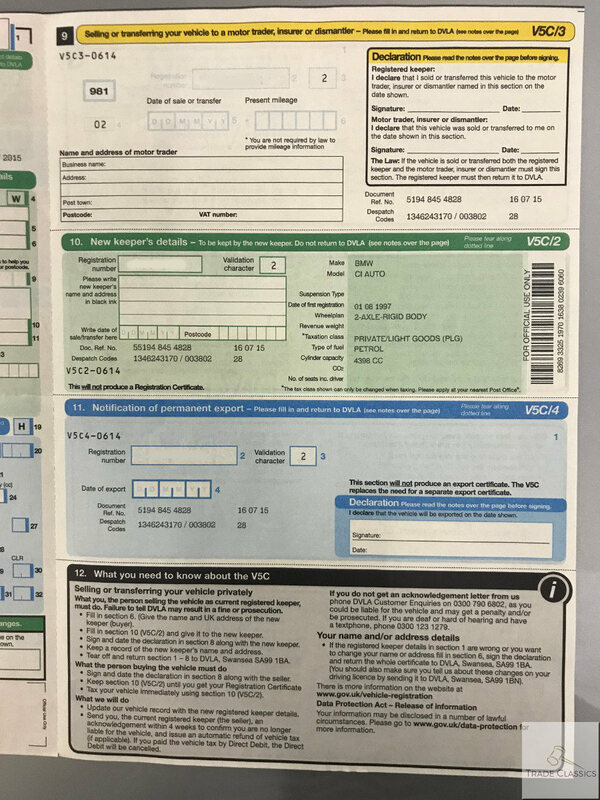 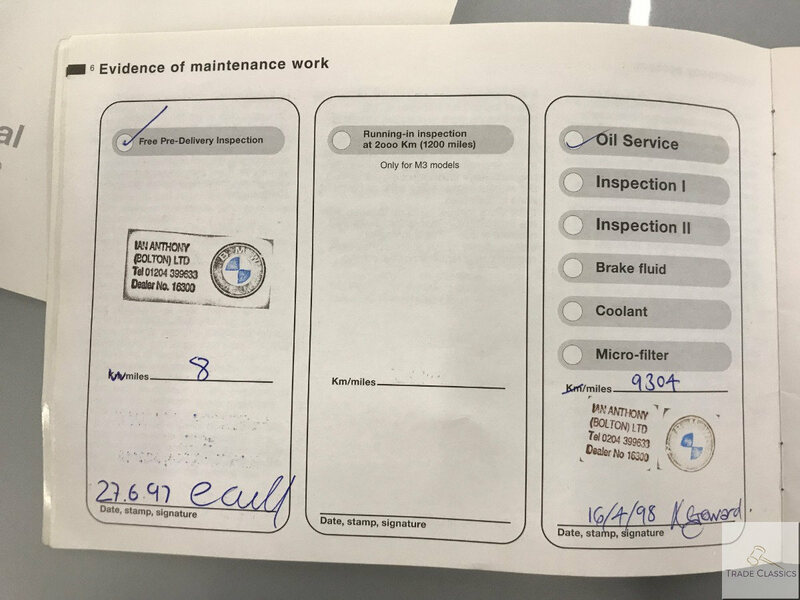 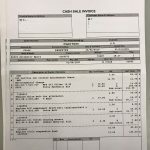 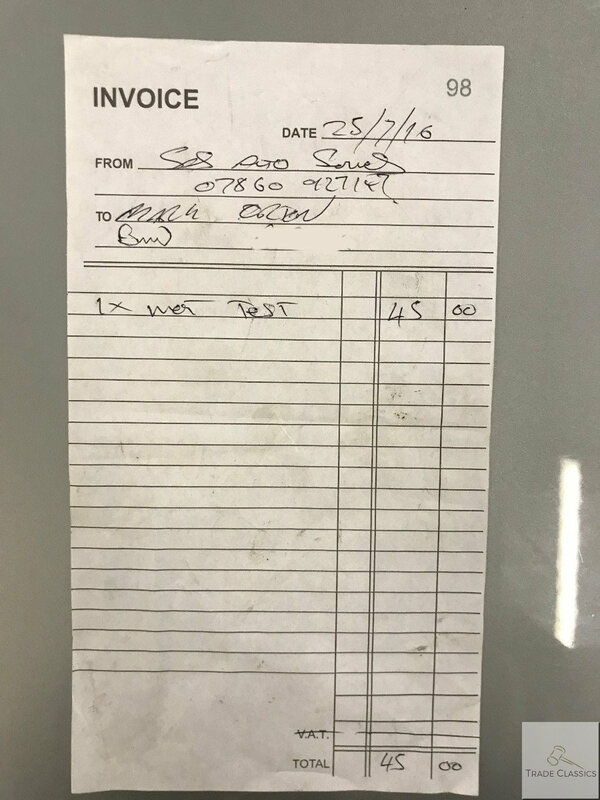 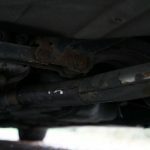 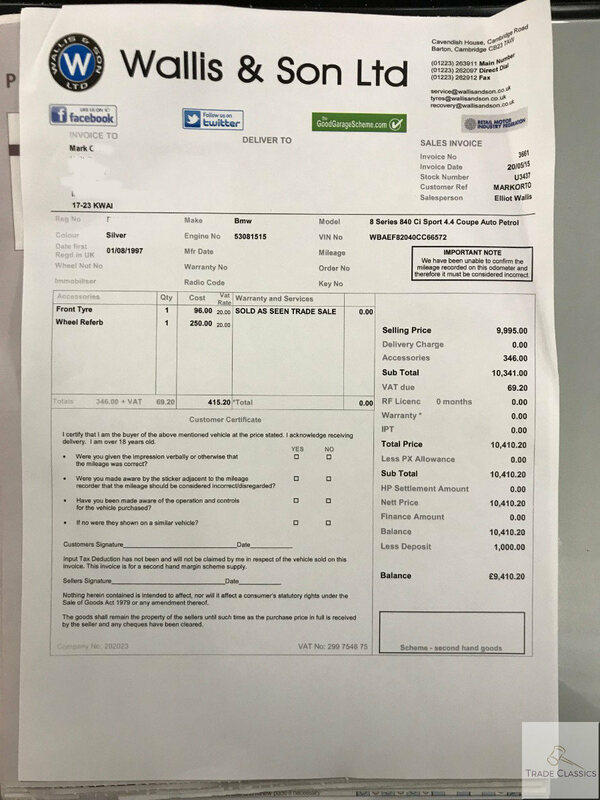 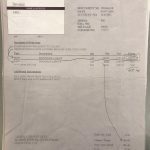 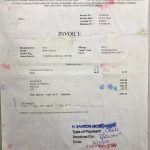 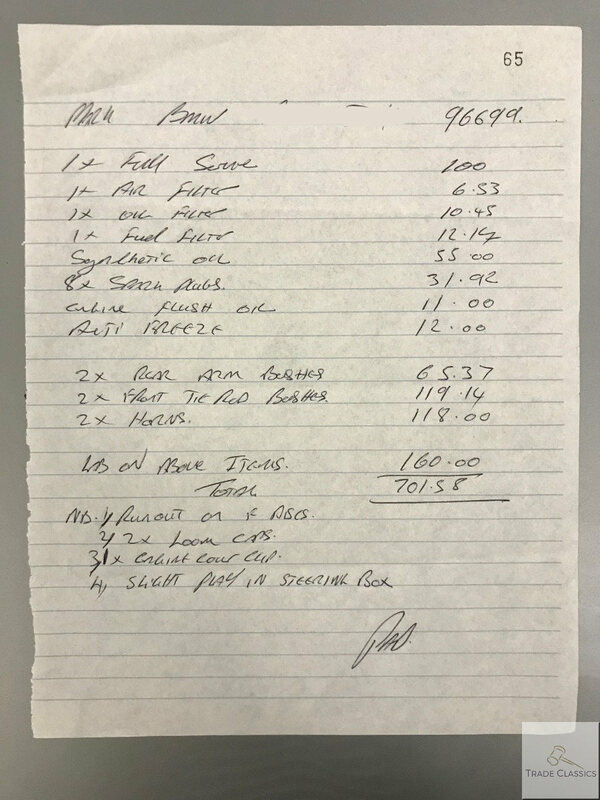 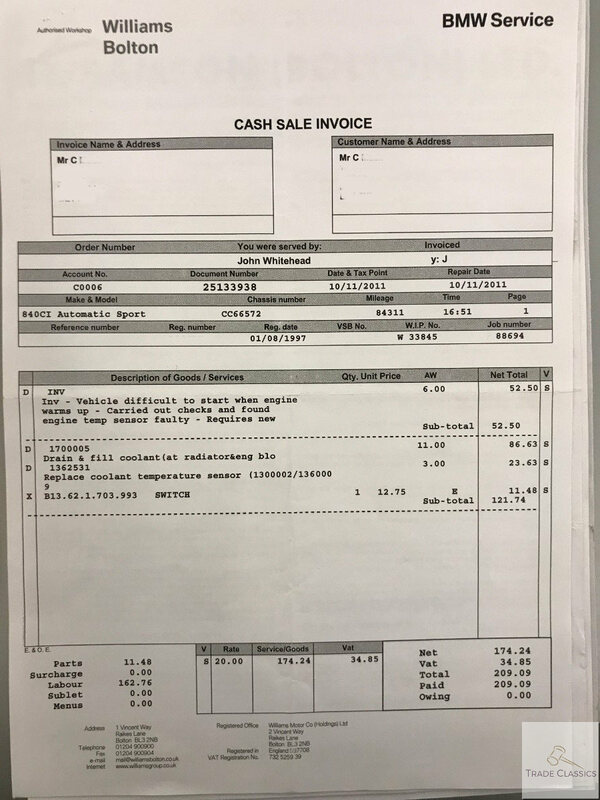 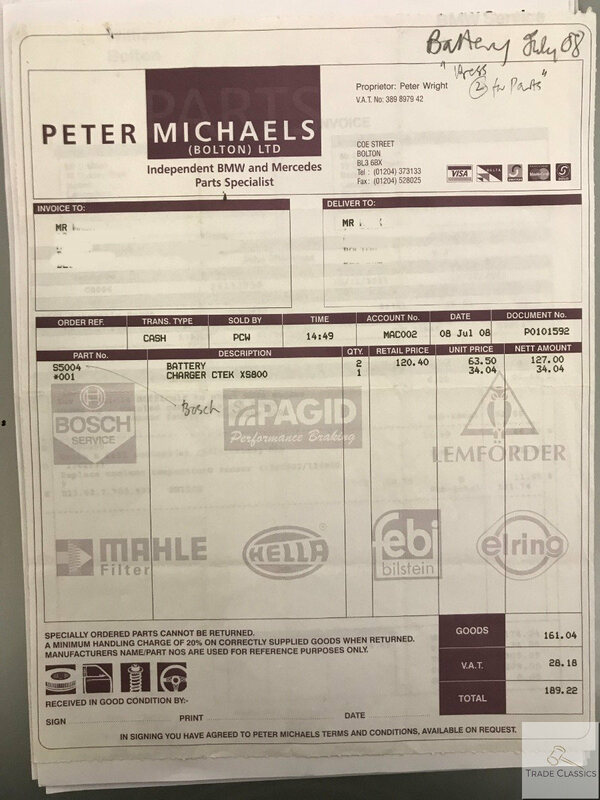 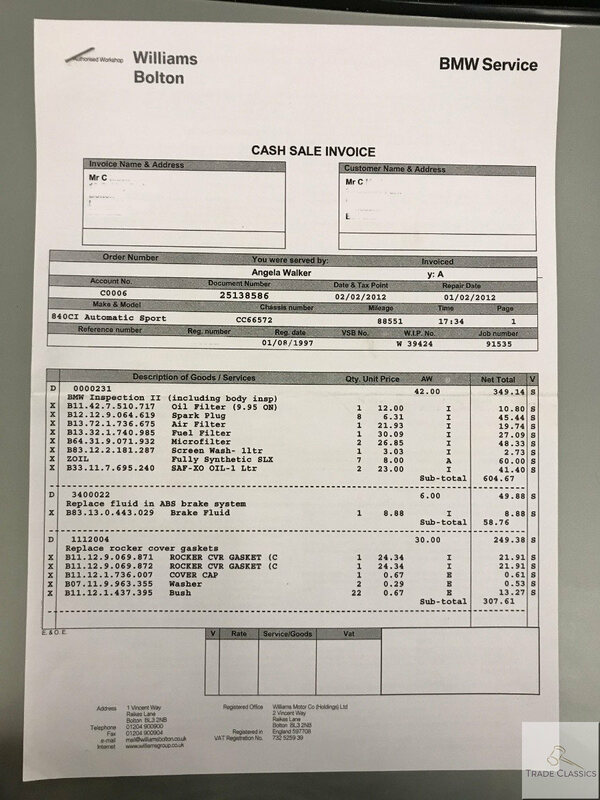 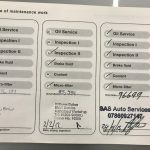 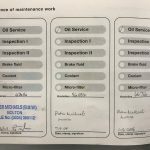 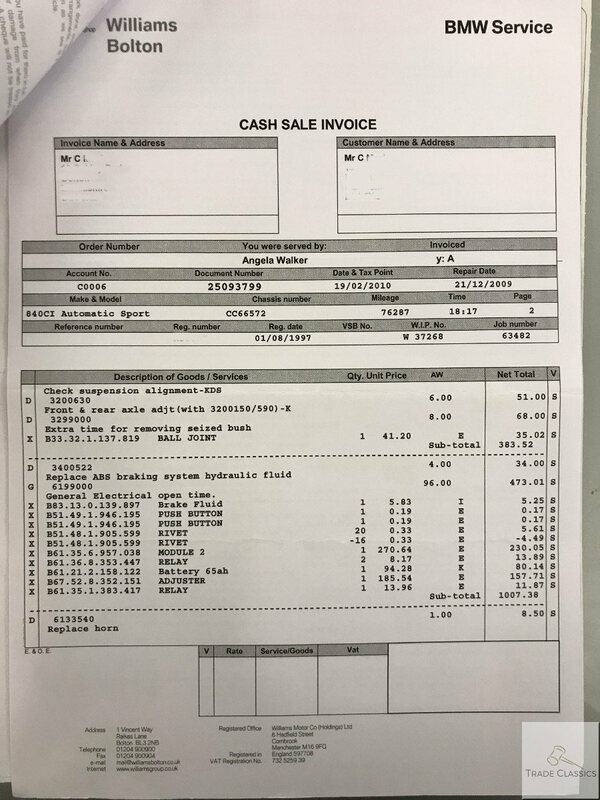 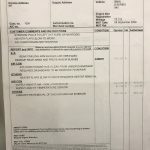 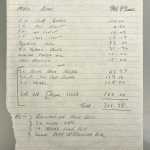 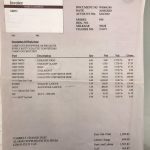 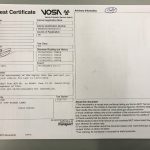 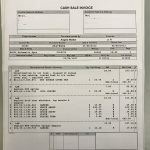 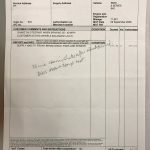 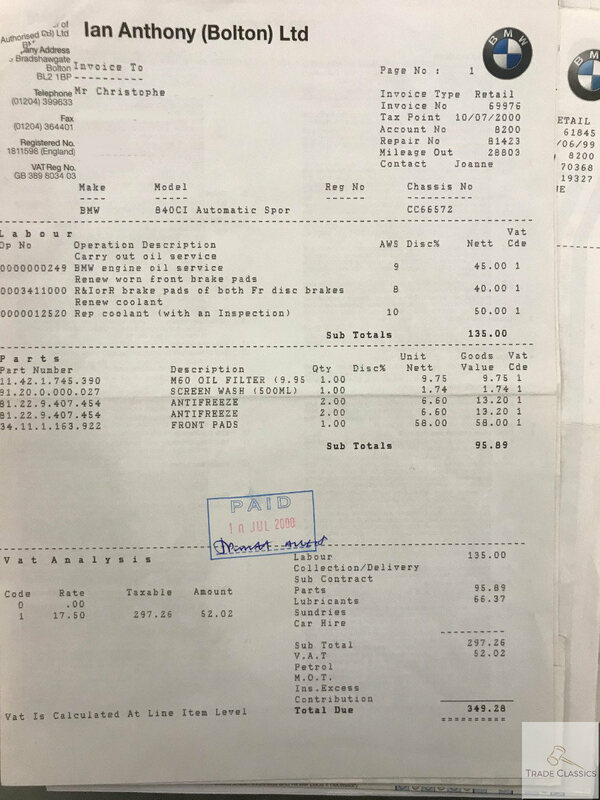 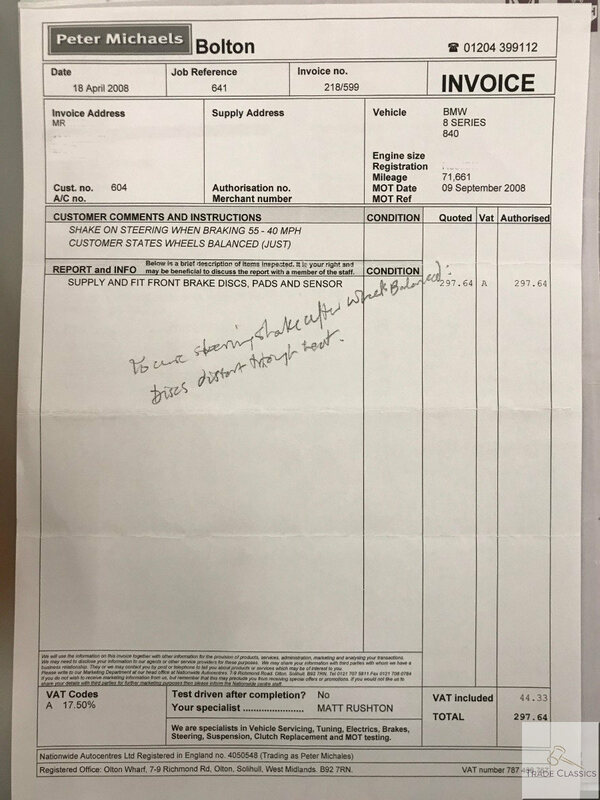 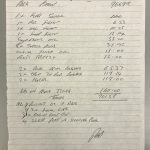 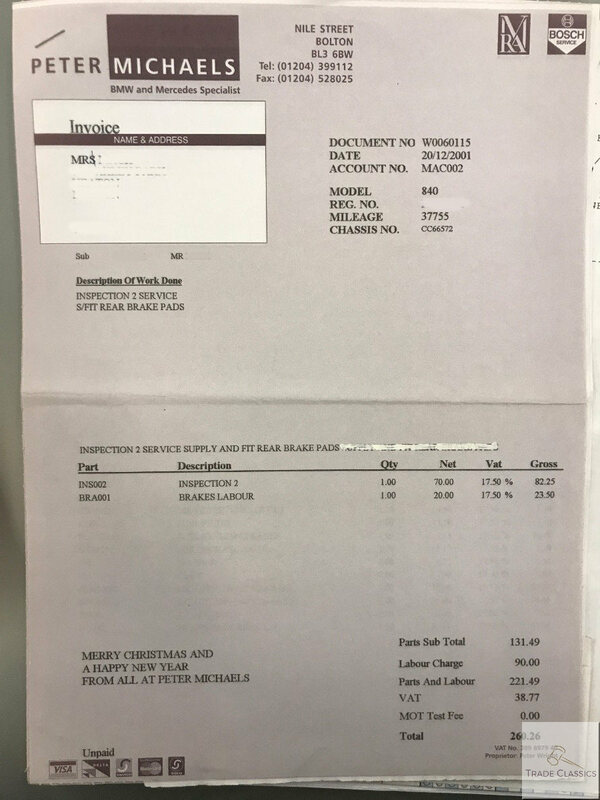 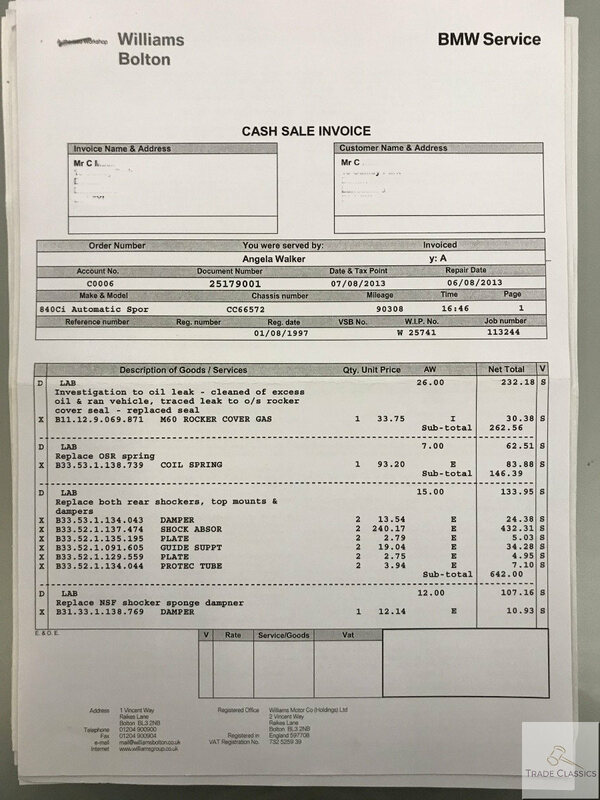 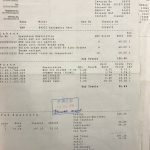 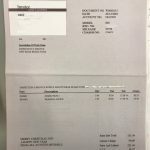 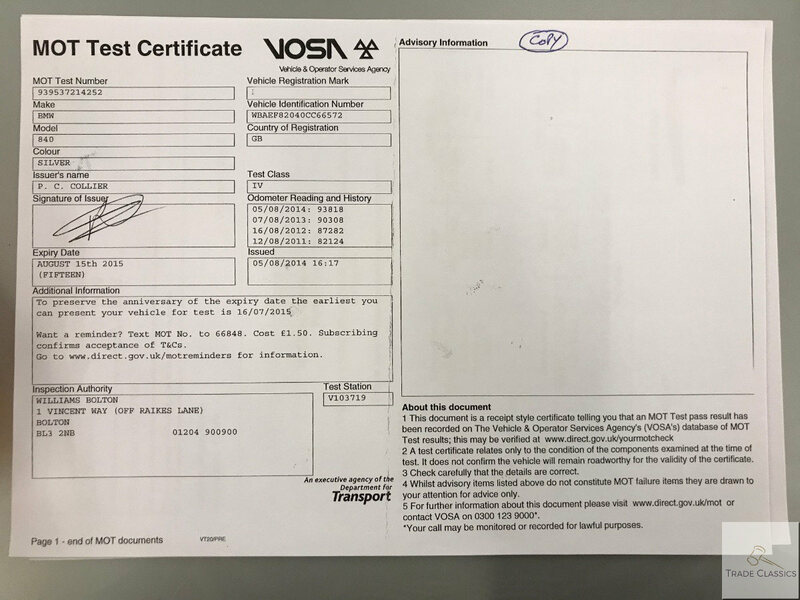 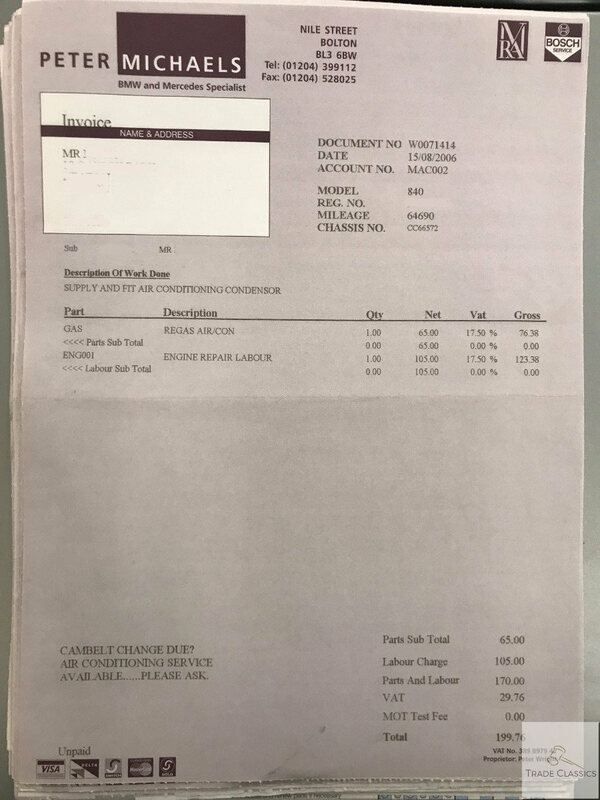 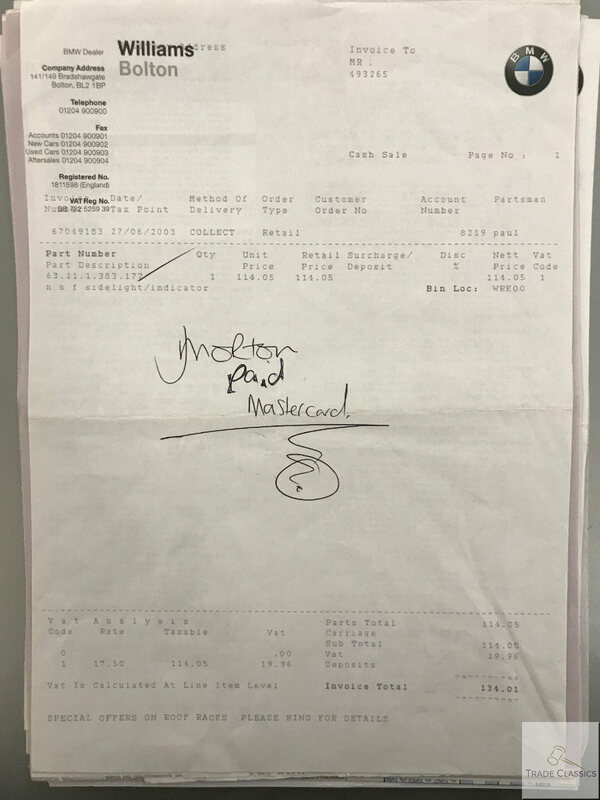 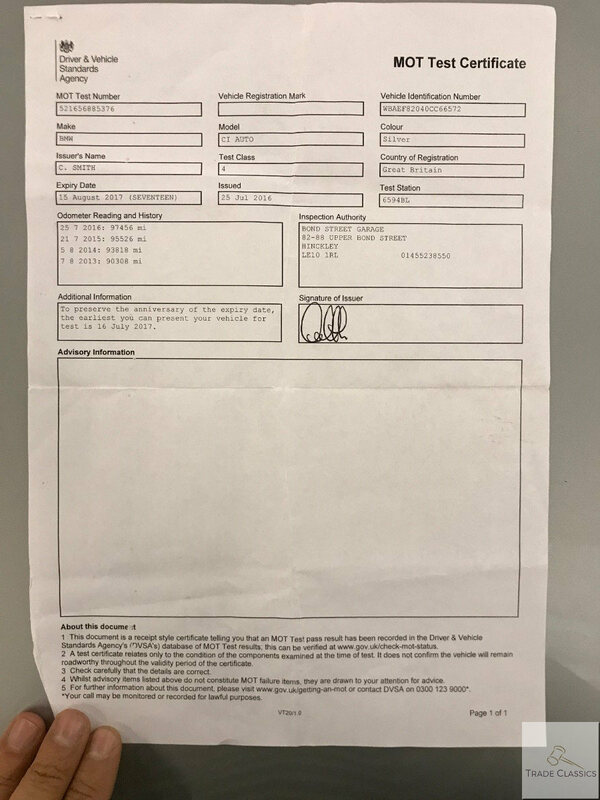 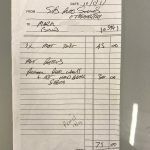 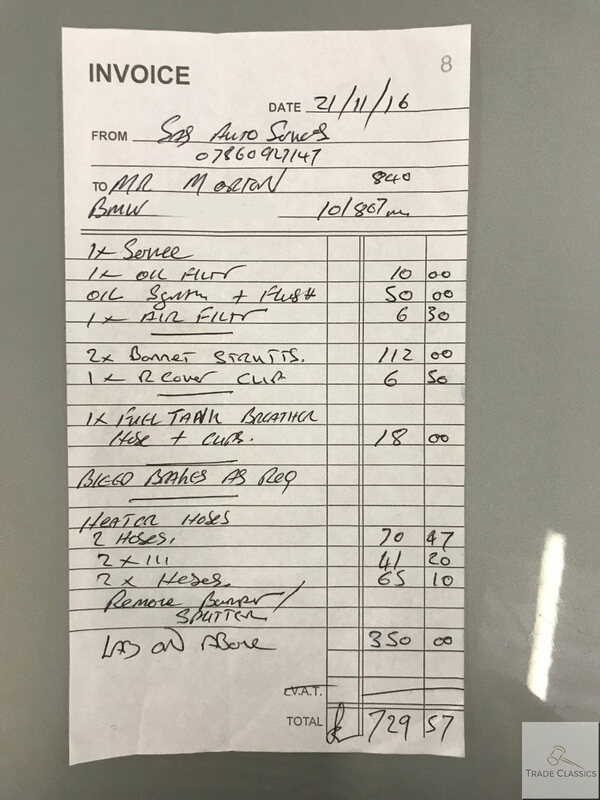 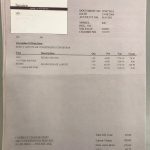 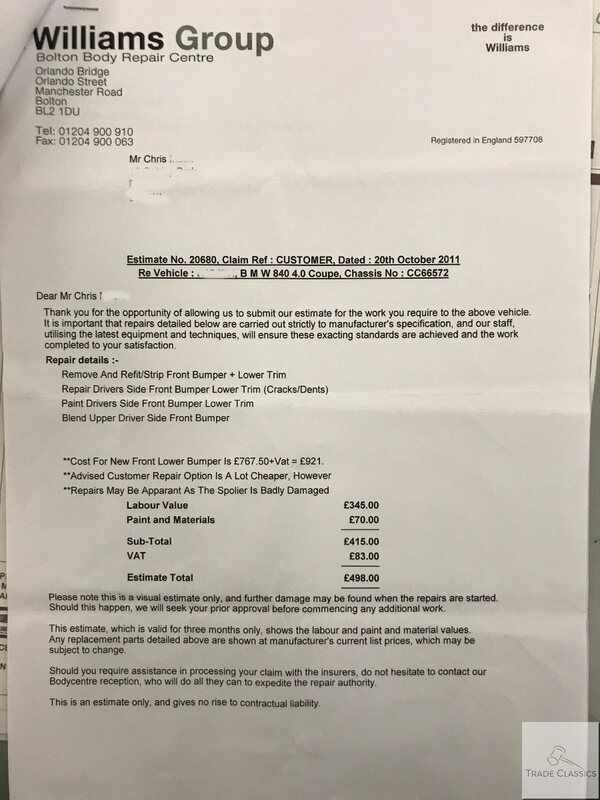 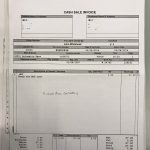 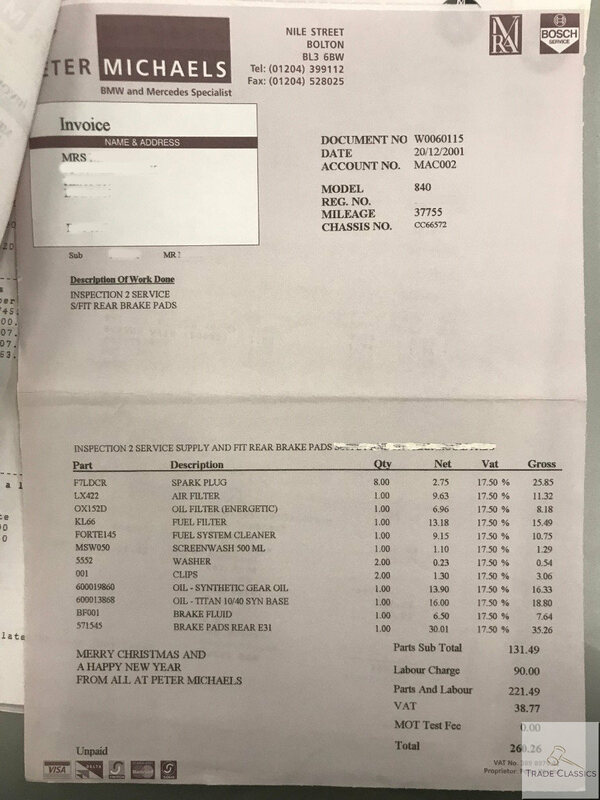 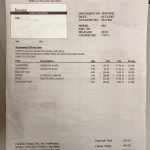 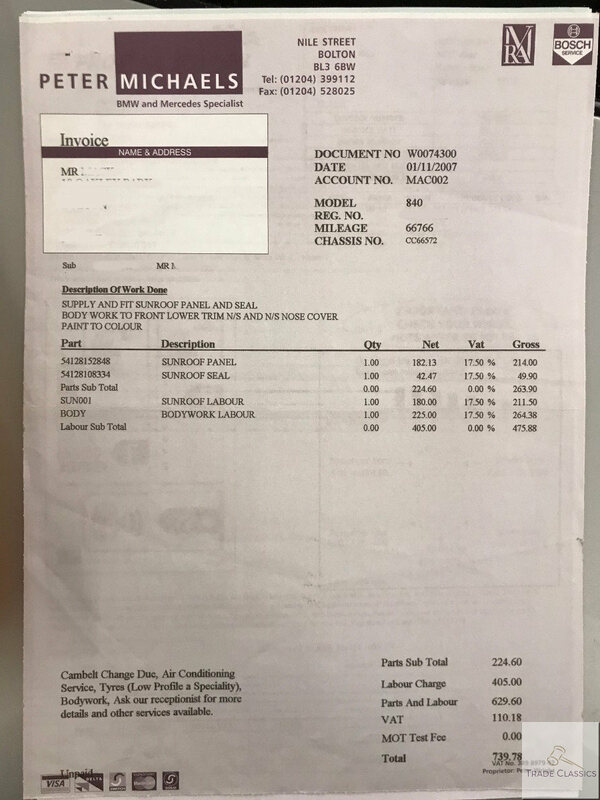 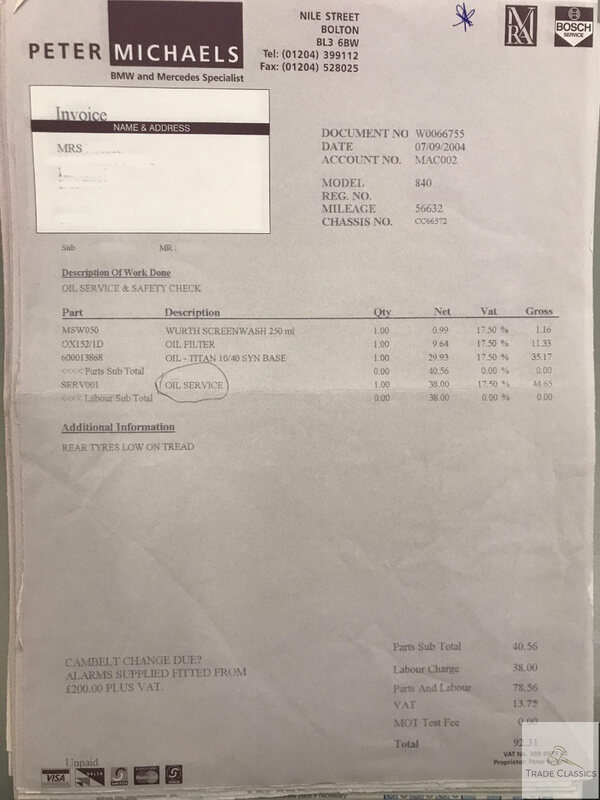 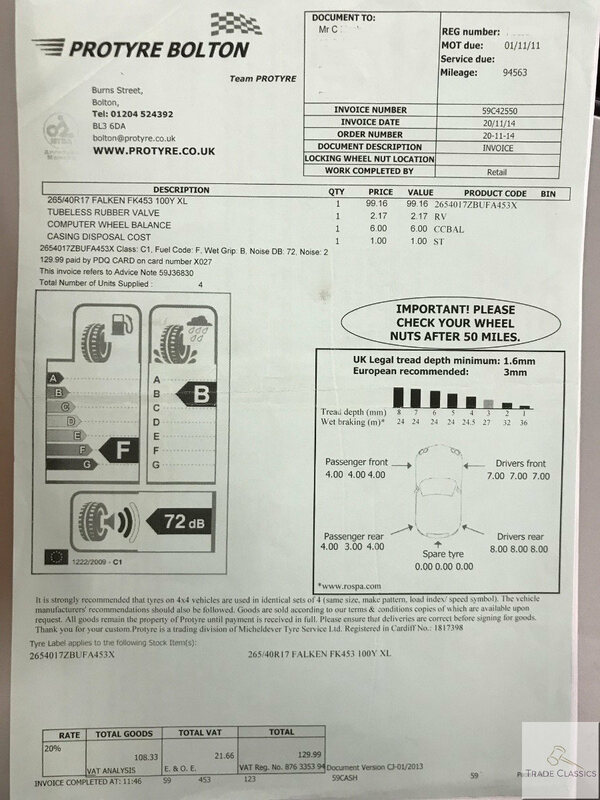 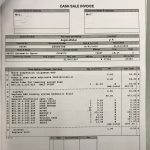 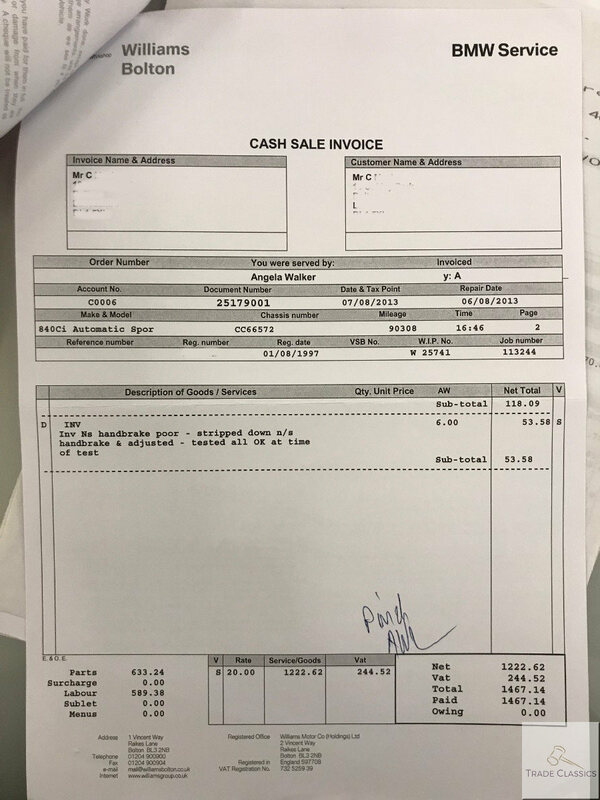 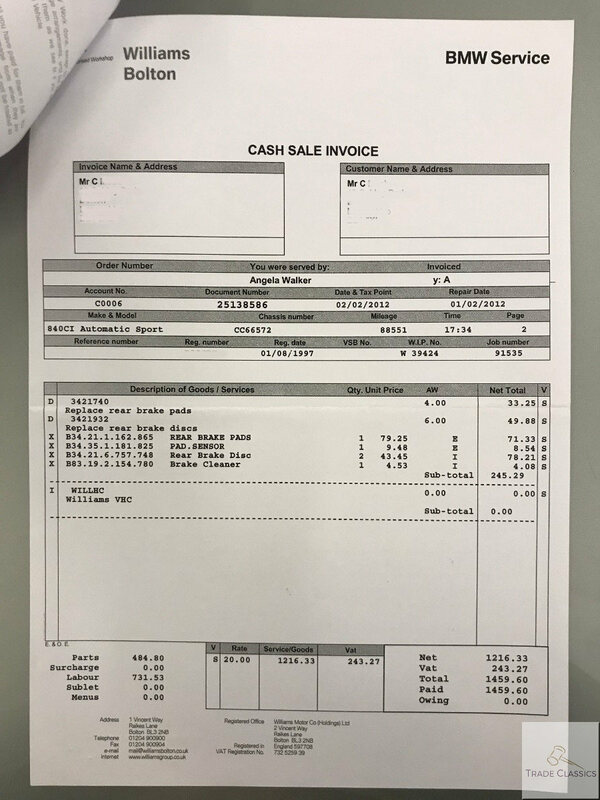 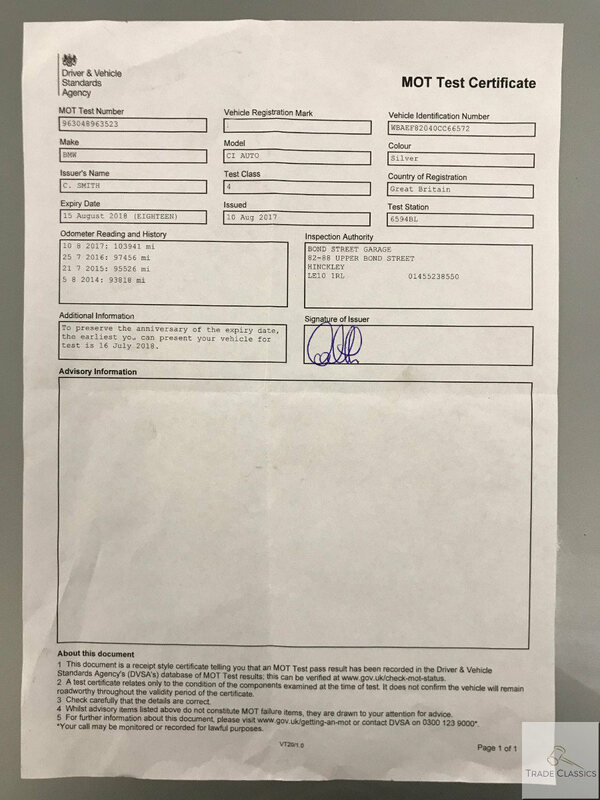 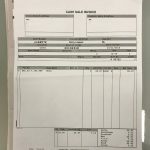 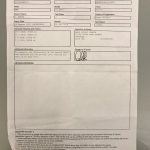 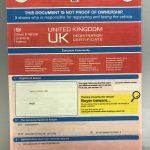 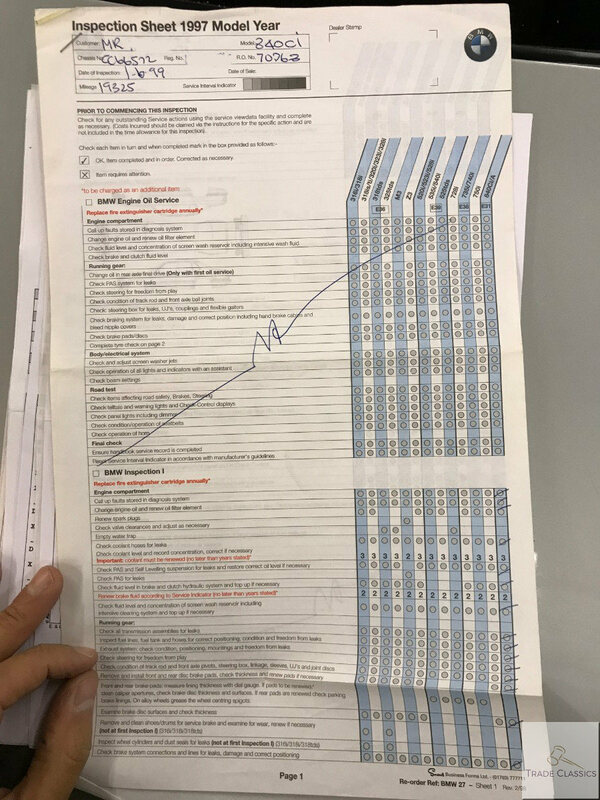 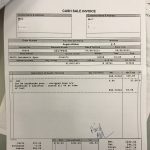 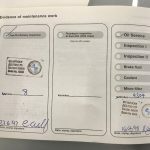 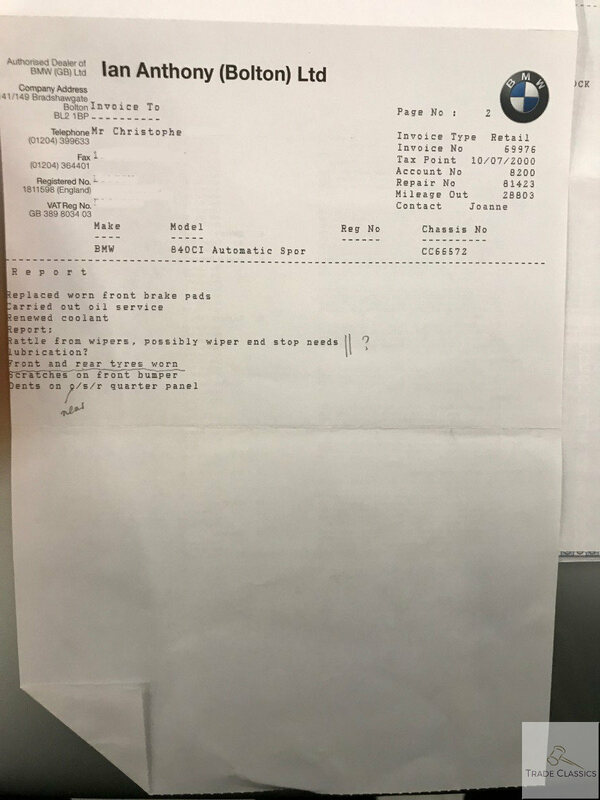 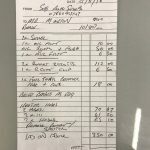 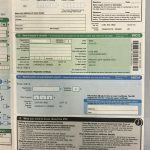 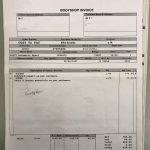 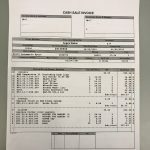 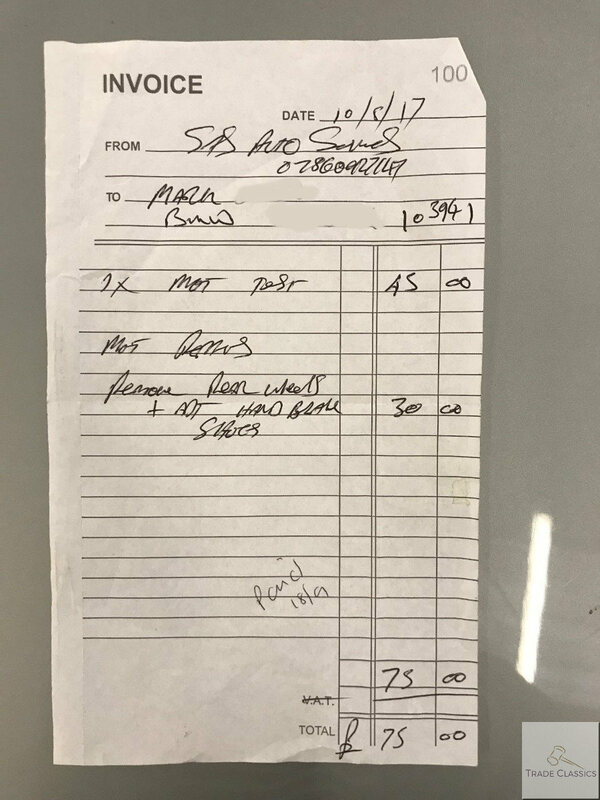 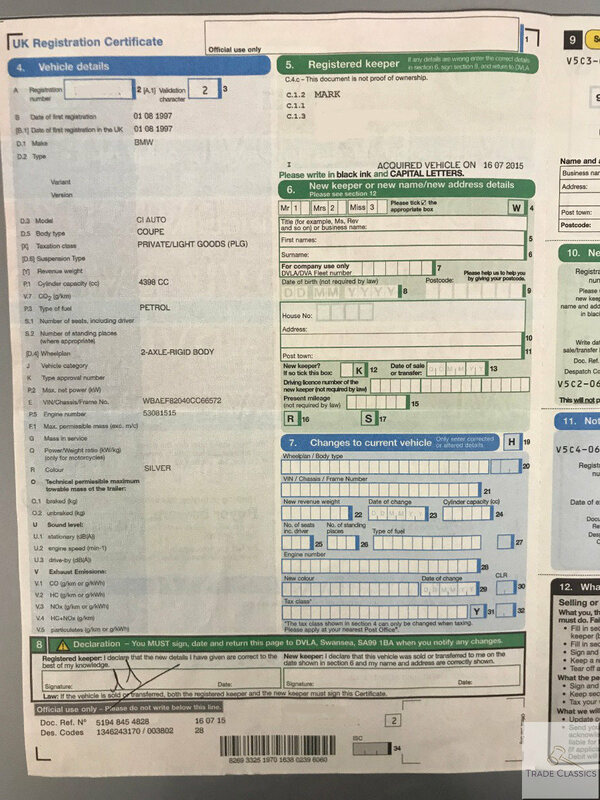 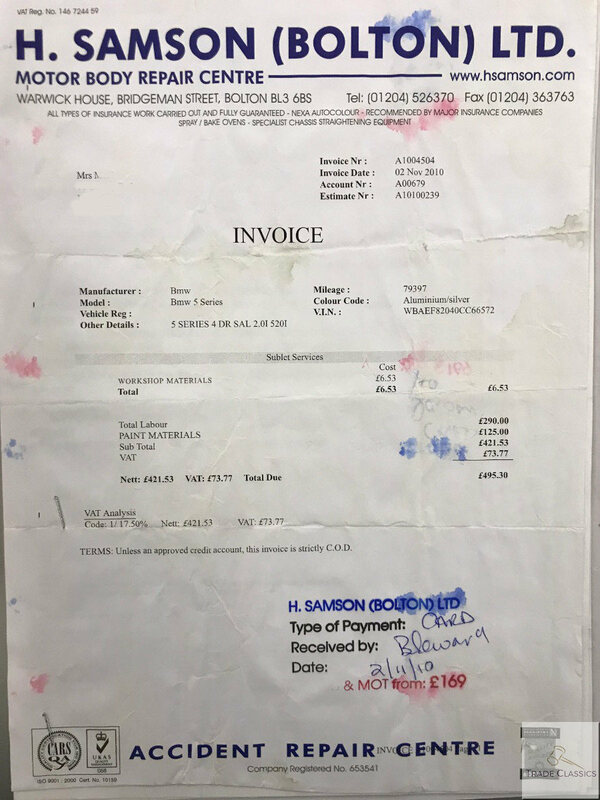 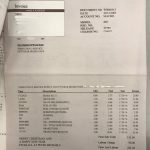 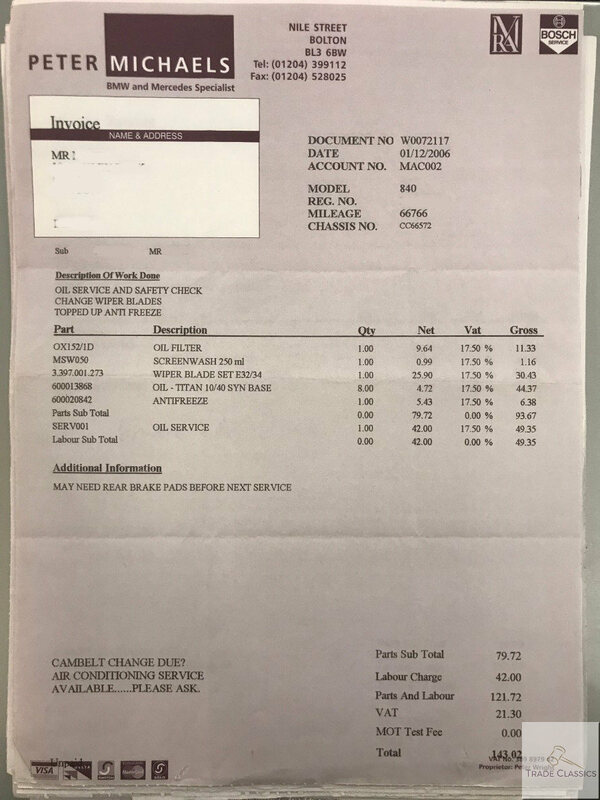 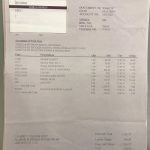 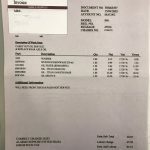 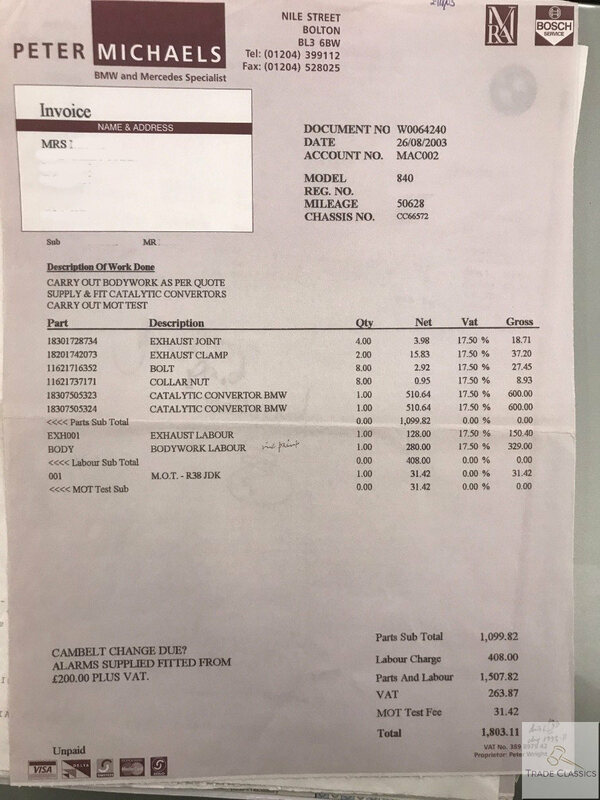 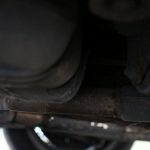 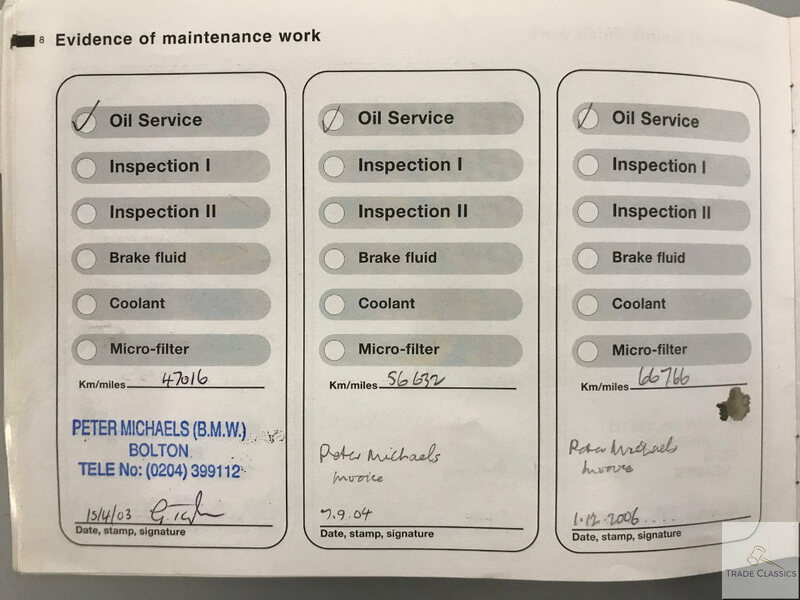 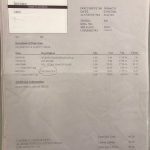 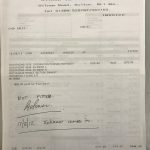 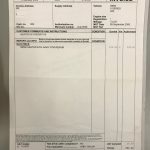 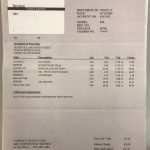 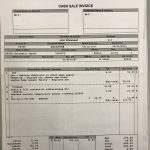 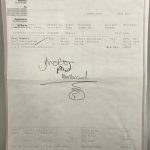 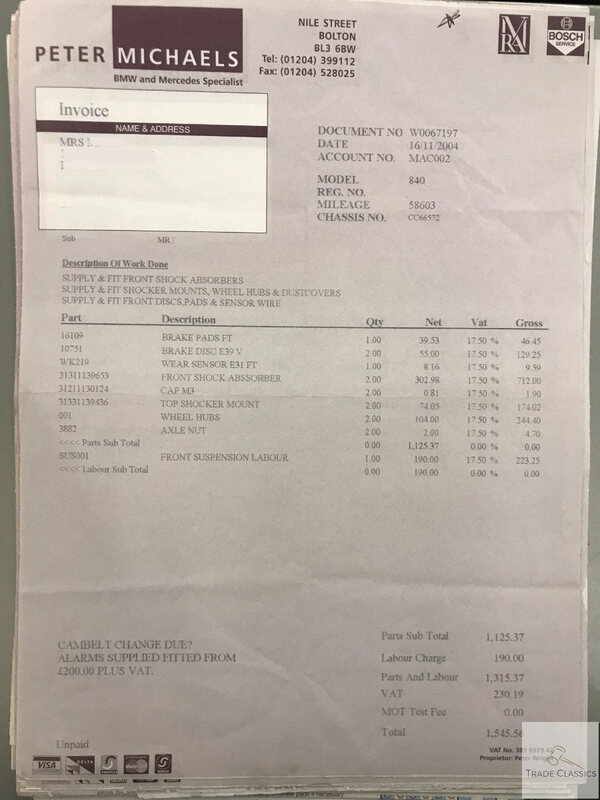 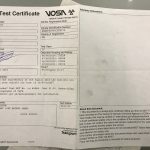 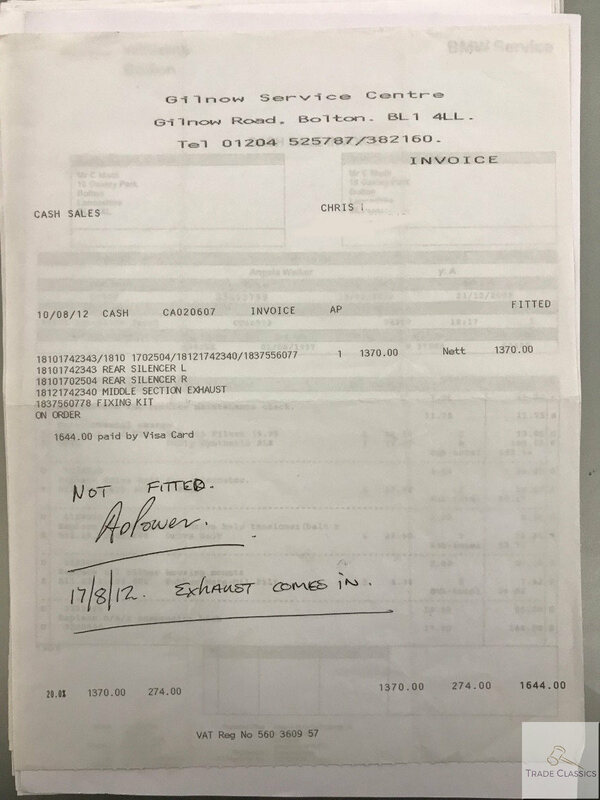 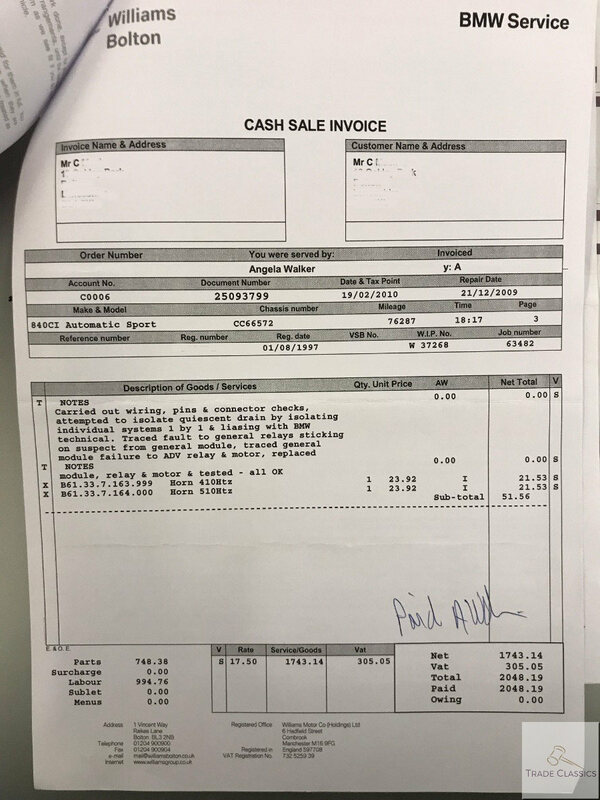 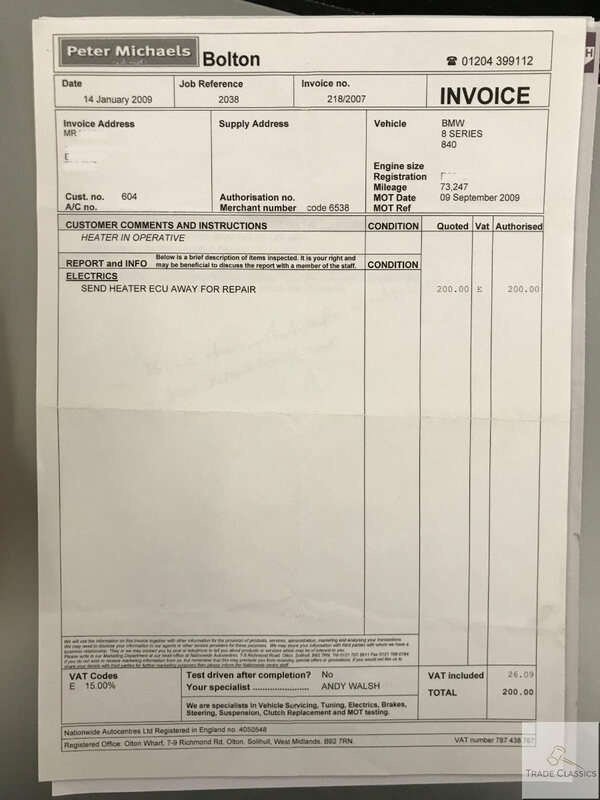 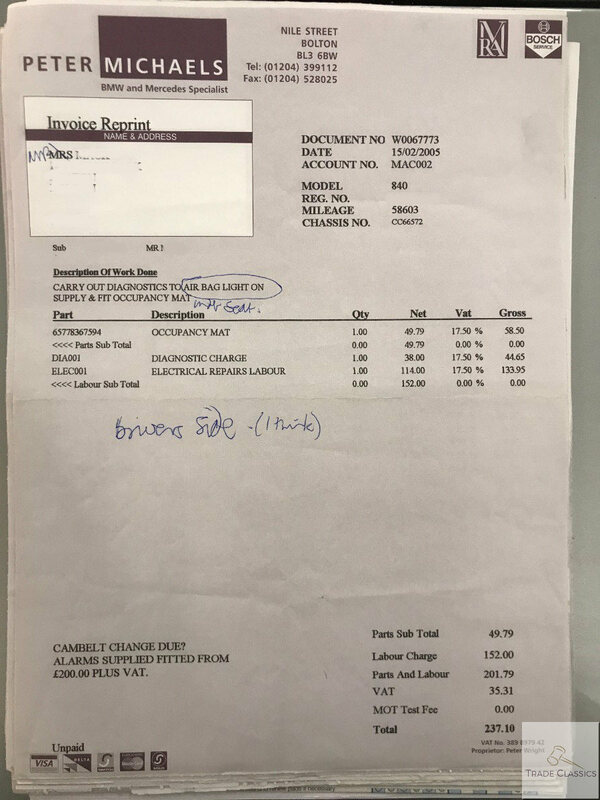 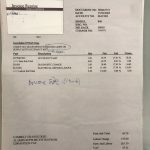 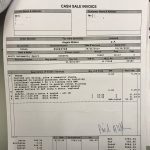 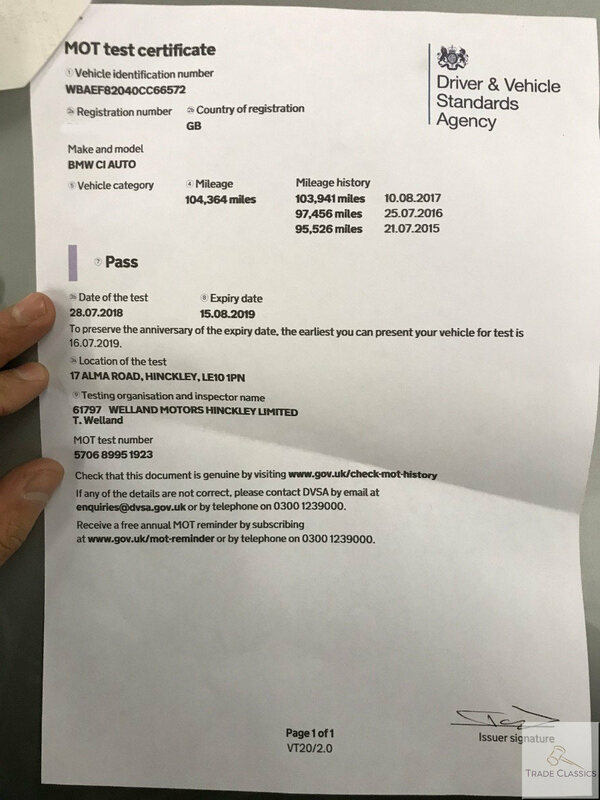 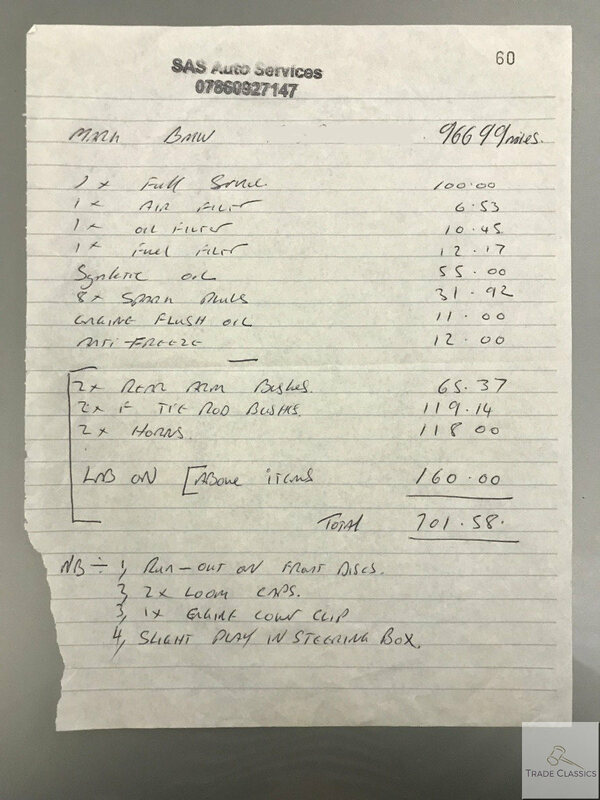 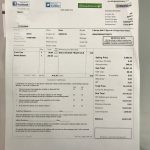 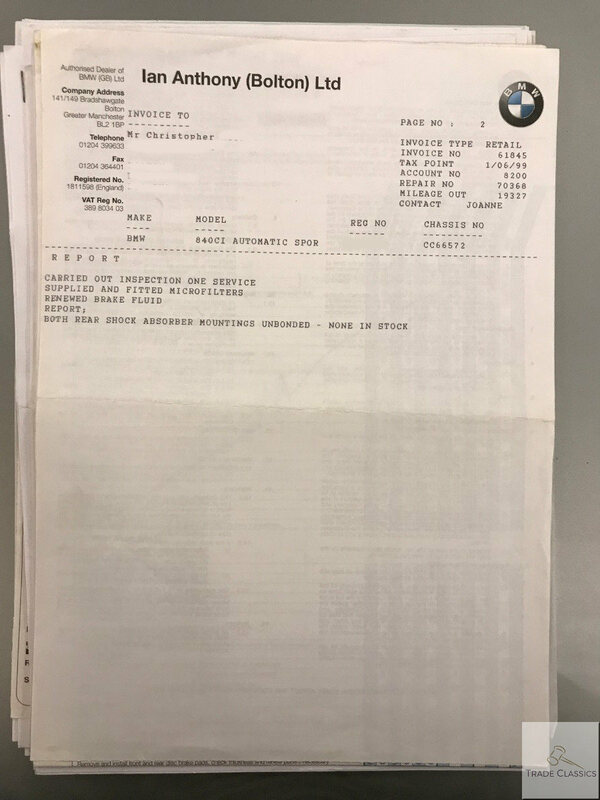 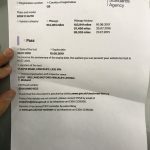 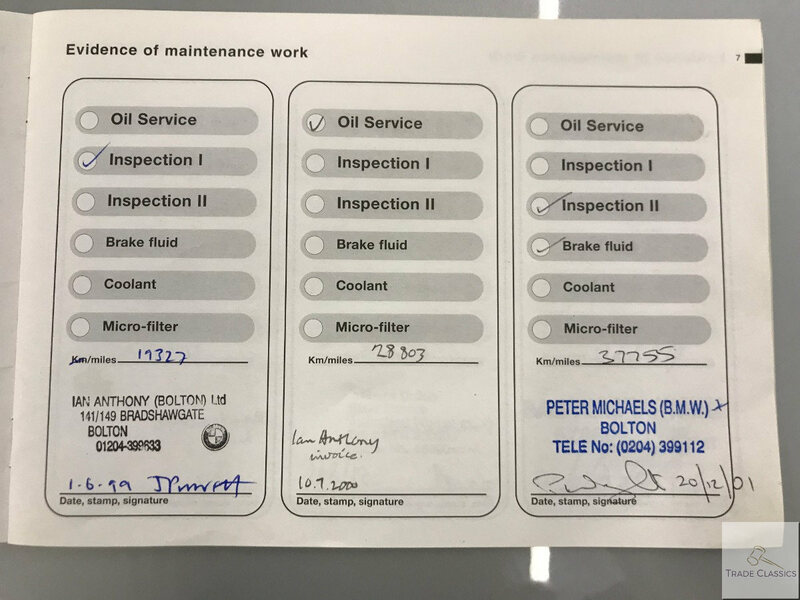 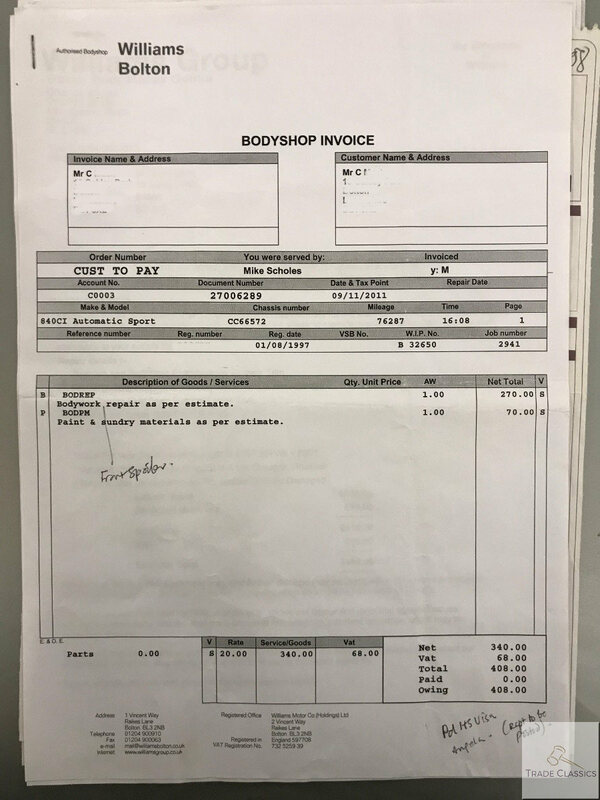 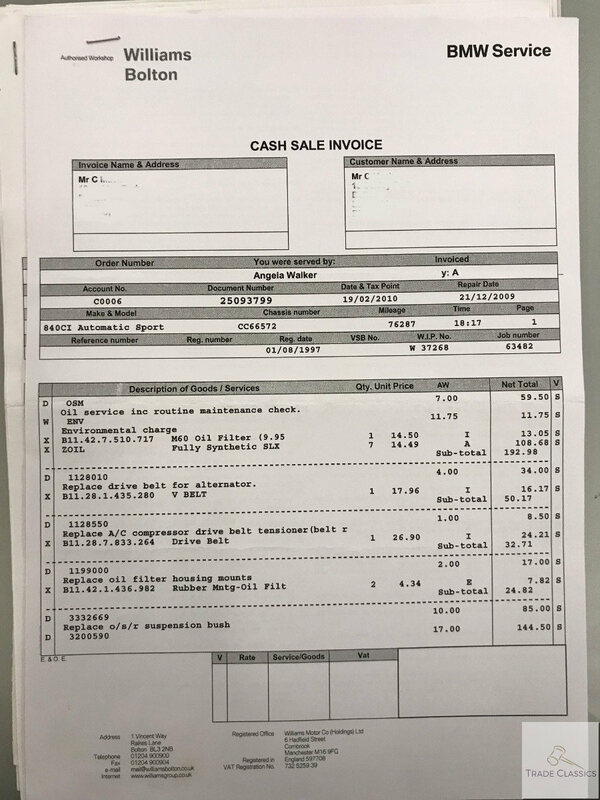 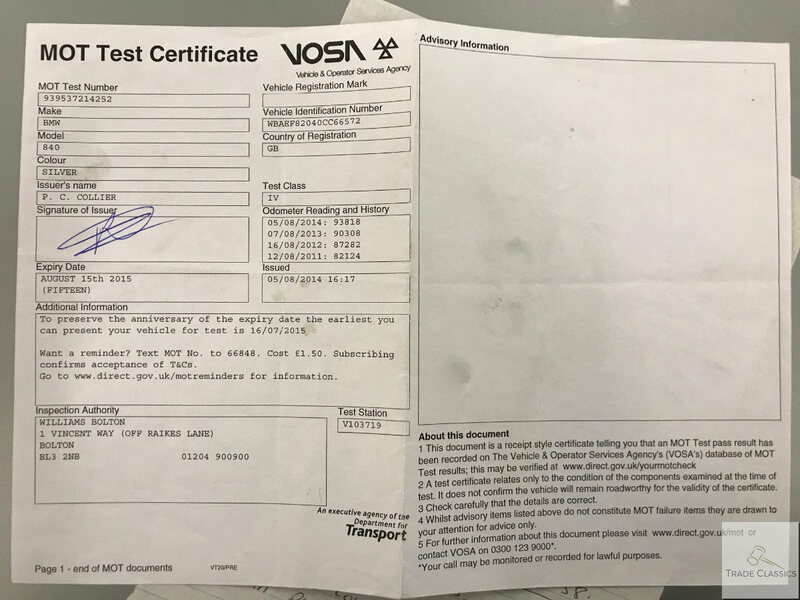 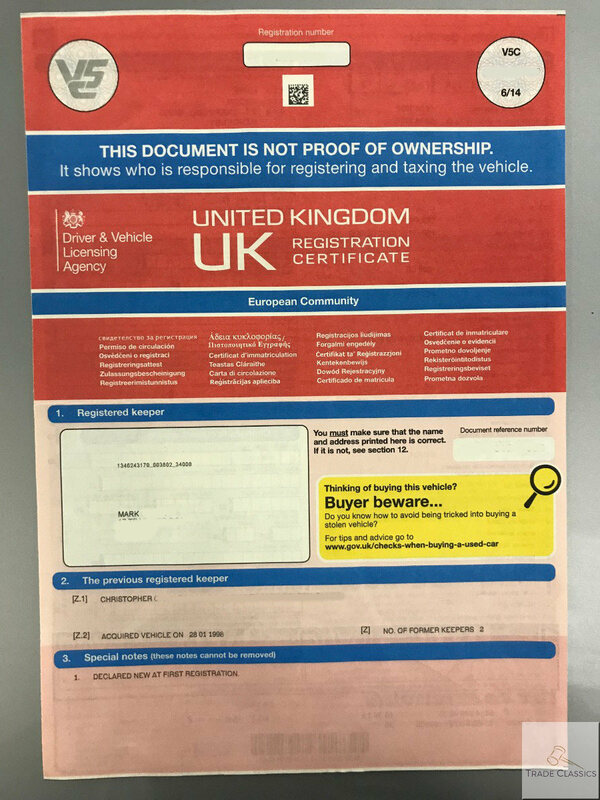 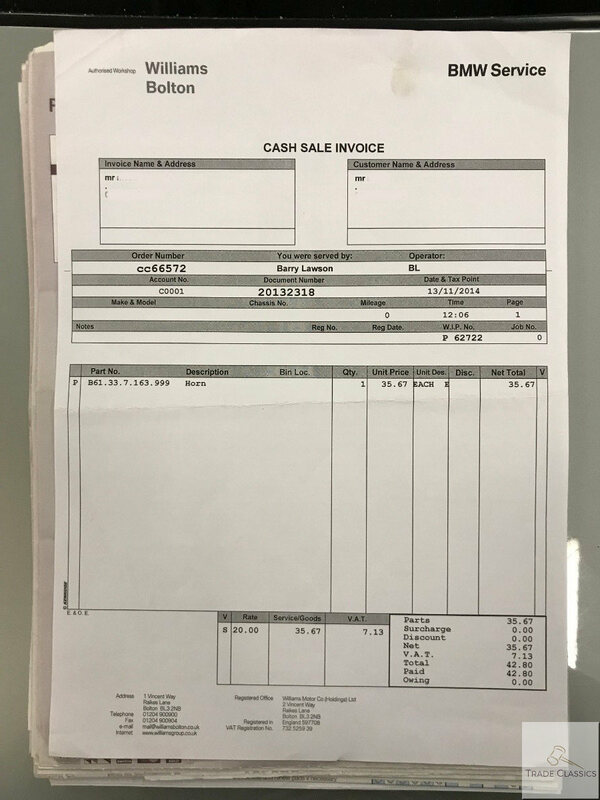 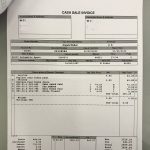 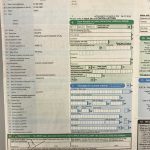 Please review the picture file to see the invoices and previous MOT’s that come with the car. 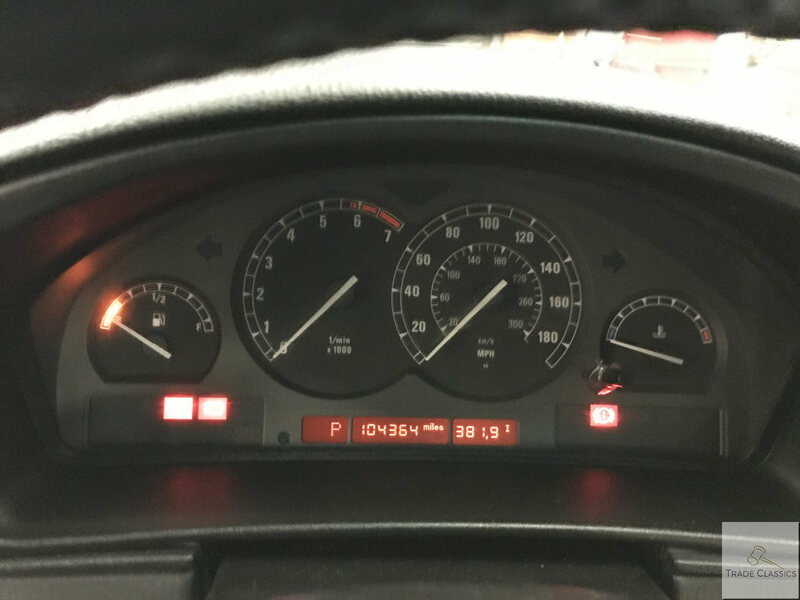 The car is showing just over 104,368 as of 22.11.2018. 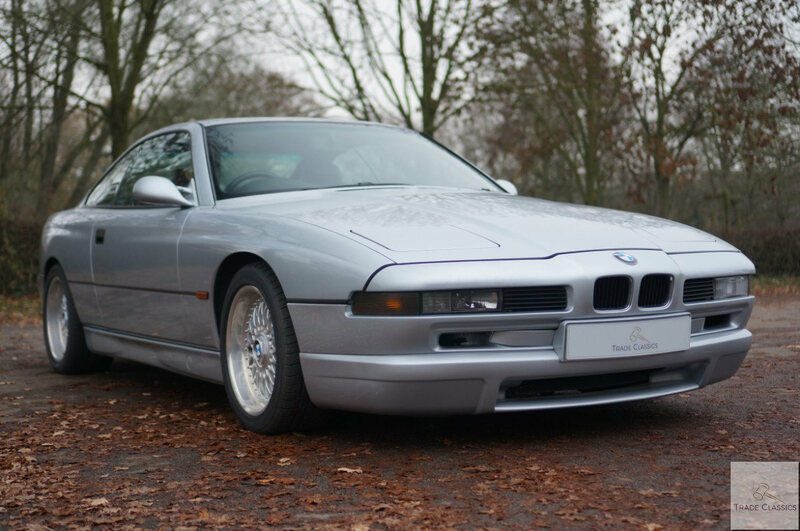 This 840i with its later 4.4L V8 engine is a really nice GT. 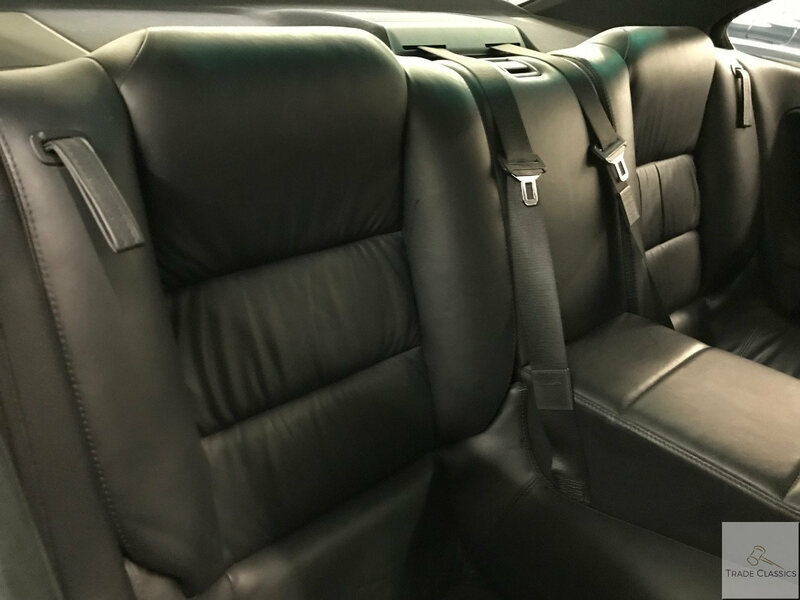 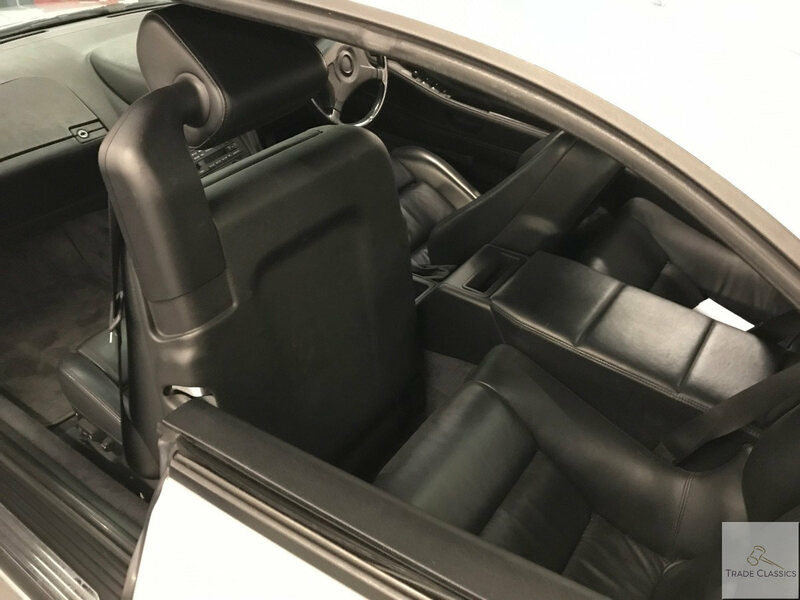 Fully loaded with electric seats, windows, sunroof, climate control, heated seats, stereo, you can cruise along listening to the burble of the V8 in absolute luxury. 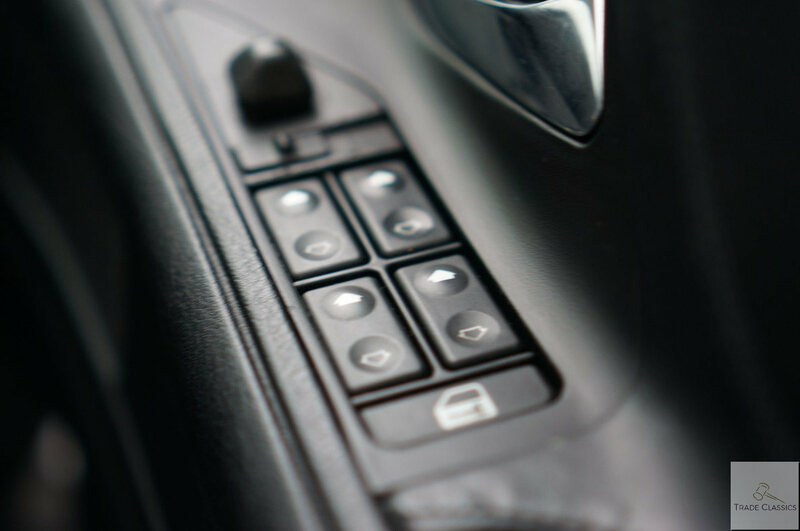 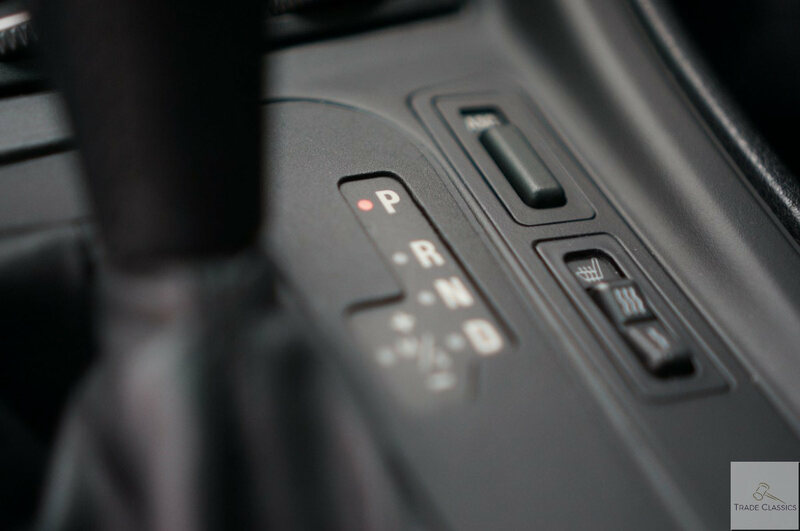 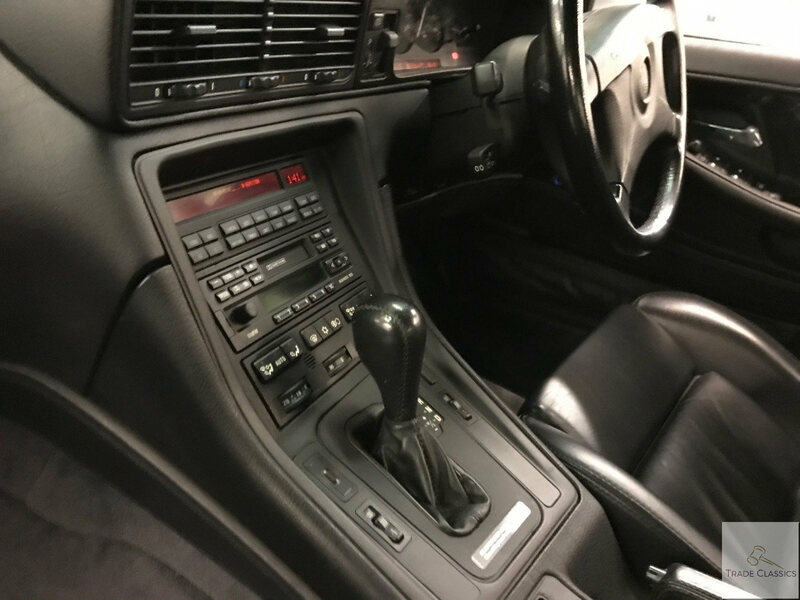 Flip the semi-automatic gearbox in to manual mode, and you can have some fun and feel in control on the twisty country lanes too. 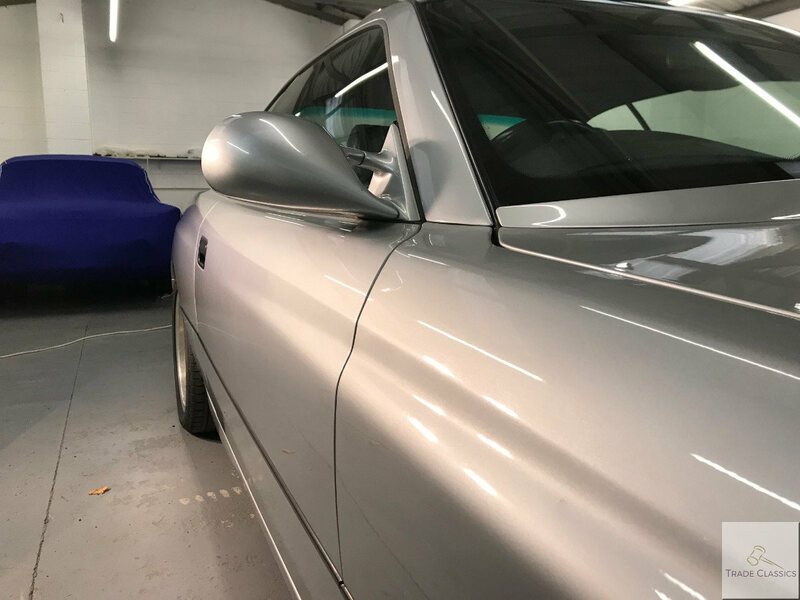 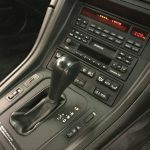 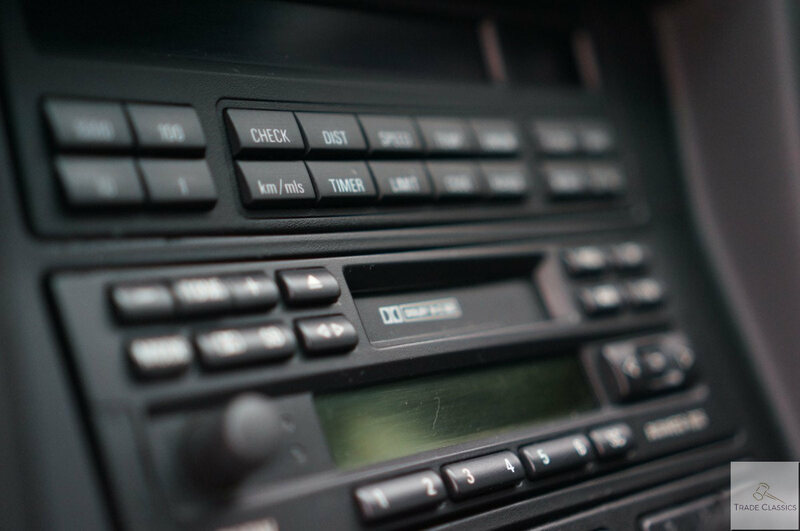 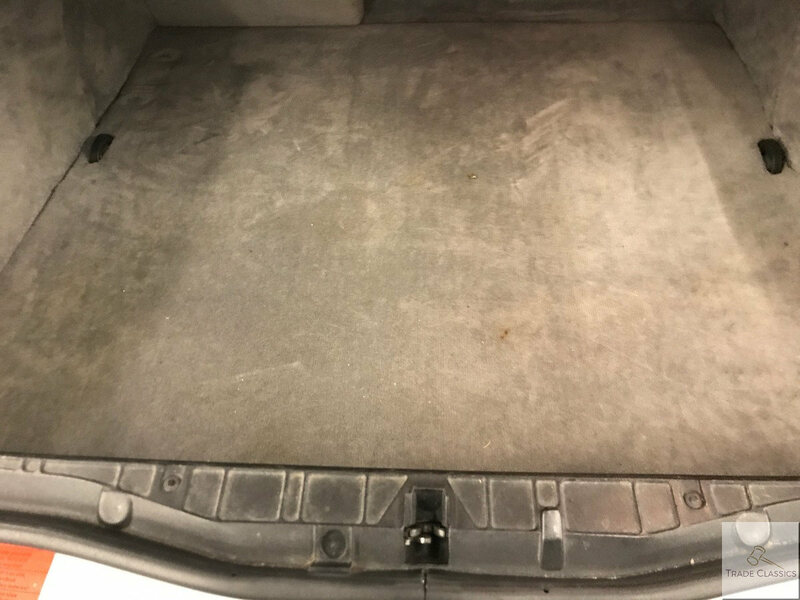 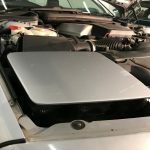 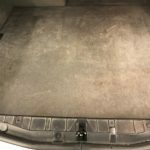 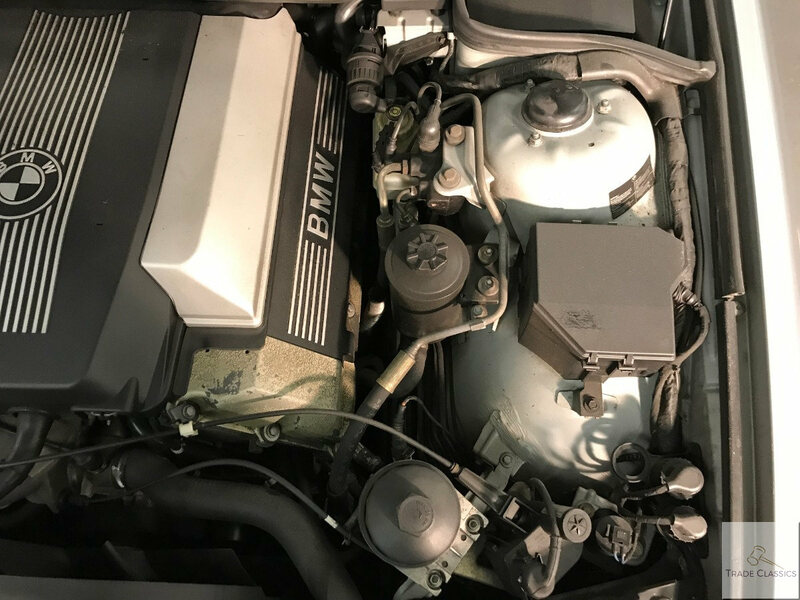 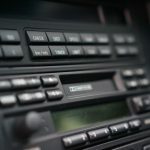 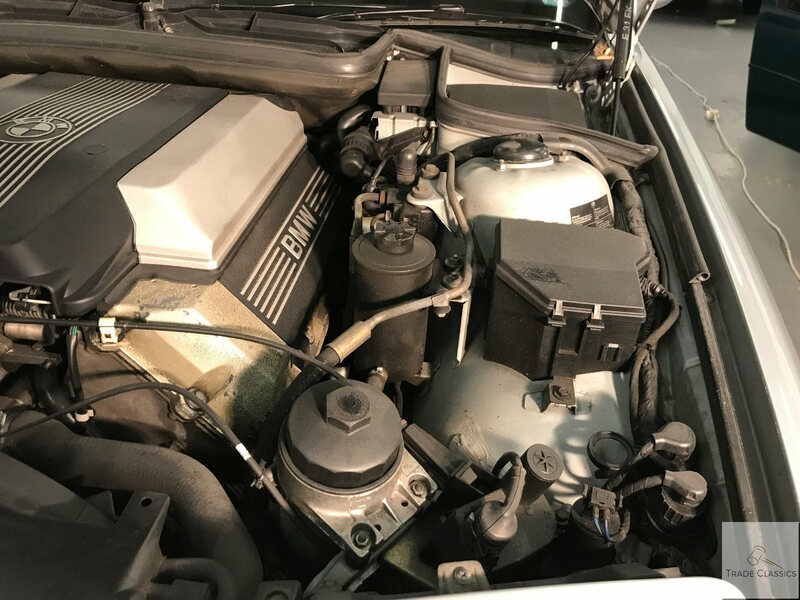 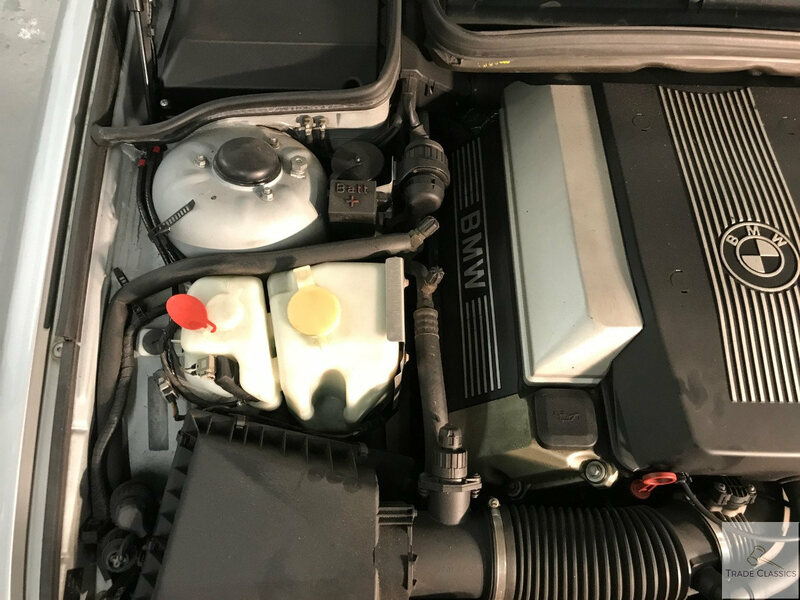 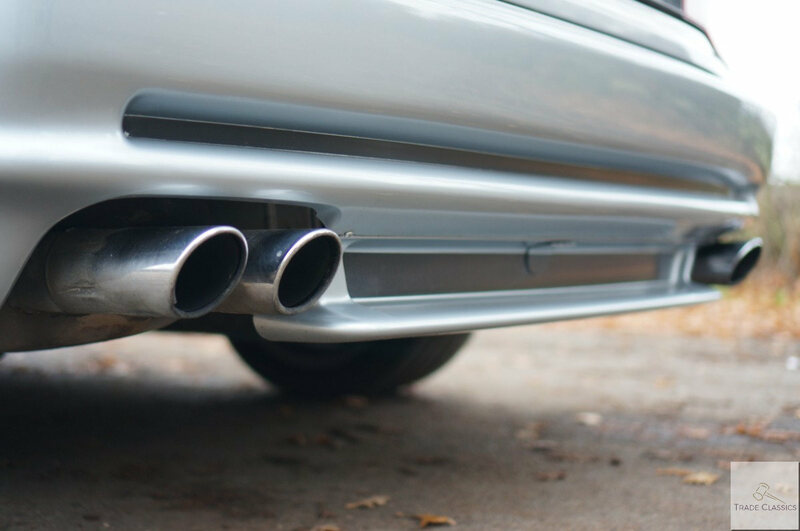 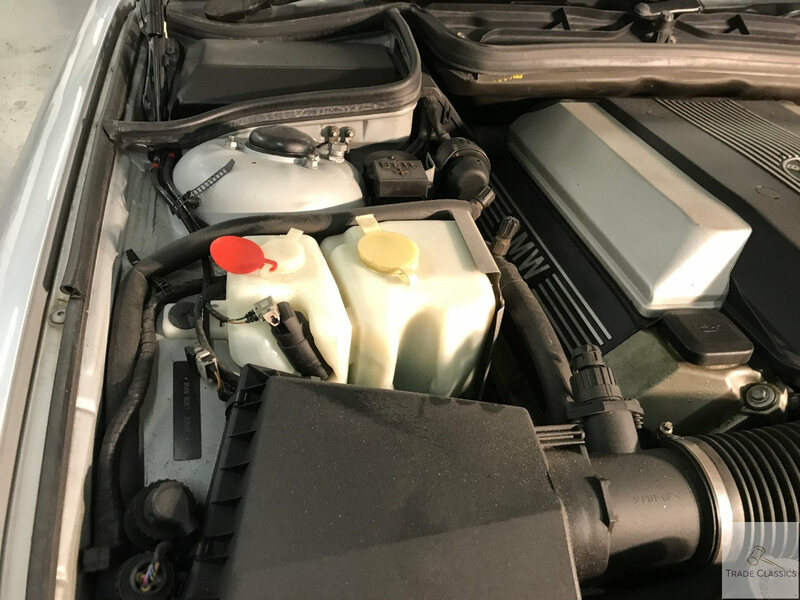 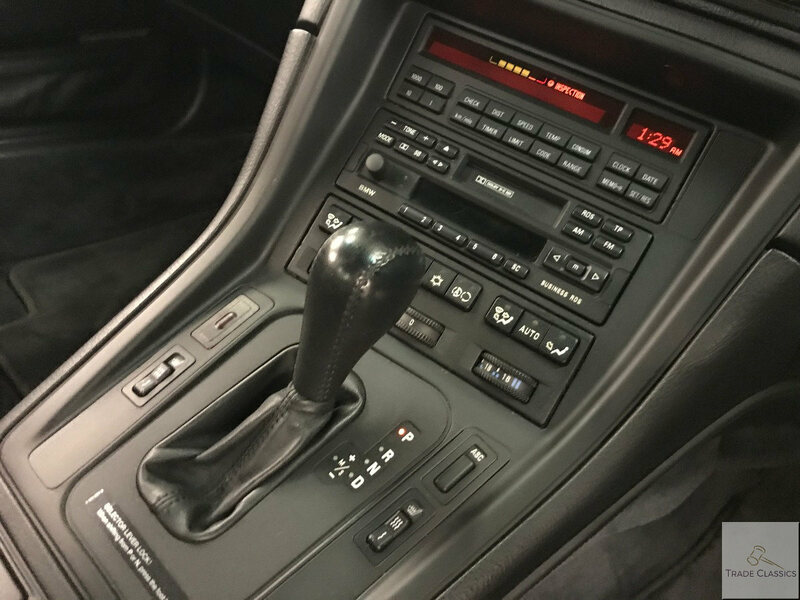 The car presents itself in great condition for its age and mileage, and the next owner is sure to enjoy it for years to come.